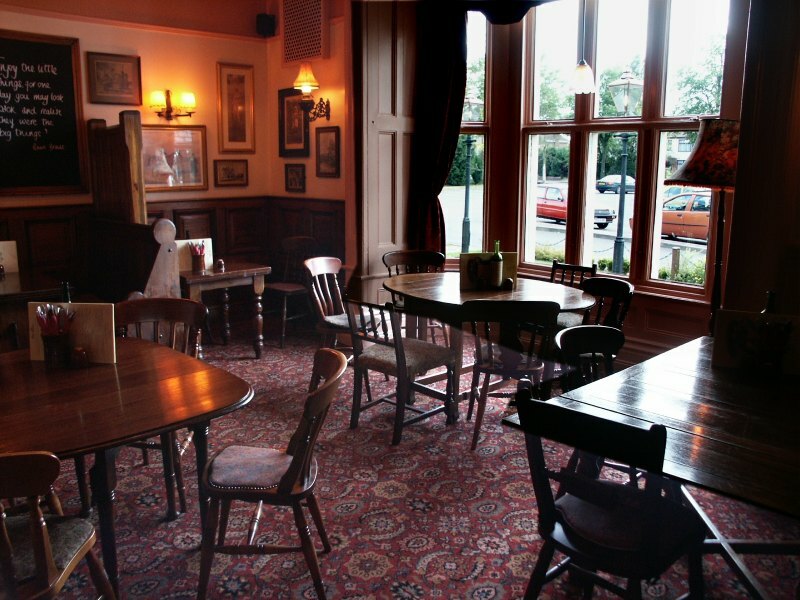 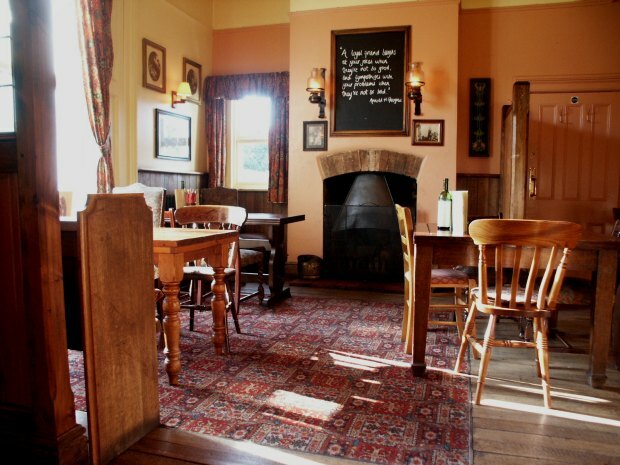 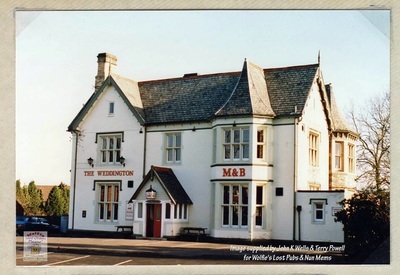 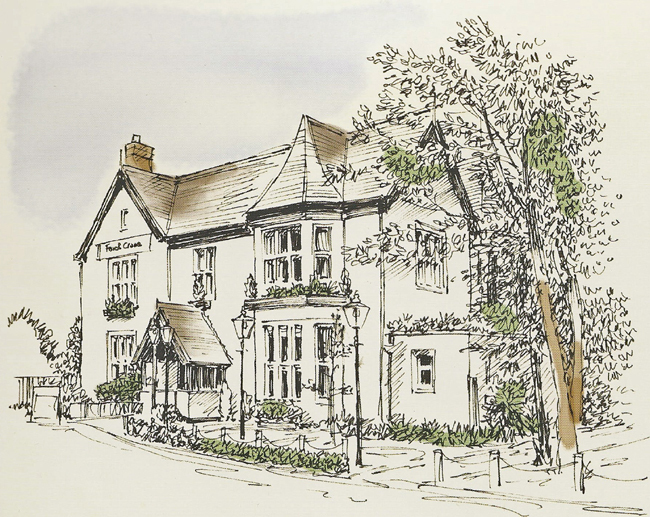 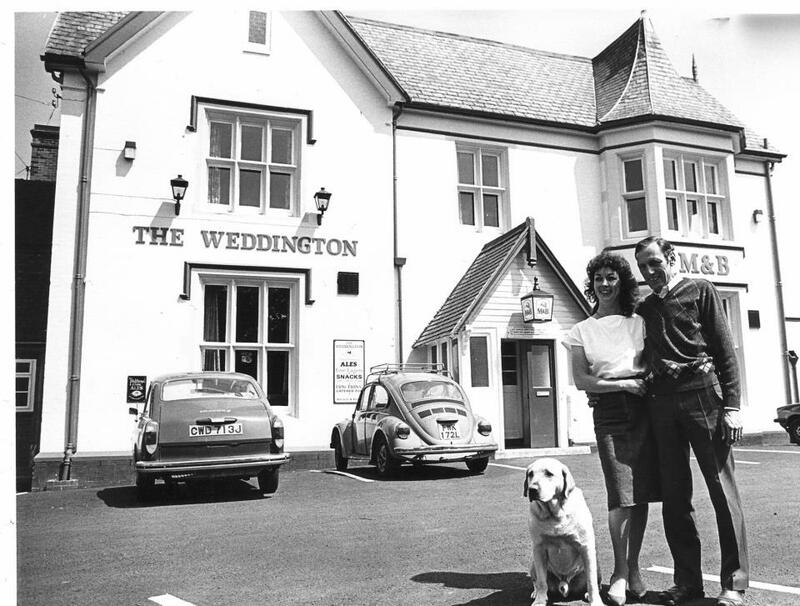 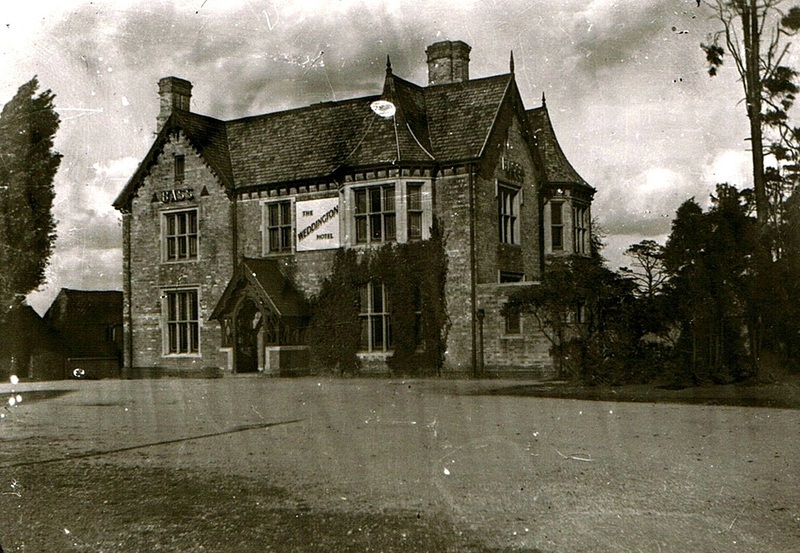 The Weddington Grove on Weddington Road was also variously known as The Grove, The Weddington Hotel, The Weddington and the Fox & Crane. 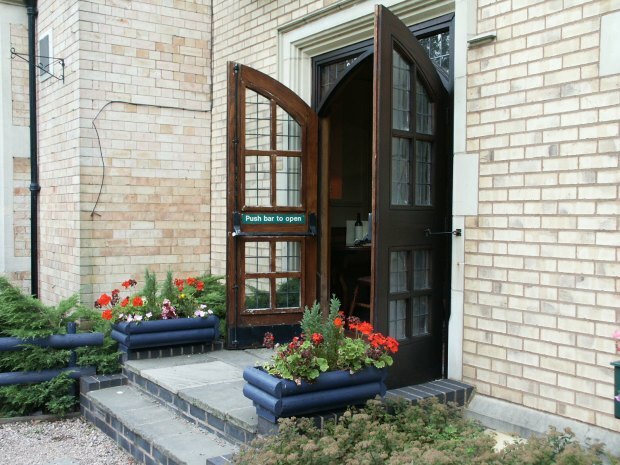 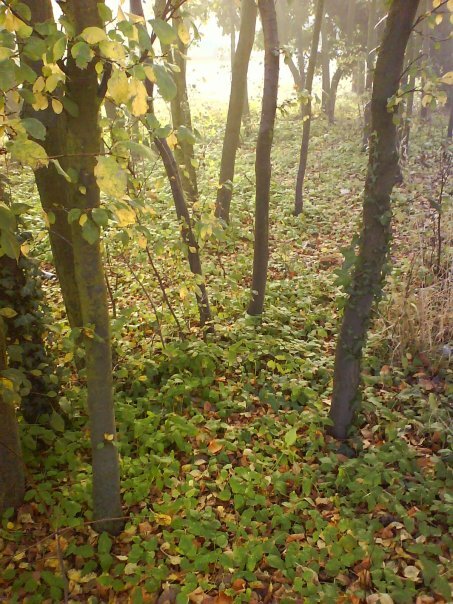 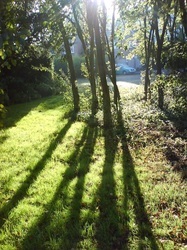 You can read more about the Grove in the 'Local Halls' section of this website. 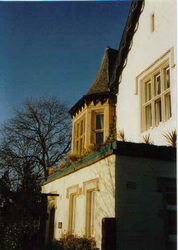 This gallery covers various stages of the history of The Grove, a large residence on the former Castle estate with strong historical associations with Weddington Castle. 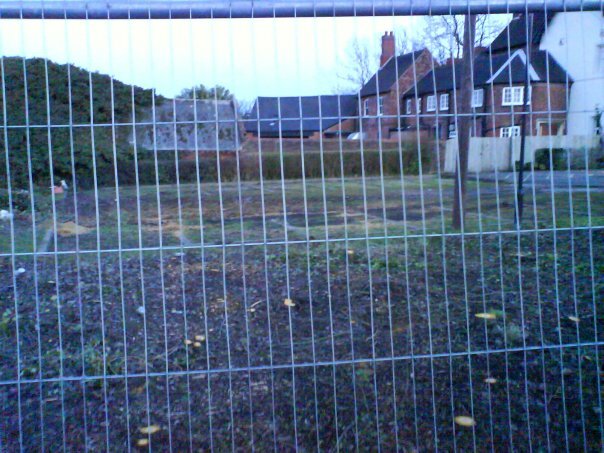 Despite all the odds, The Grove still stands today - just! 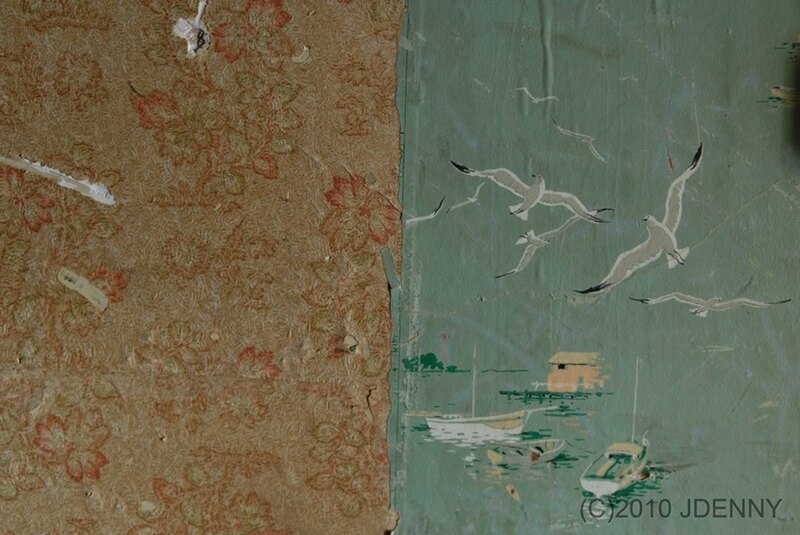 Click on the thumbnails below for full image and description. 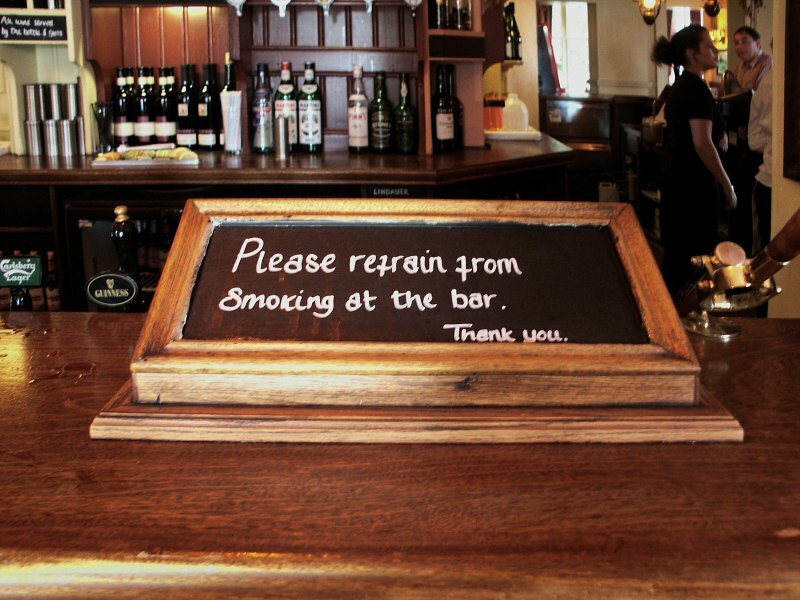 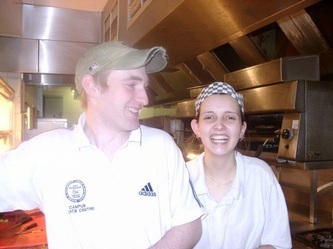 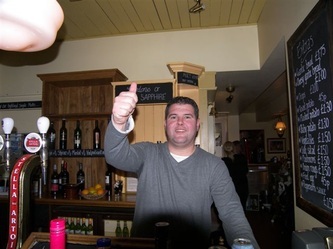 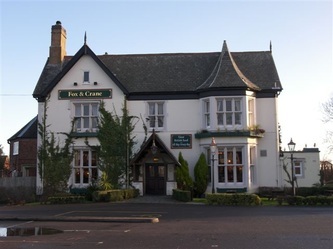 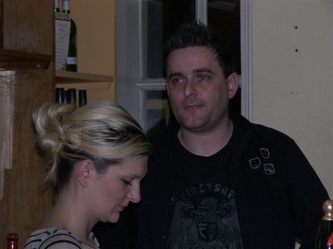 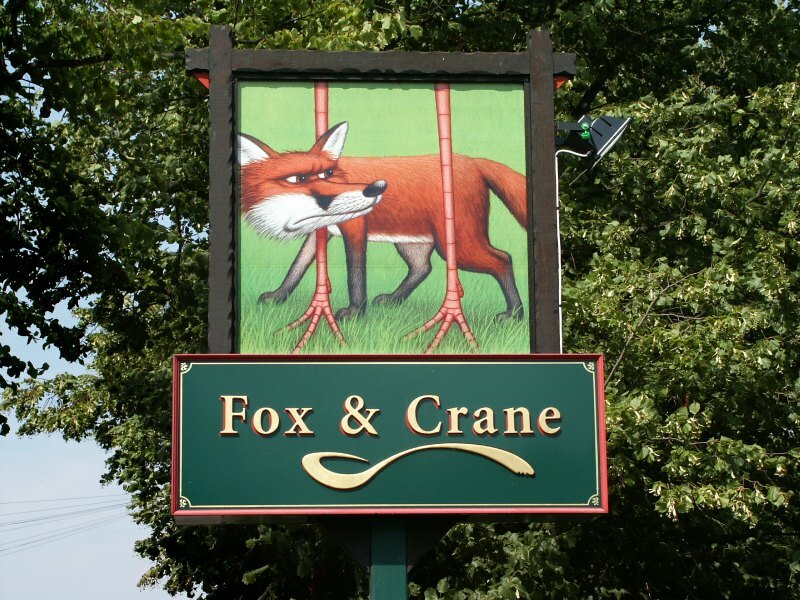 Sincere thanks to both Gemma Reid (the last licensee of The Fox & Crane) and Ben Dodds for their help, time and patience in answering my questions and allowing me access to the building in 2008, at a time when the closure of the Fox & Crane was having a major impact upon their own futures. 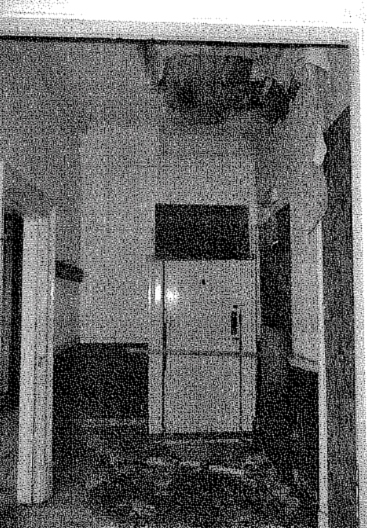 This set of photographs were discovered hidden under the floorboards wrapped in newspaper, when 'The Grove' was converted into the 'Fox & Crane' in 1996. 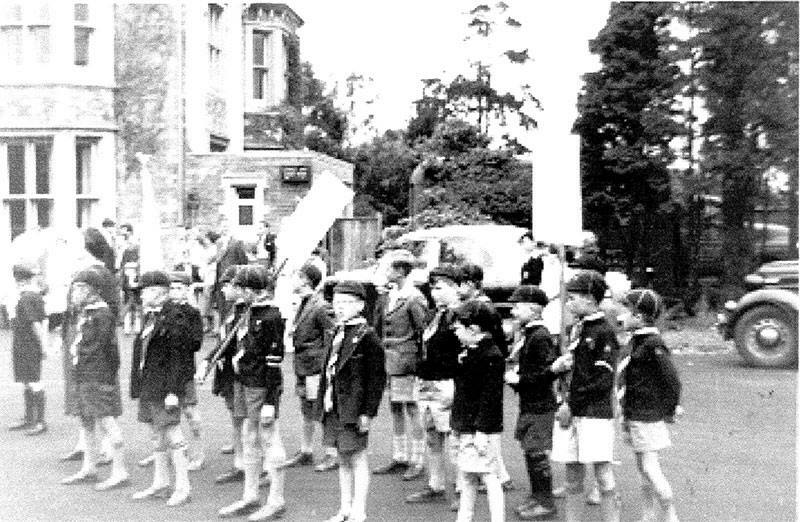 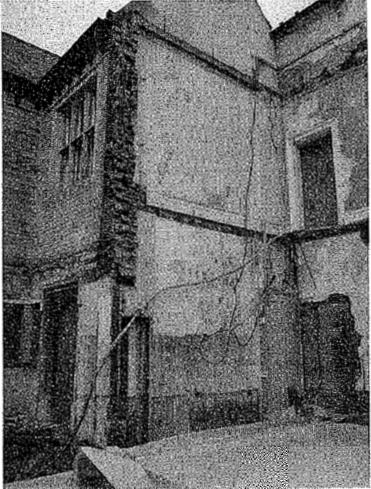 Whilst the newspapers date from 1962, it is obvious that the photos are much older. They depict various poses of a middle-aged man dressed in formal Edwardian dress, along with two young girls in dress of the same era. 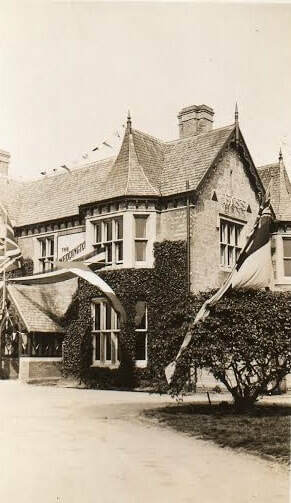 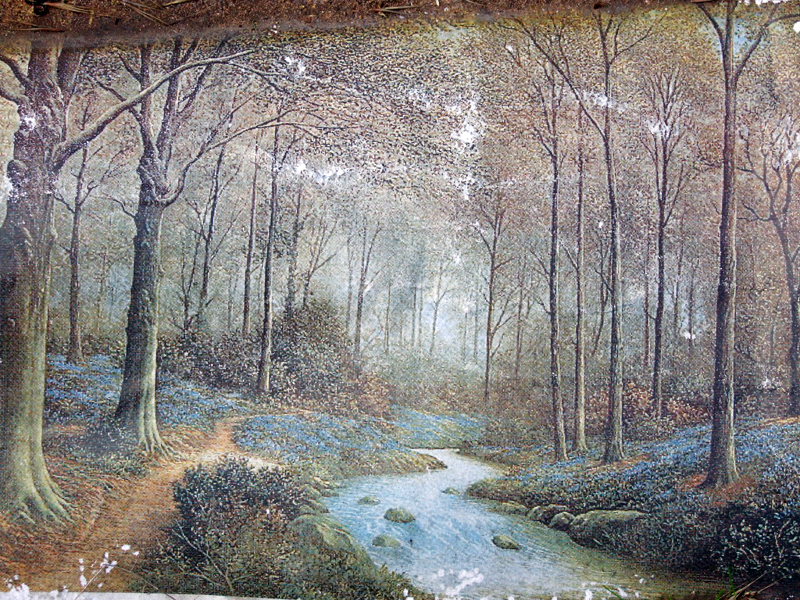 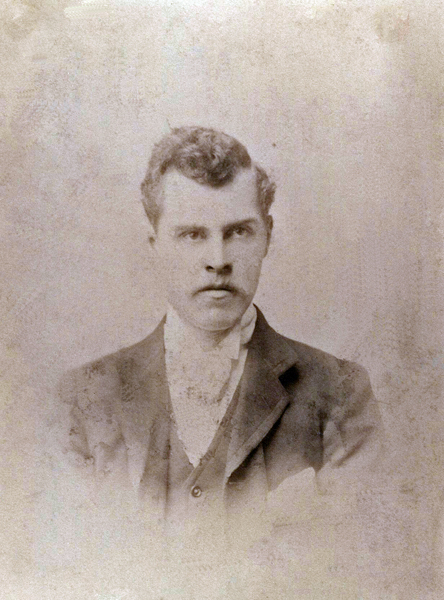 It is likely that these images depict the former owner Henry Nigel Pole Shawe and his family. 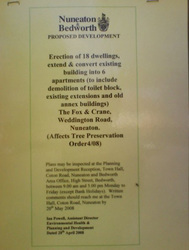 Or could they be of Captain Henniker who was resident of the Grove in 1875 (see newspaper article below)? 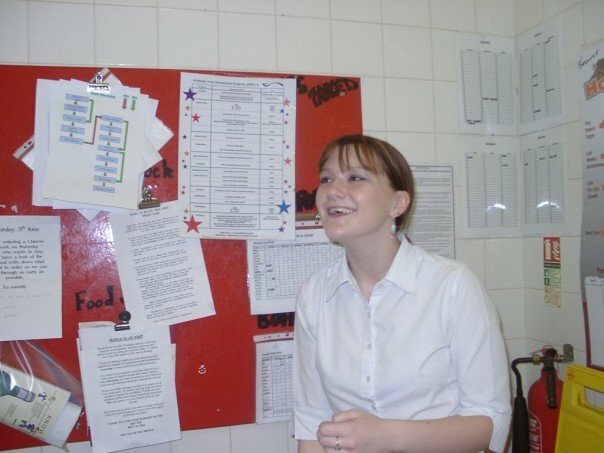 These images were framed by the owners and placed on the staff canteen walls, although they were later taken down as the staff felt that the eyes of the subjects were following them around the room...! 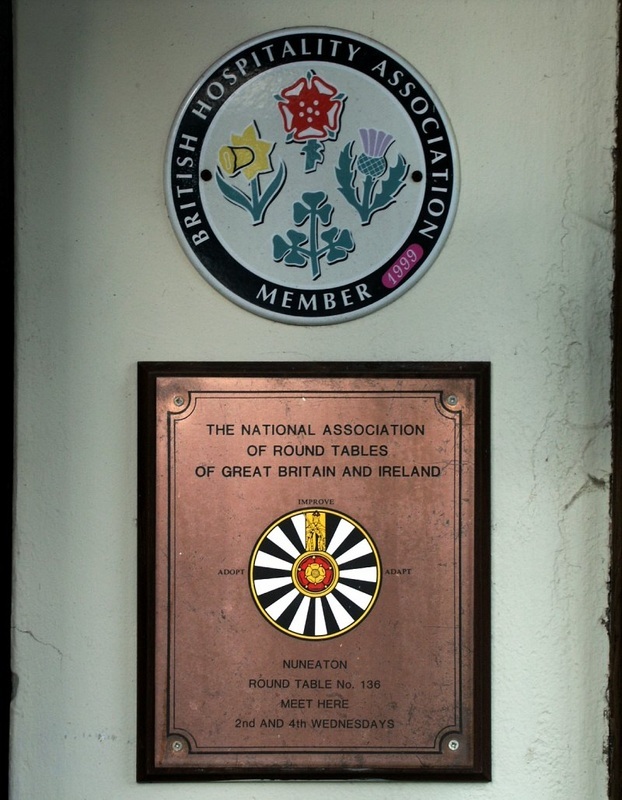 This display is now in the possession of the Weddington Social Club. 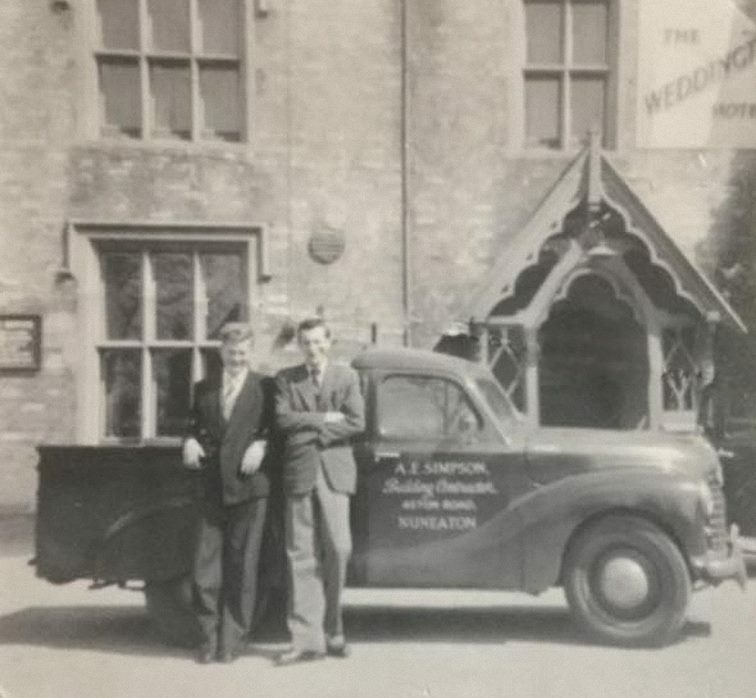 This is my grandfathers van out side the Weddington Hotel, he was A.E.Simpson builders. He was a local builder and was also in partnership with someone and were known as Simpson and Twitty, he built the church in Camp Hill and donated the cross on it as I believe they ran out of money, local people donated bricks when it was built. 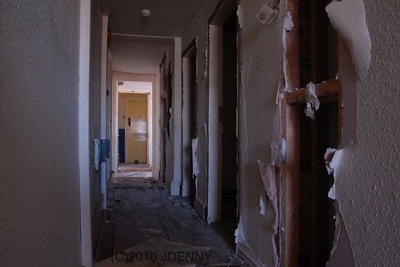 (c) Mandy Williams. 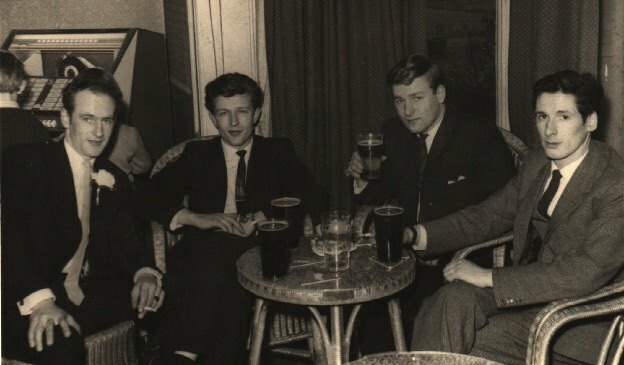 Date unknown, 1950s to 70s? 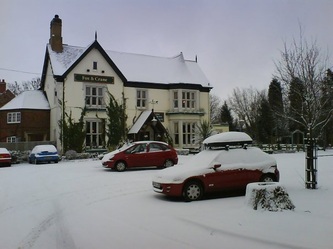 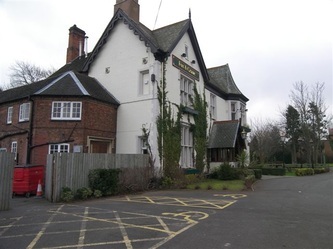 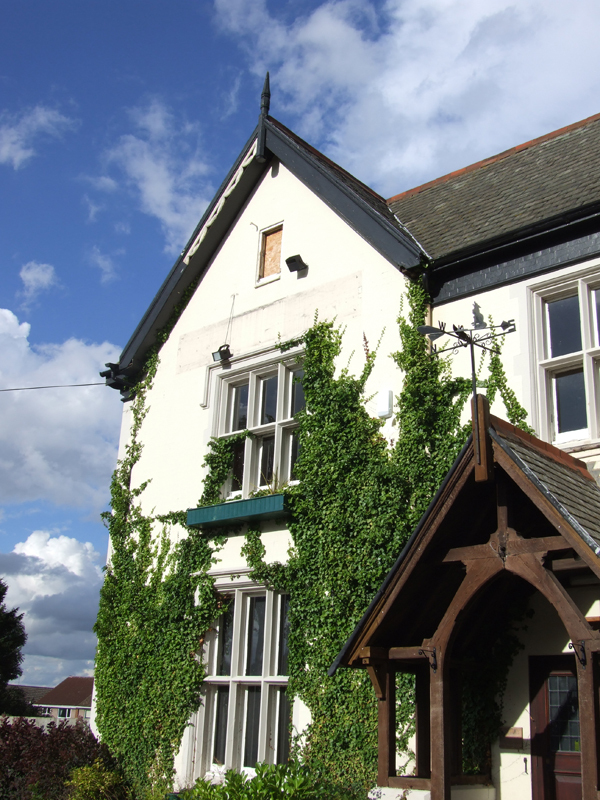 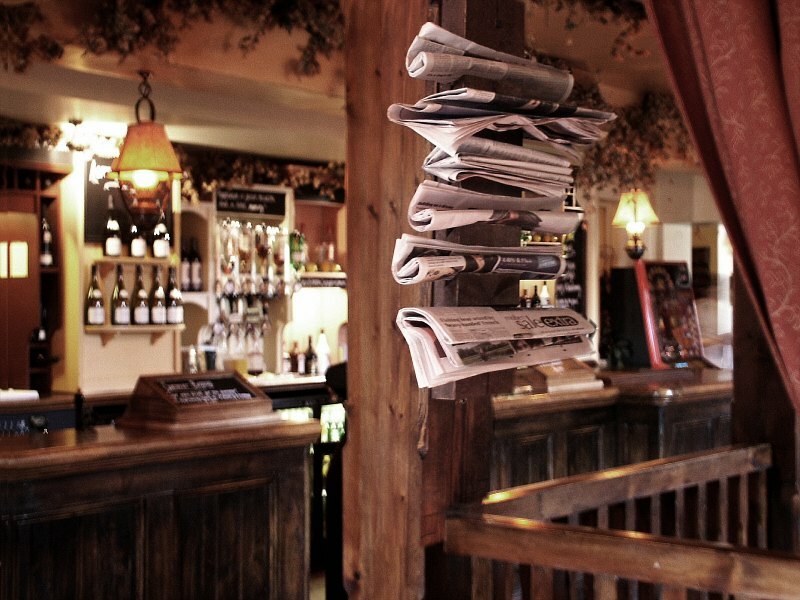 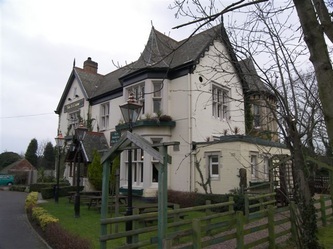 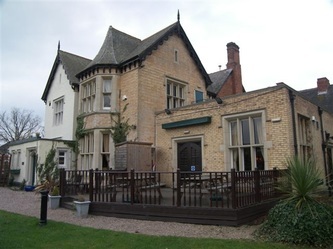 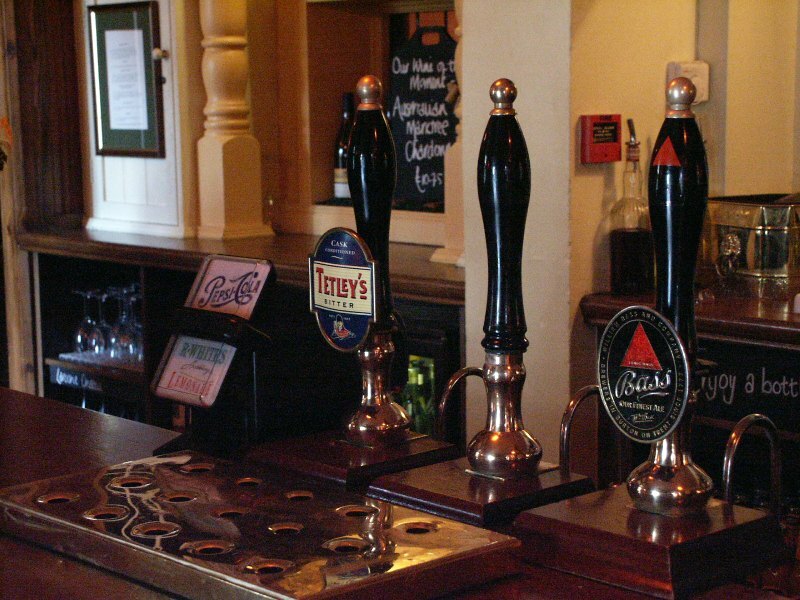 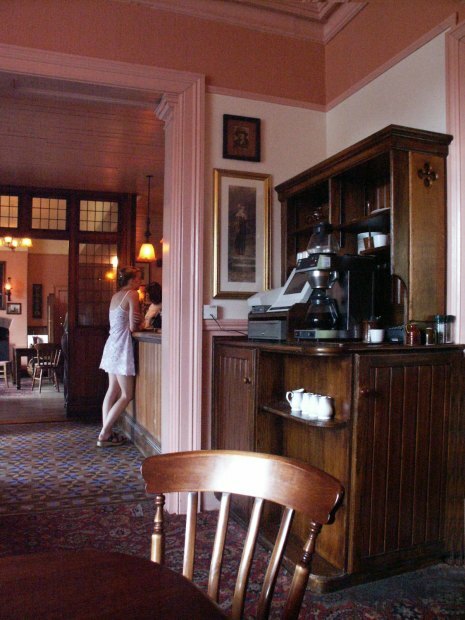 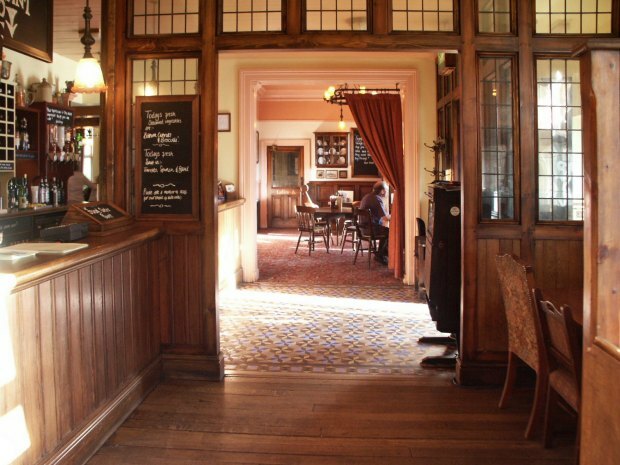 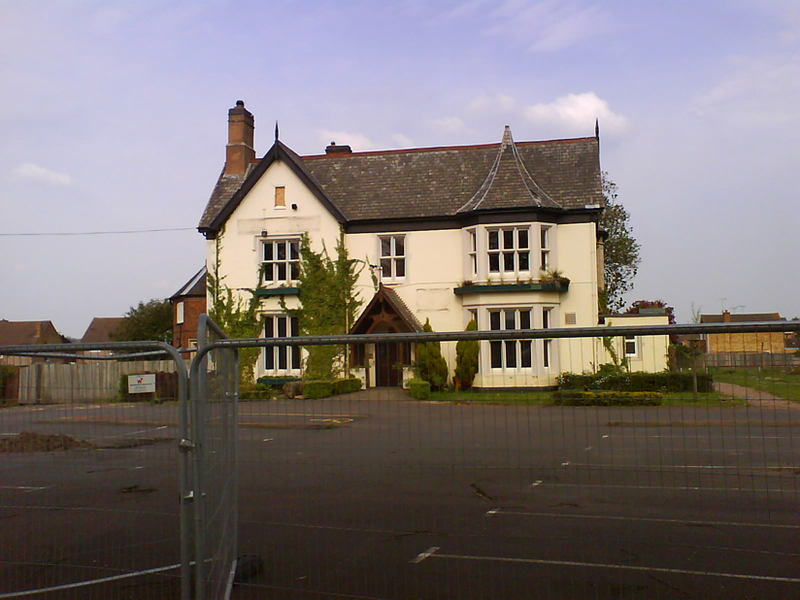 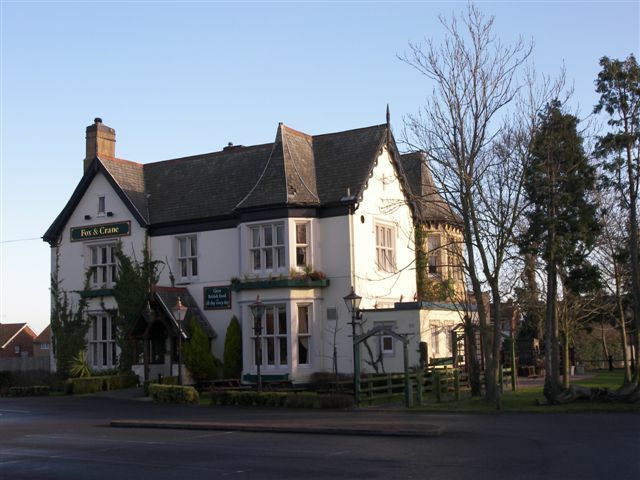 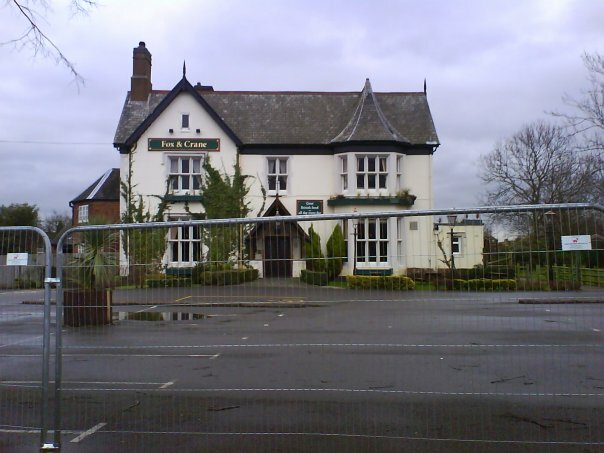 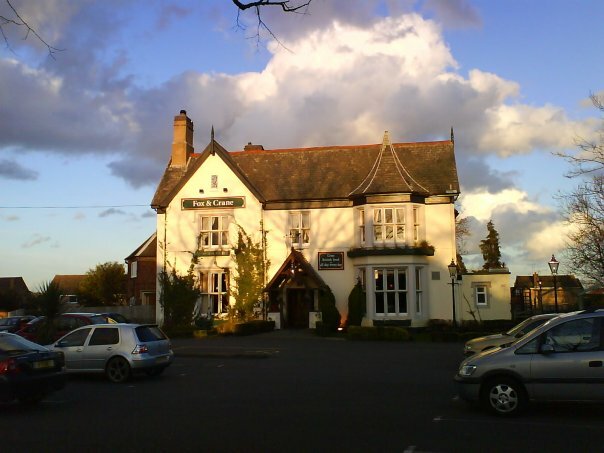 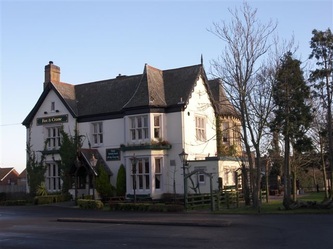 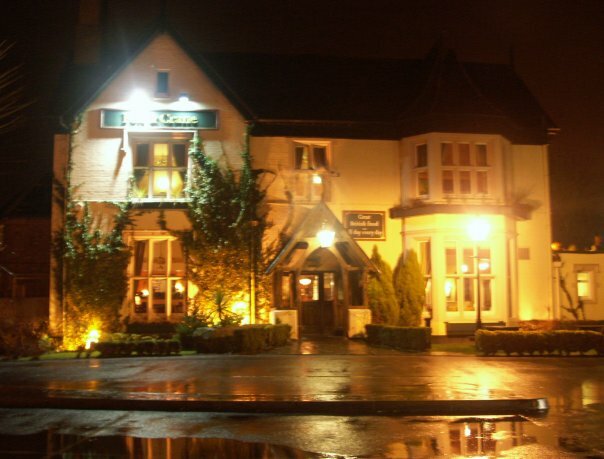 'The Grove' on Sunday 31 March 1996 - the day last orders were called before the Weddington Hotel was closed and reopened as The Fox and Crane*. 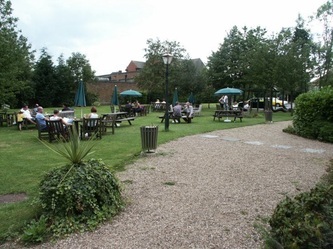 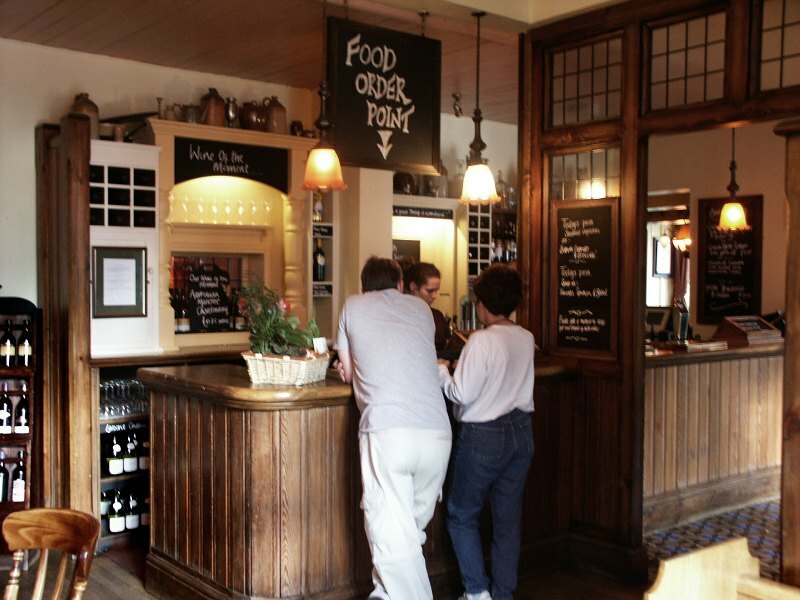 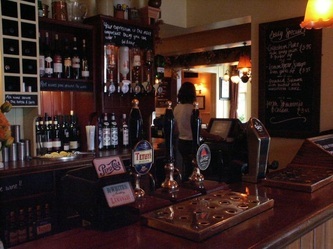 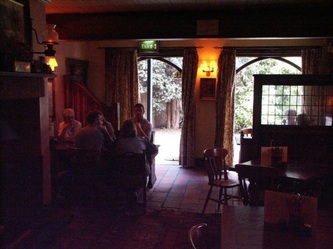 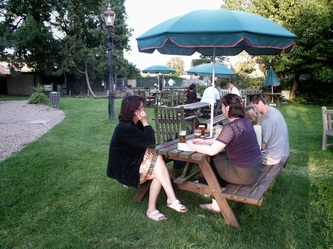 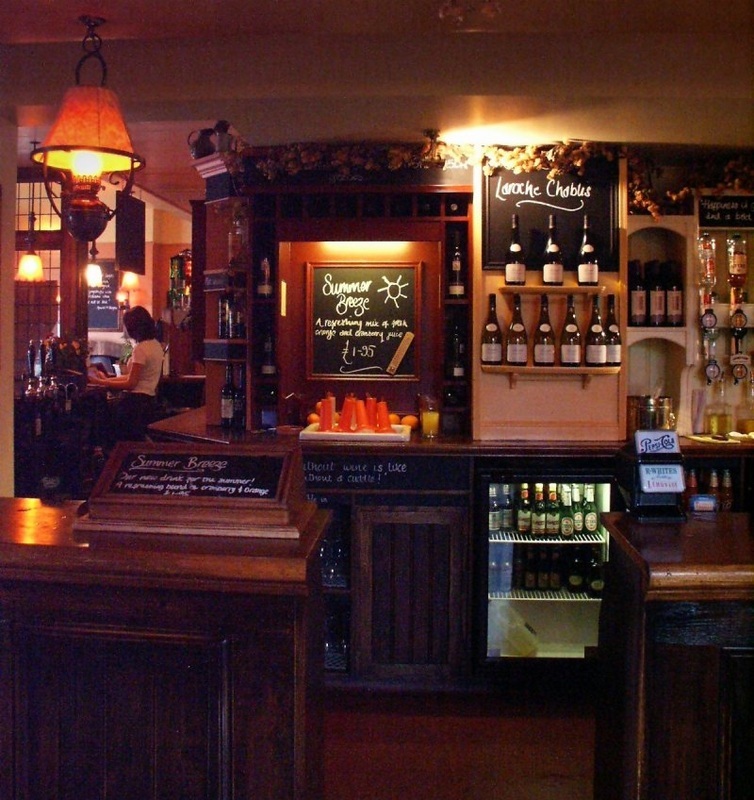 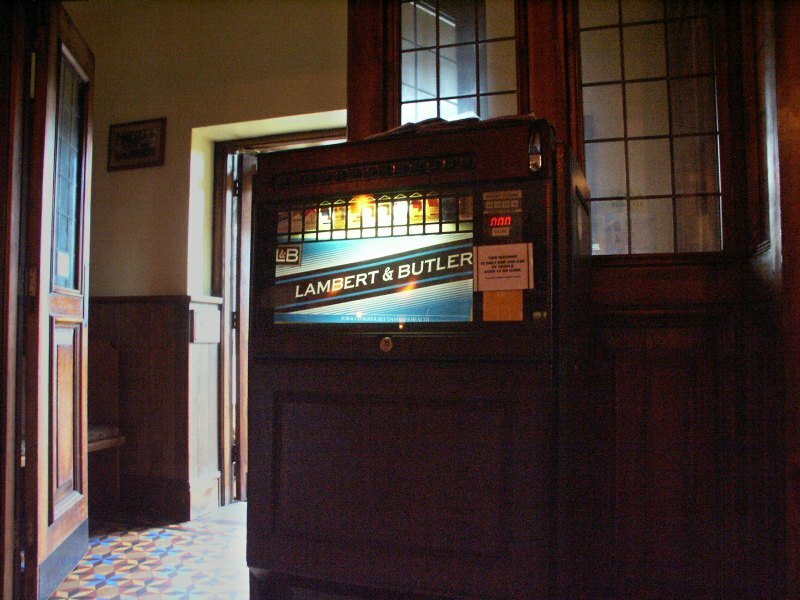 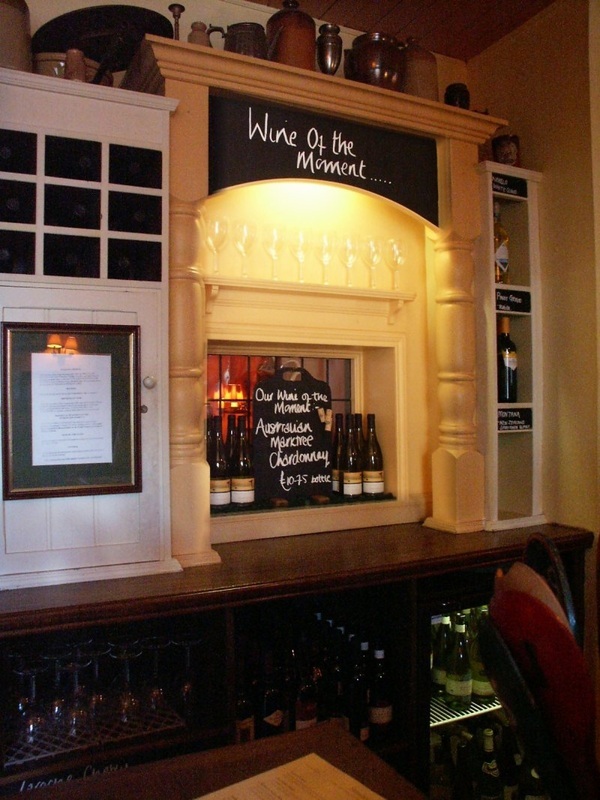 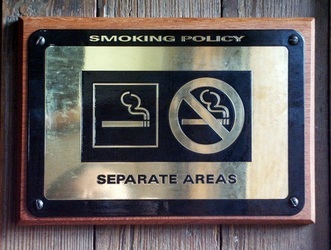 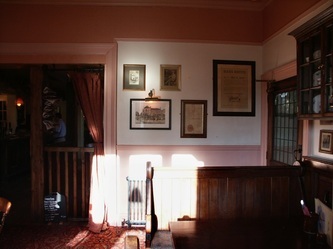 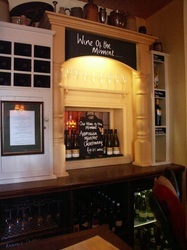 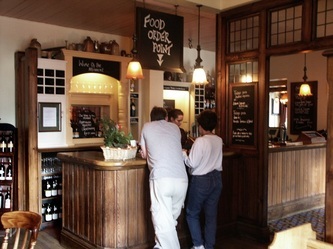 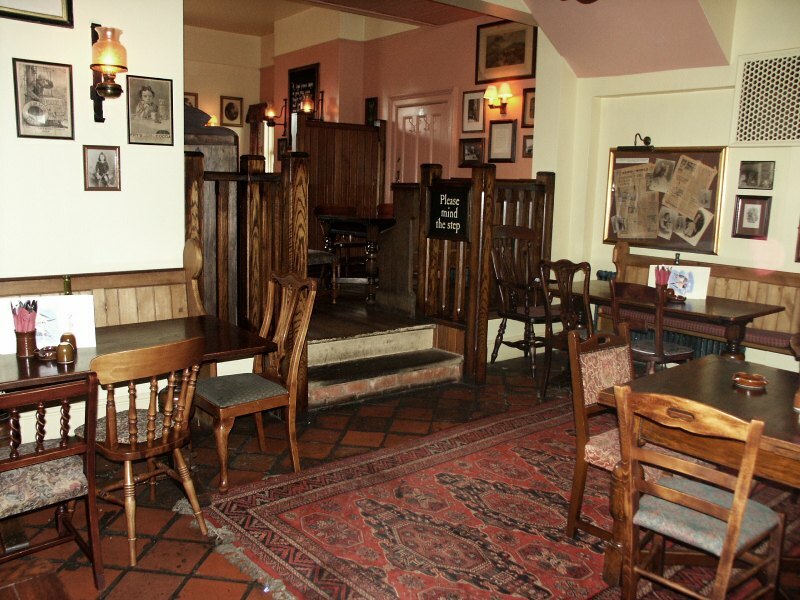 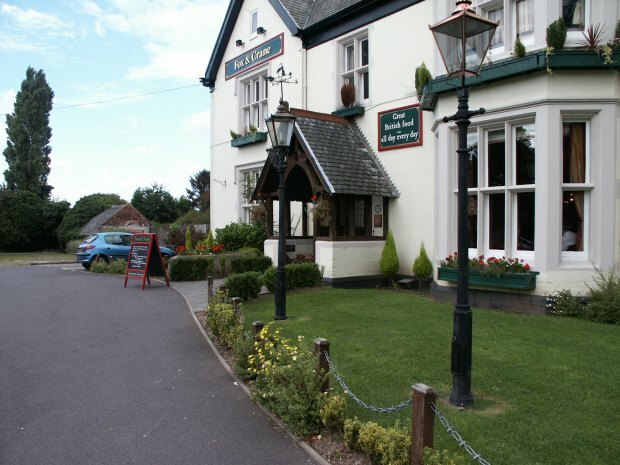 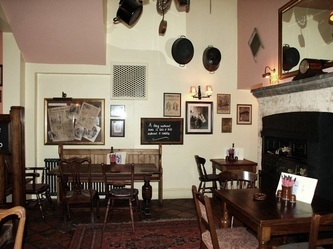 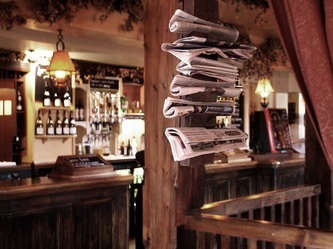 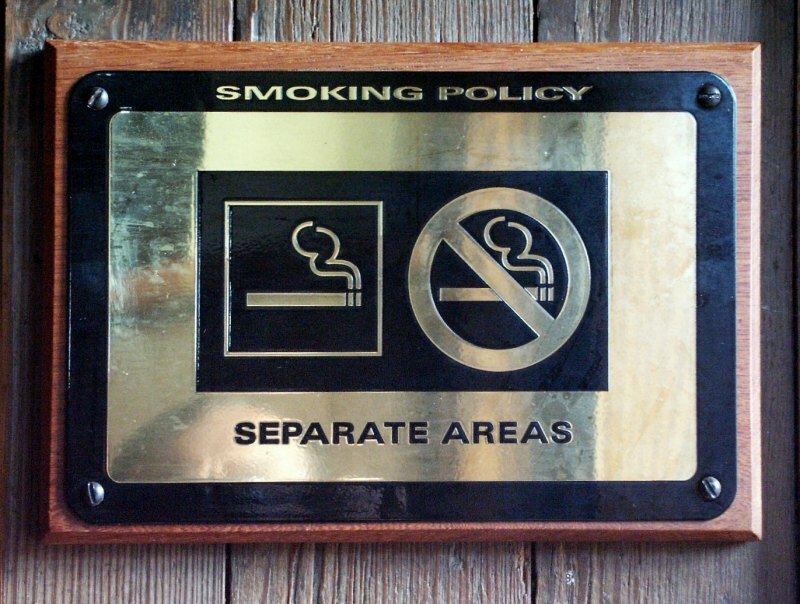 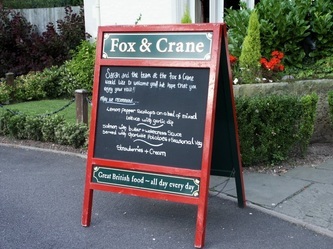 'The Fox & Crane' (1996 - 2007) - the public bar & restaurant area. 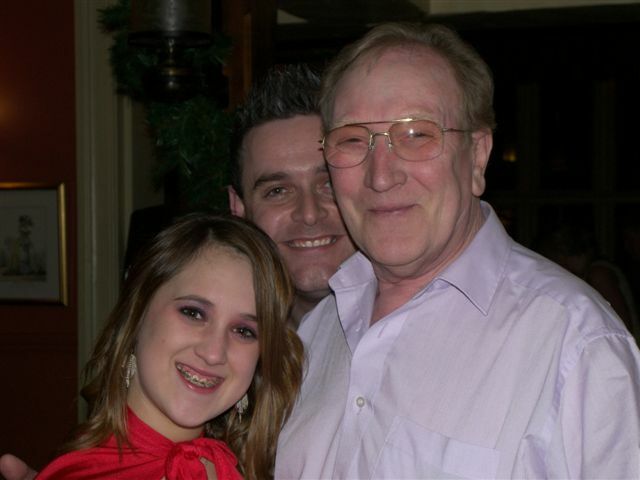 Pictures taken 2006. 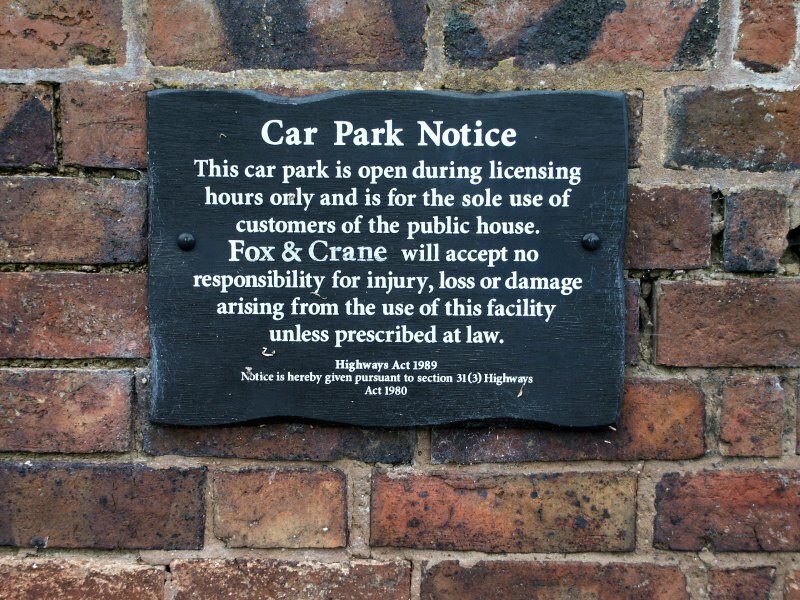 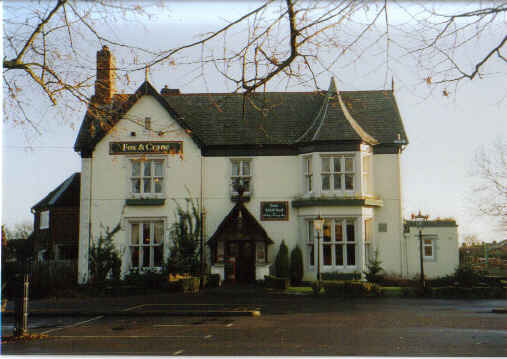 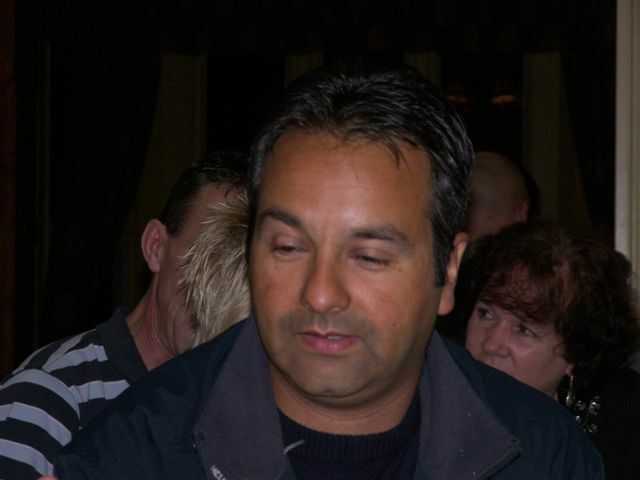 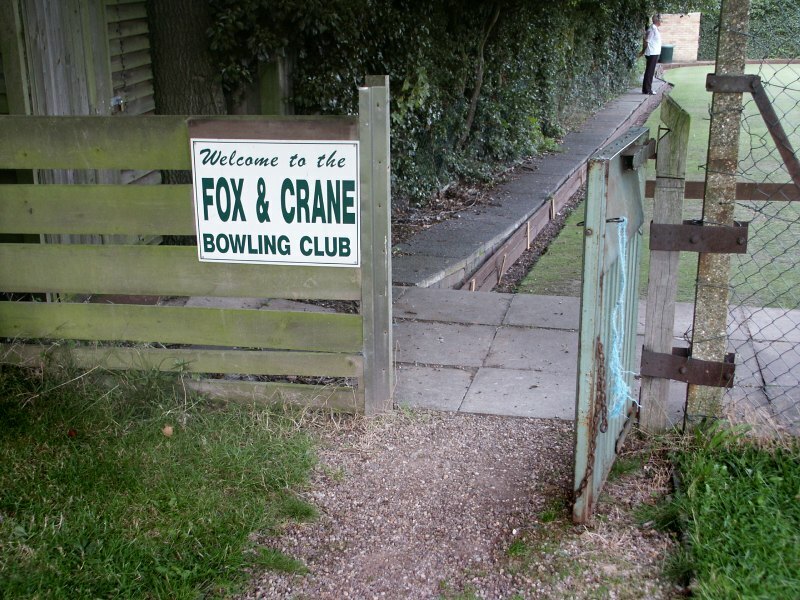 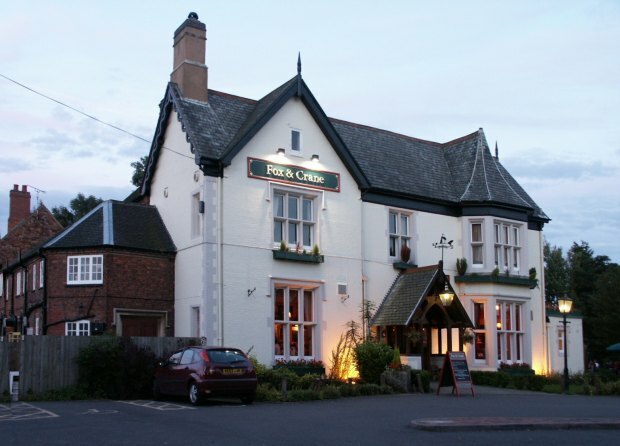 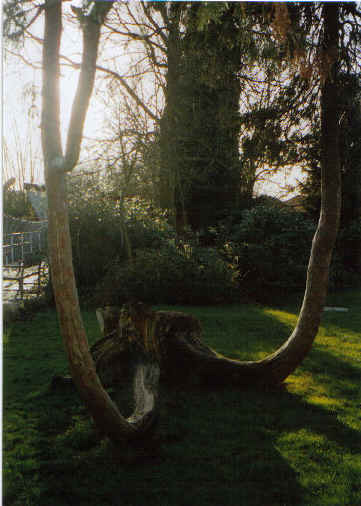 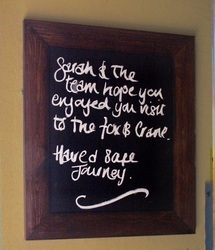 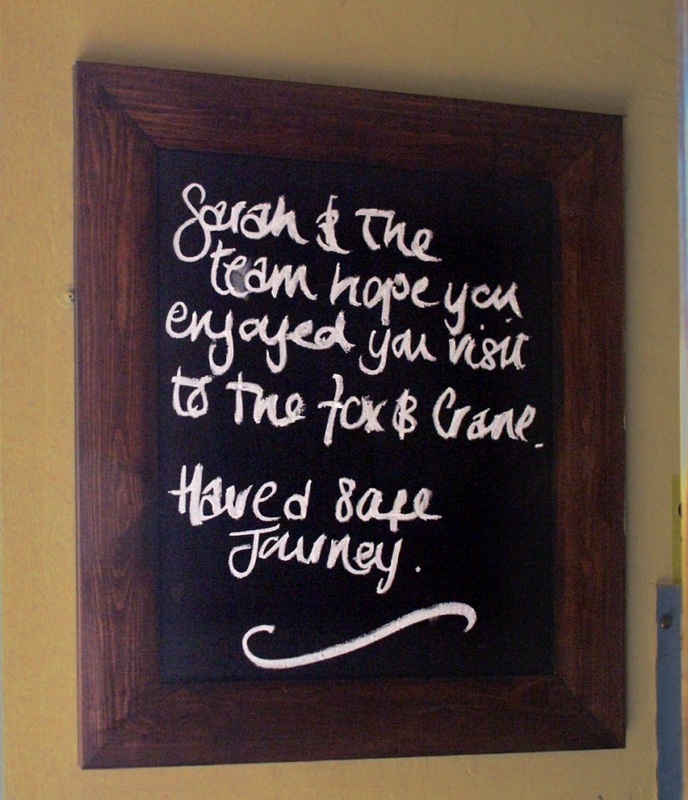 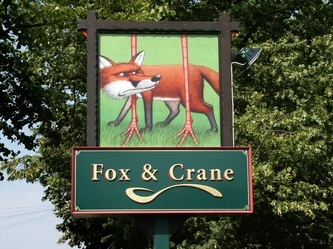 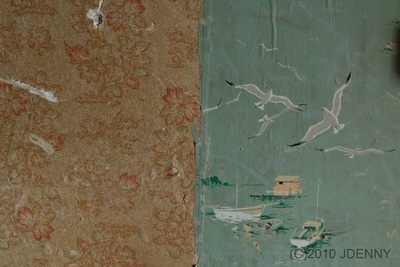 'The Fox & Crane' (1996 - 2007). 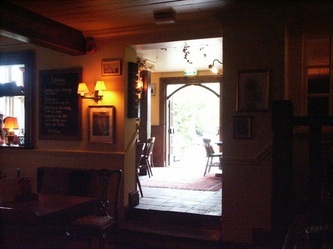 The rest of the interior (not open to the public). 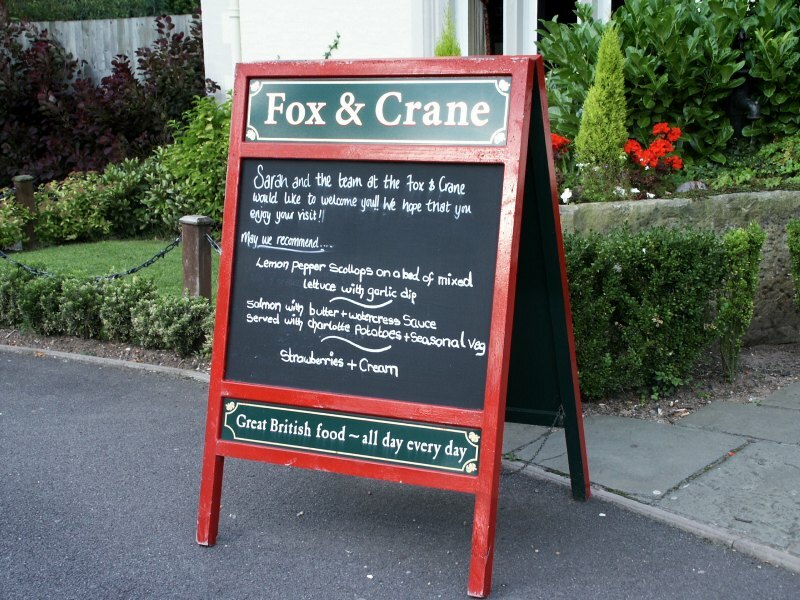 Apart from the photos marked *, these images were taken just a couple of days before the Fox & Crane closed for the last time. 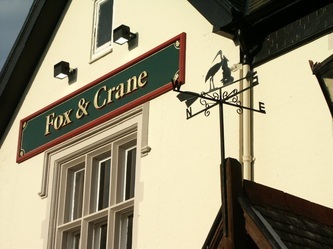 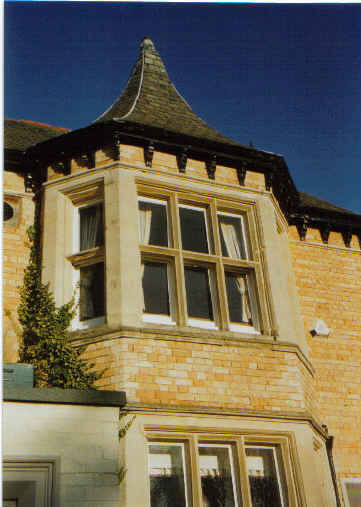 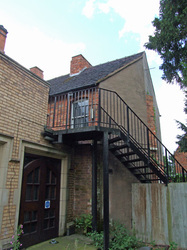 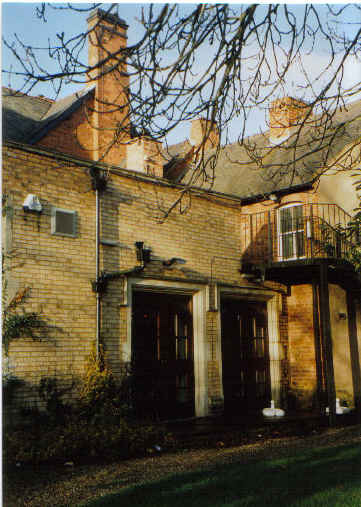 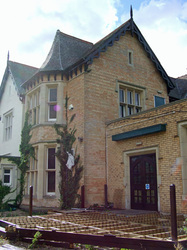 'The Fox & Crane' (1996 - 2007) - the exterior of the building. 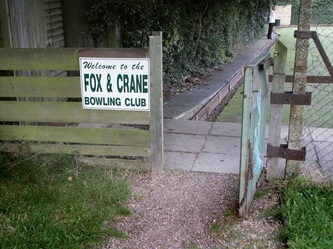 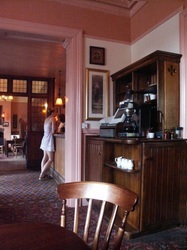 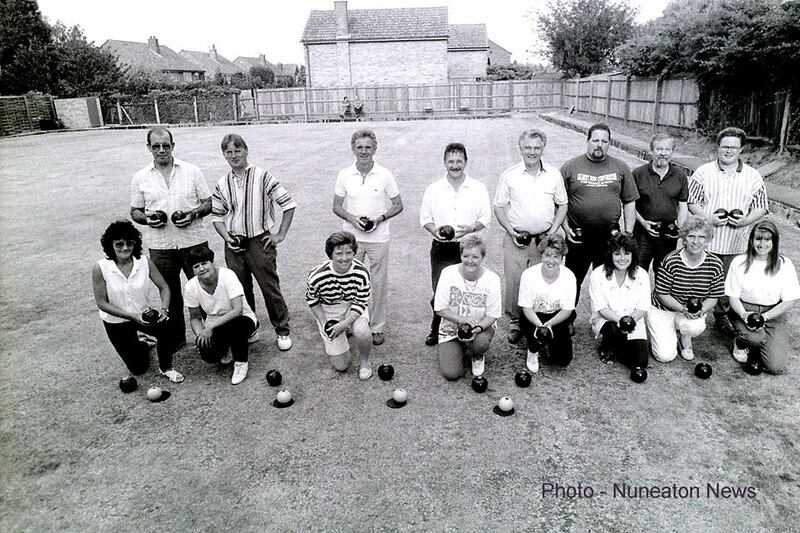 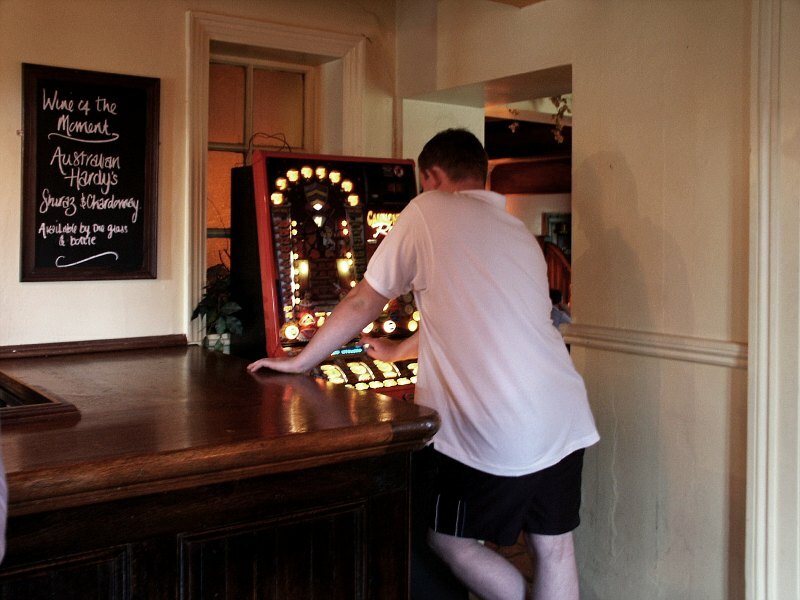 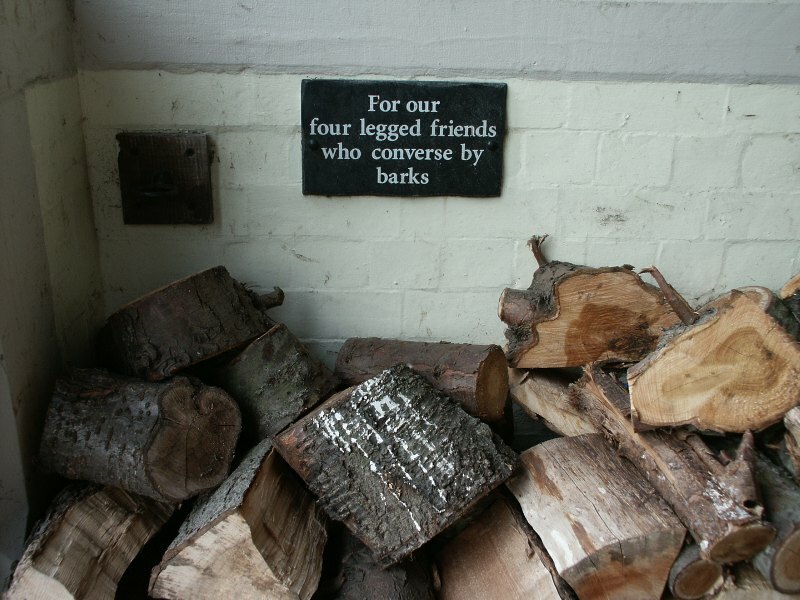 Most of these pictures taken a year before the 'Fox & Crane' closed. Side of the Grove (staff quarters). 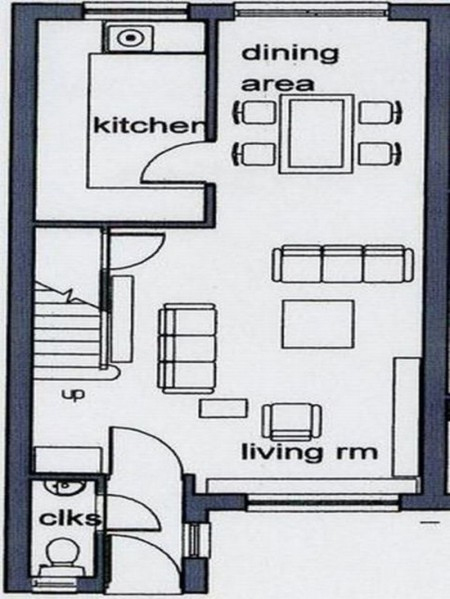 Demolished 2010. 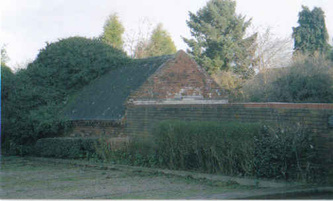 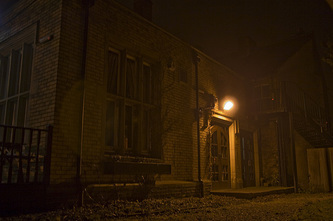 Exterior of stables. 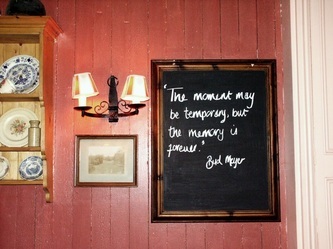 Demolished 2010. 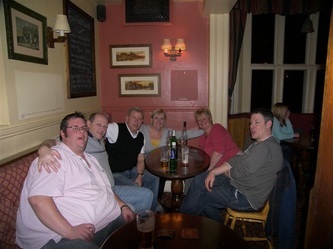 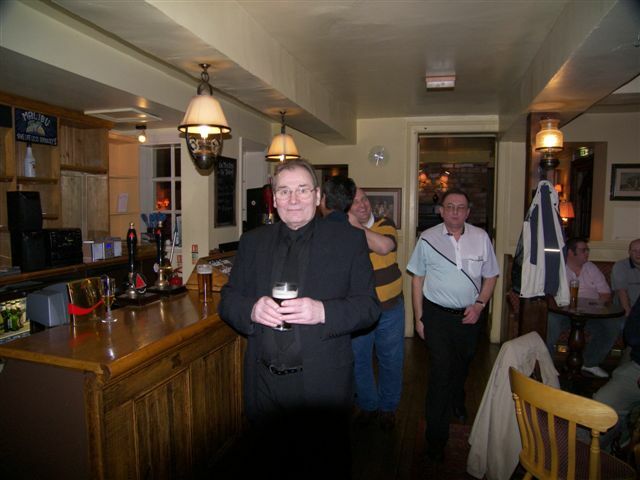 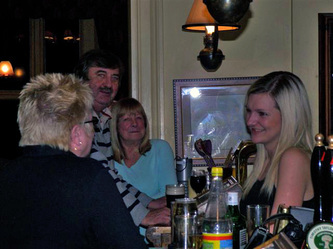 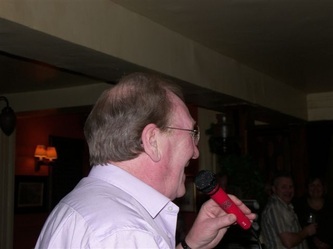 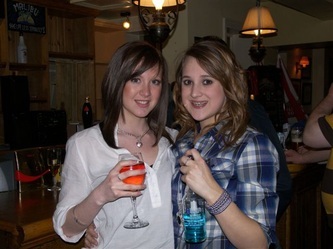 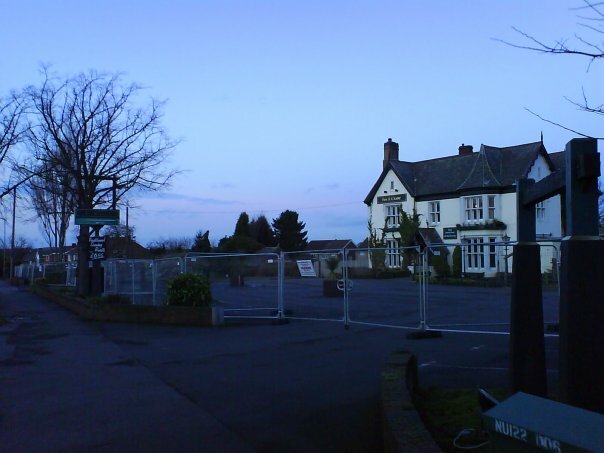 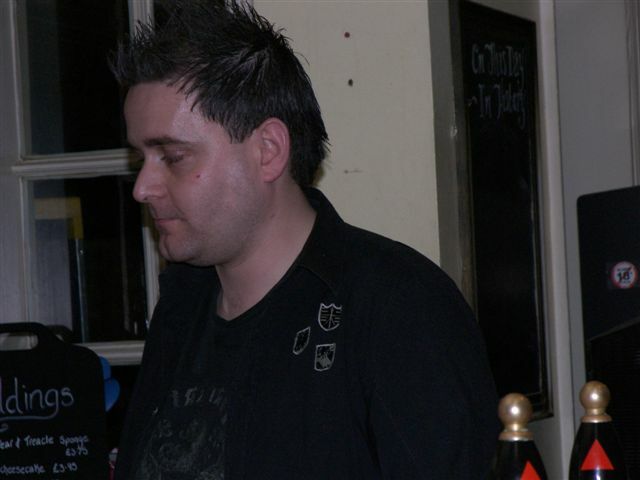 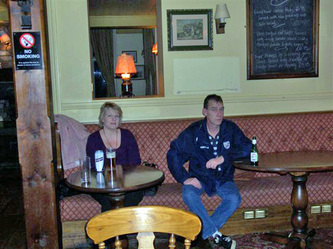 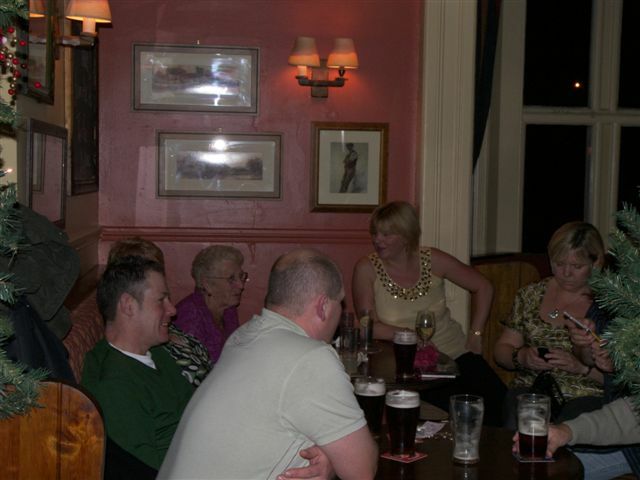 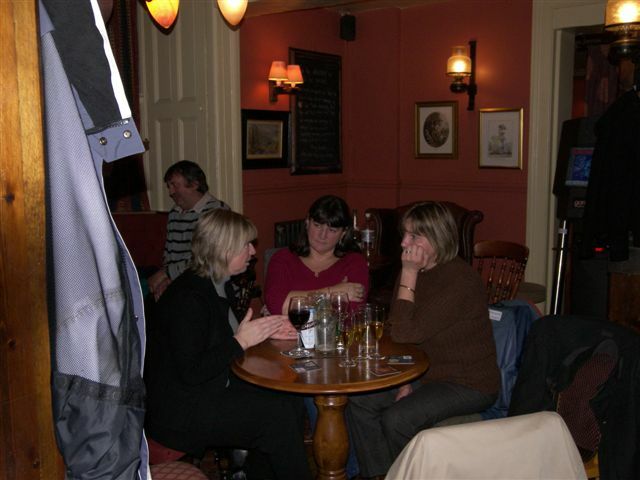 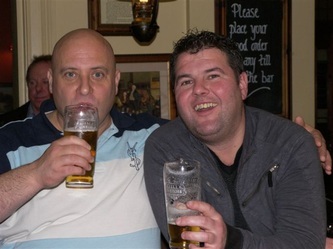 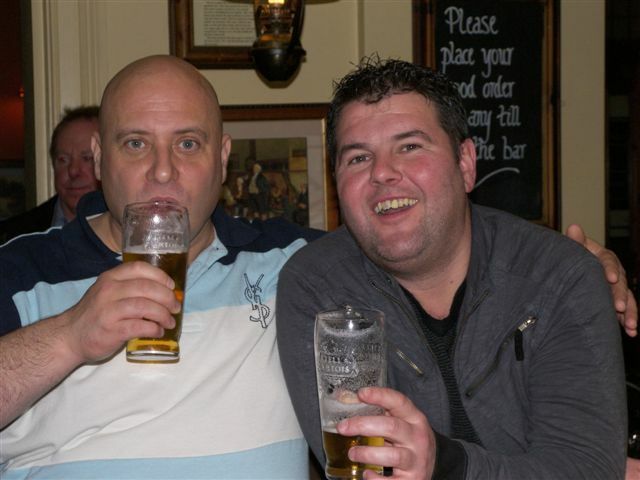 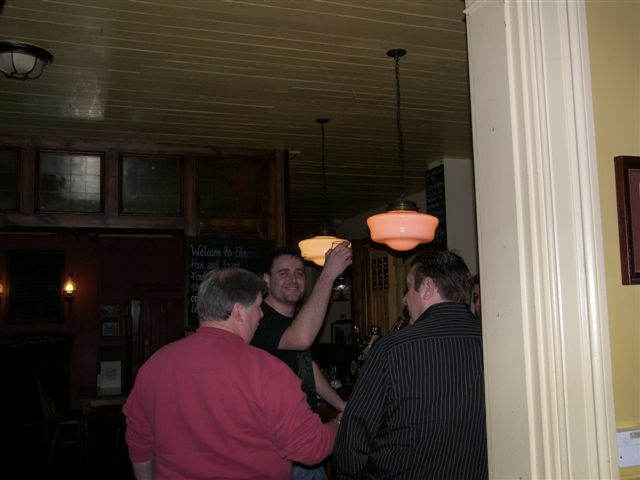 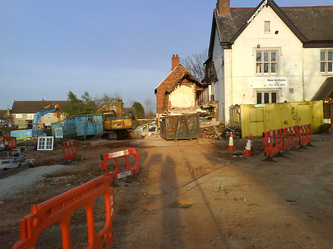 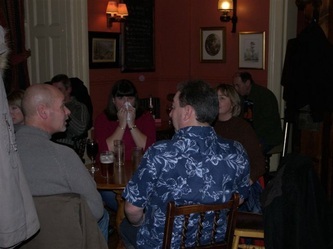 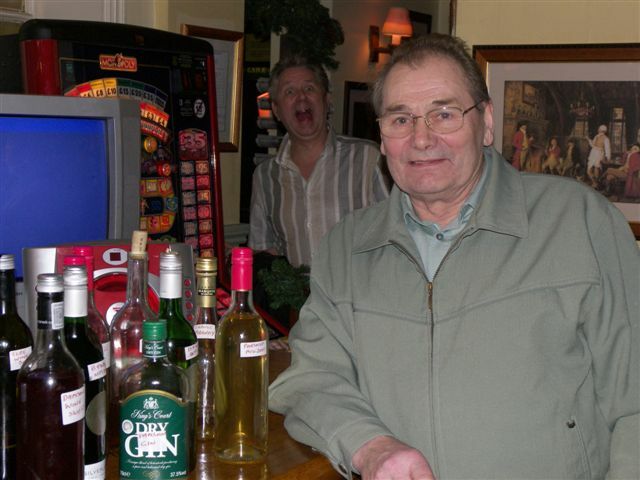 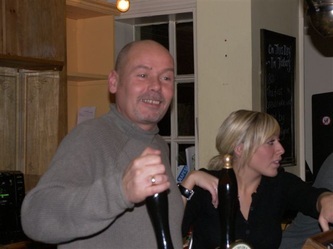 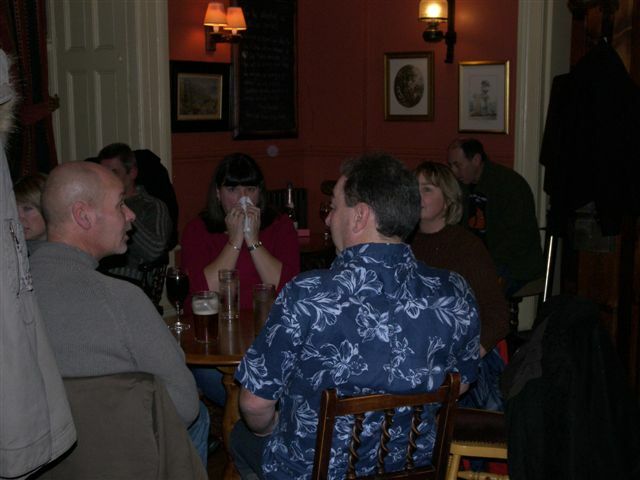 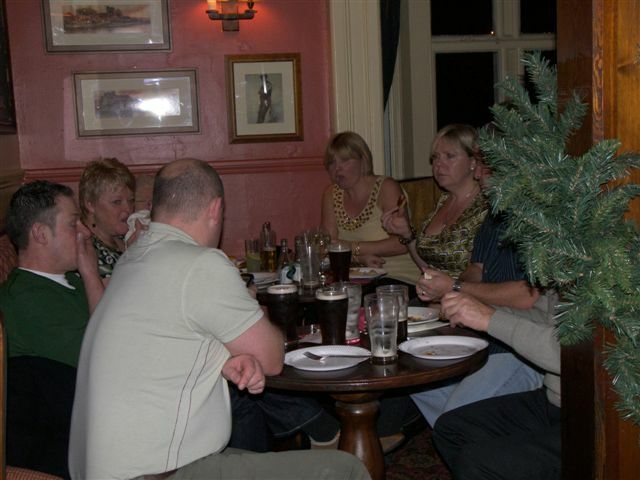 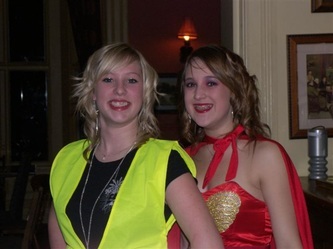 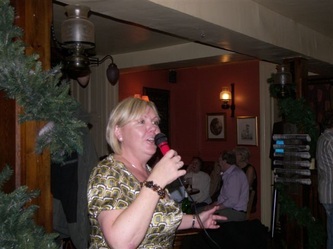 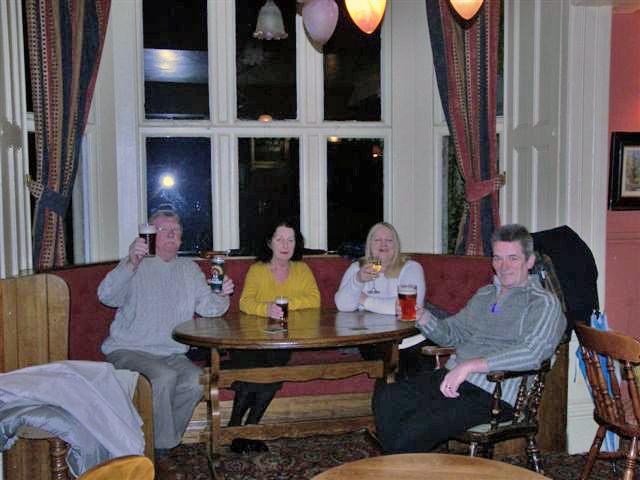 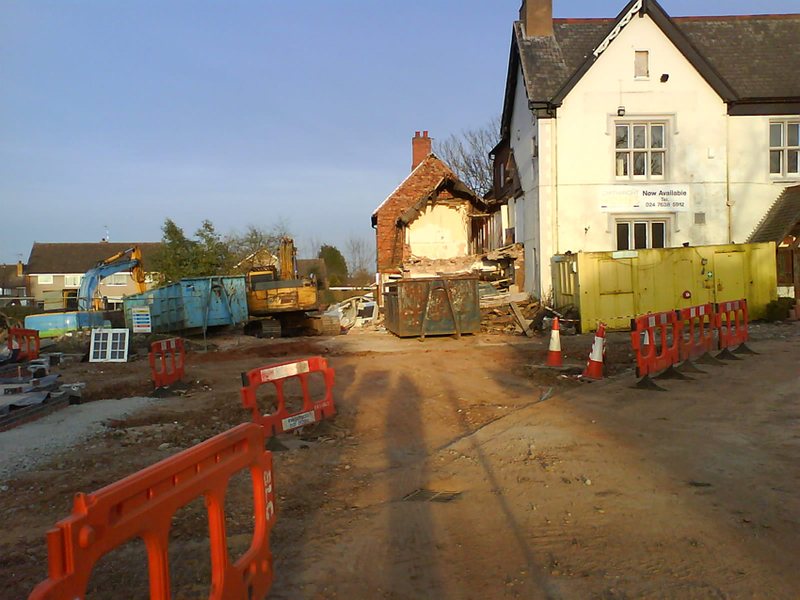 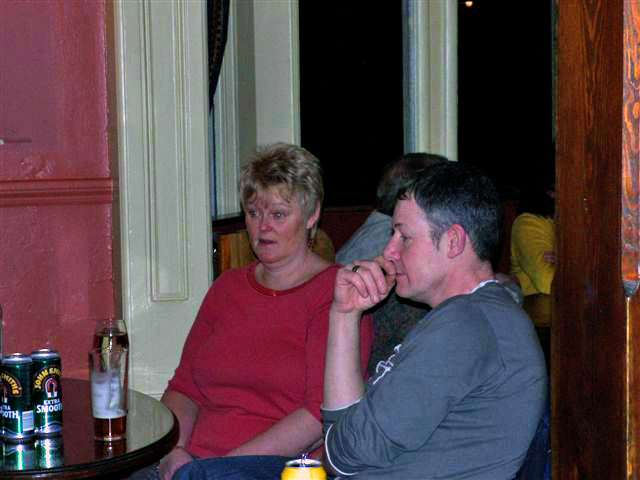 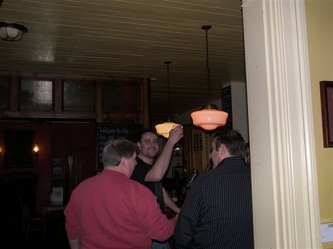 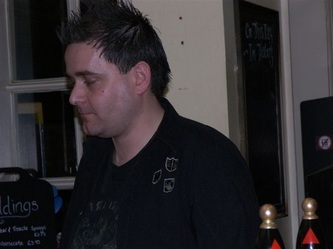 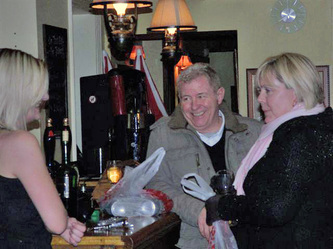 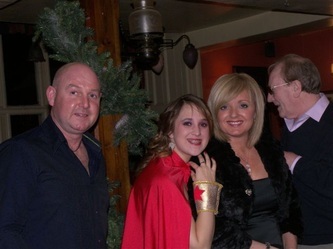 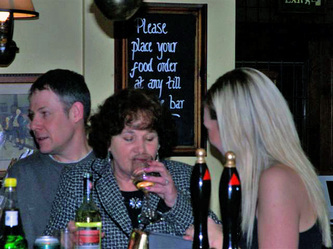 The final evening of the 'Fox & Crane' (15/01/2008). These pictures were taken on the last night before The Grove closed for good, after decades of serving the local community as a public house. 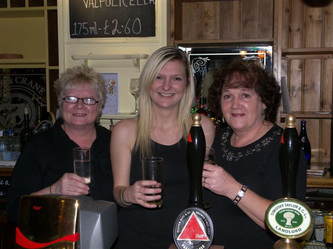 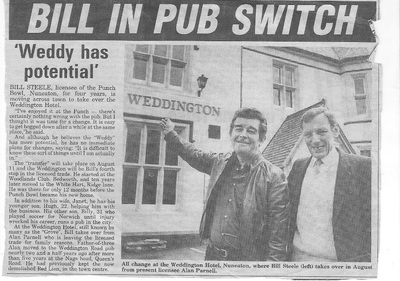 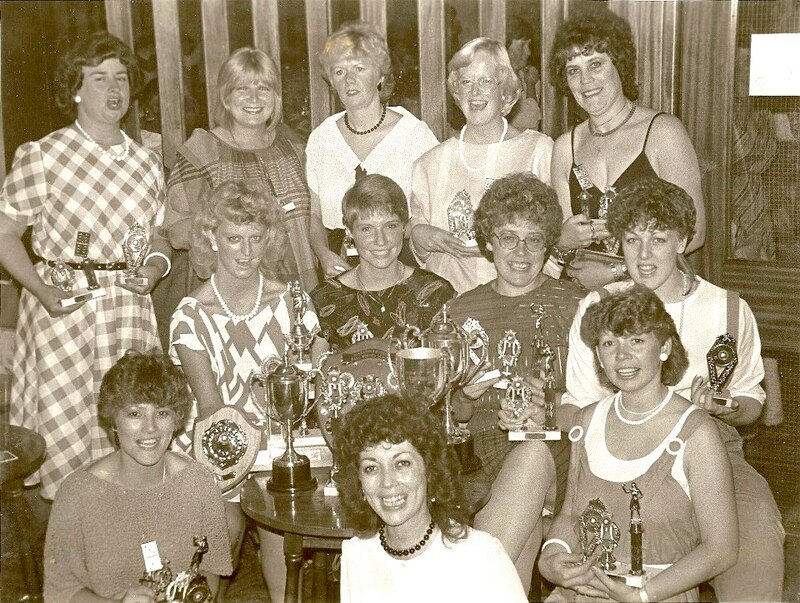 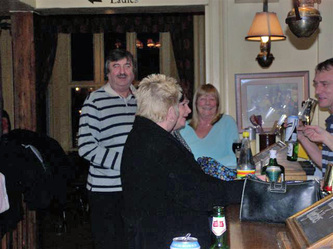 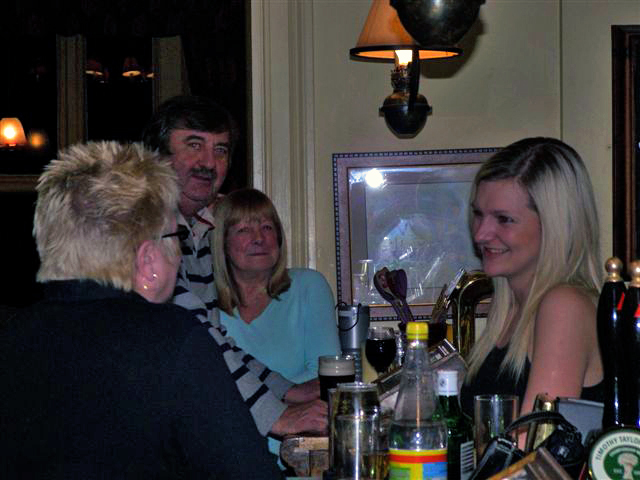 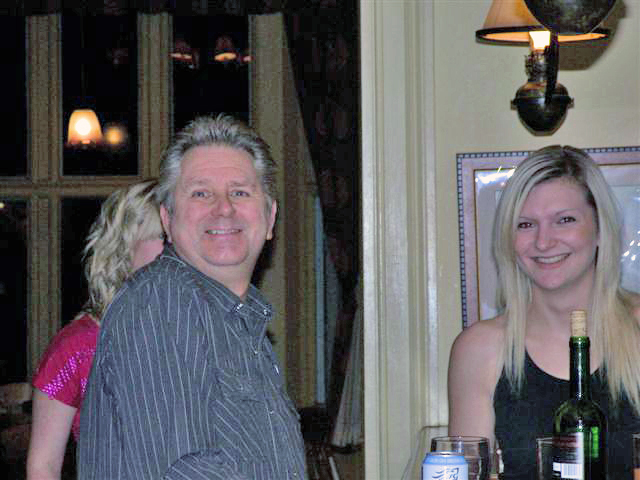 A number of Weddington's local residents are featured here on the final night, as well as Gemma Reid: the last ever licensee of The Fox & Crane. 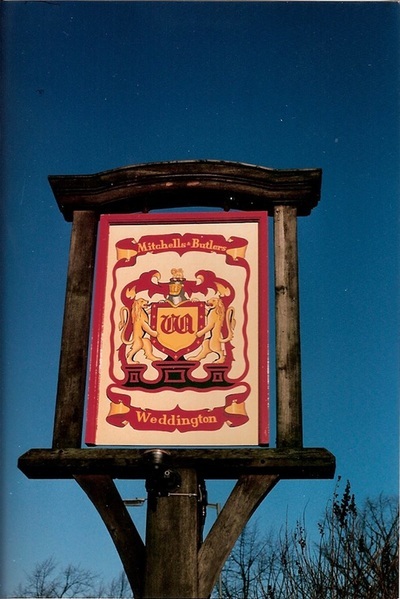 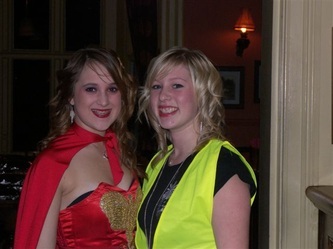 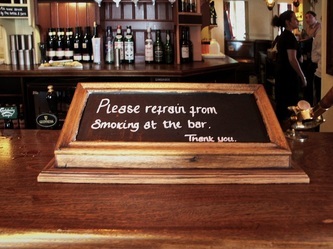 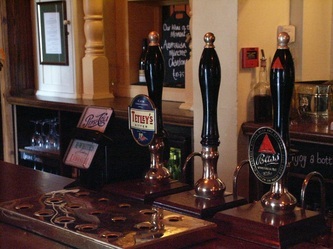 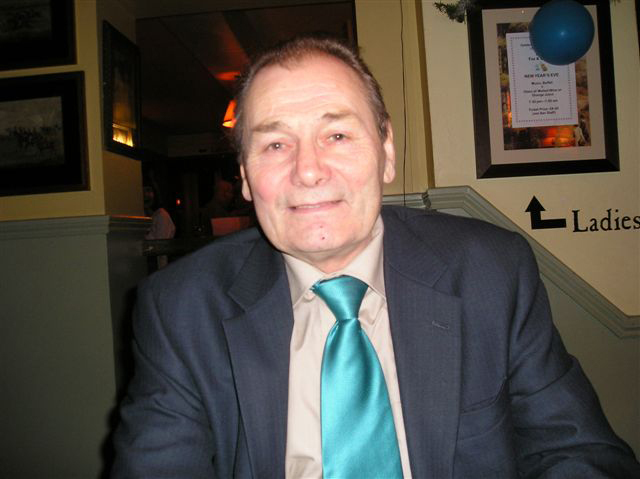 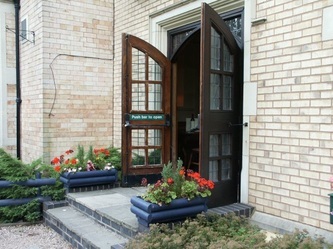 Many thanks to Malcolm Barnett for providing these photographs to the Weddington Castle website. 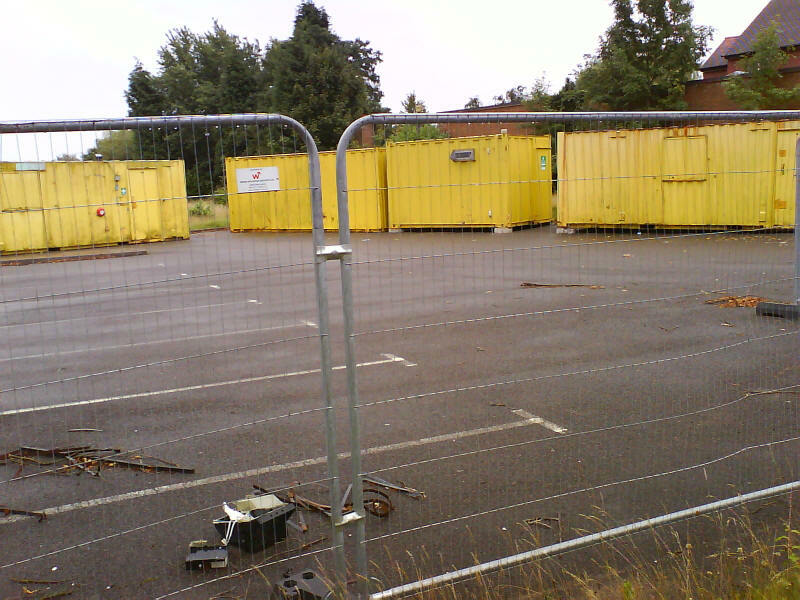 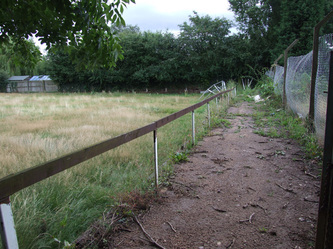 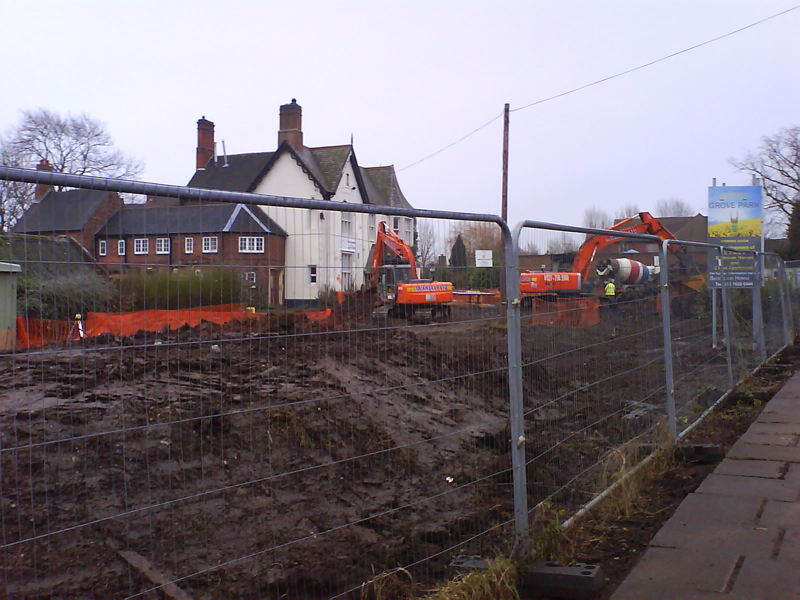 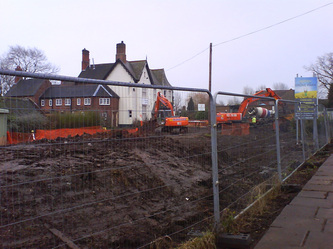 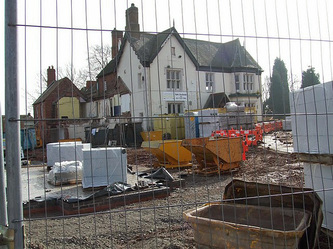 The Redevelopment of 'Grove Park' in 2010. 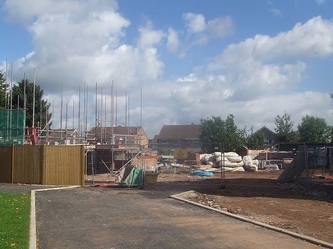 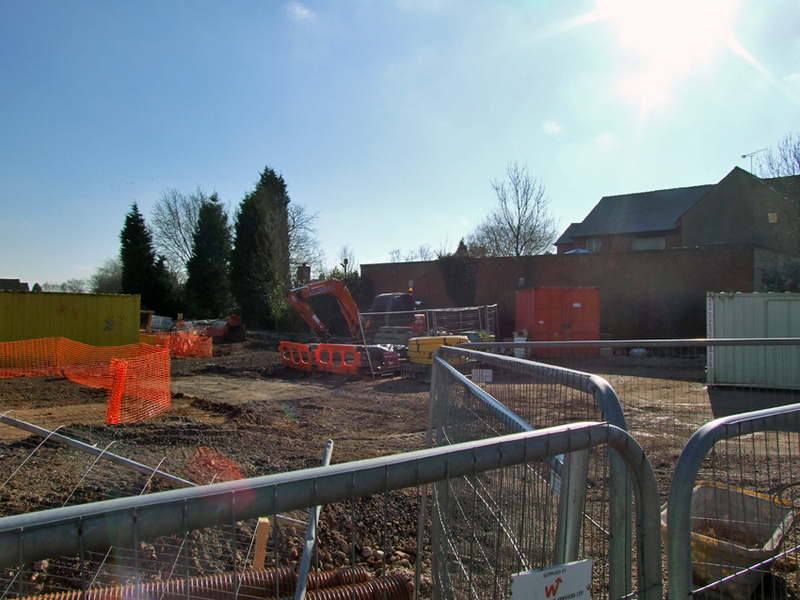 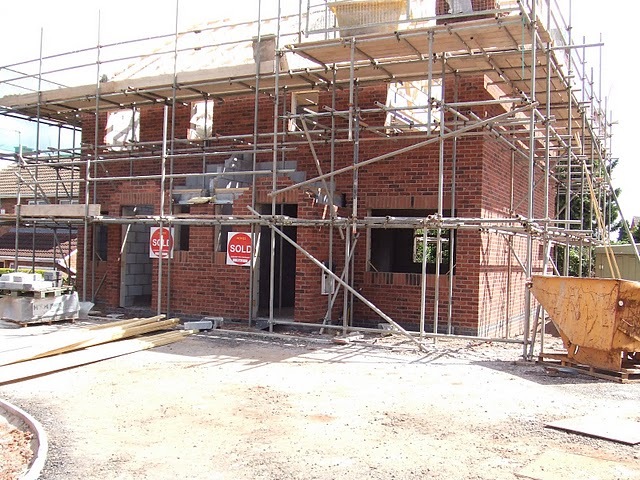 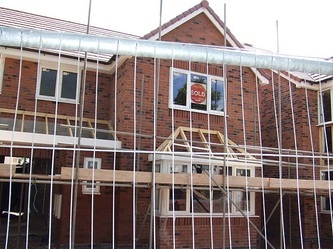 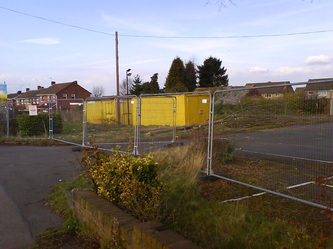 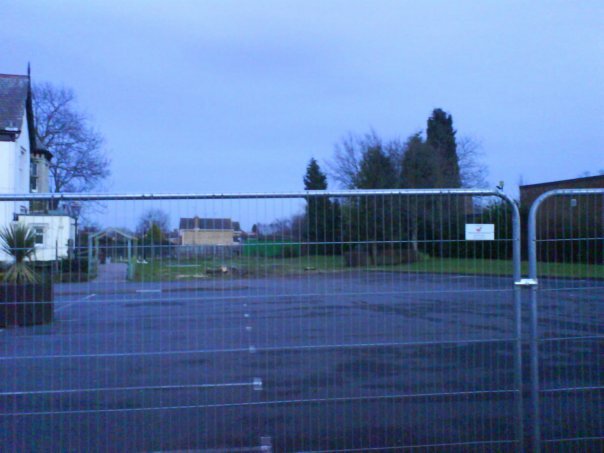 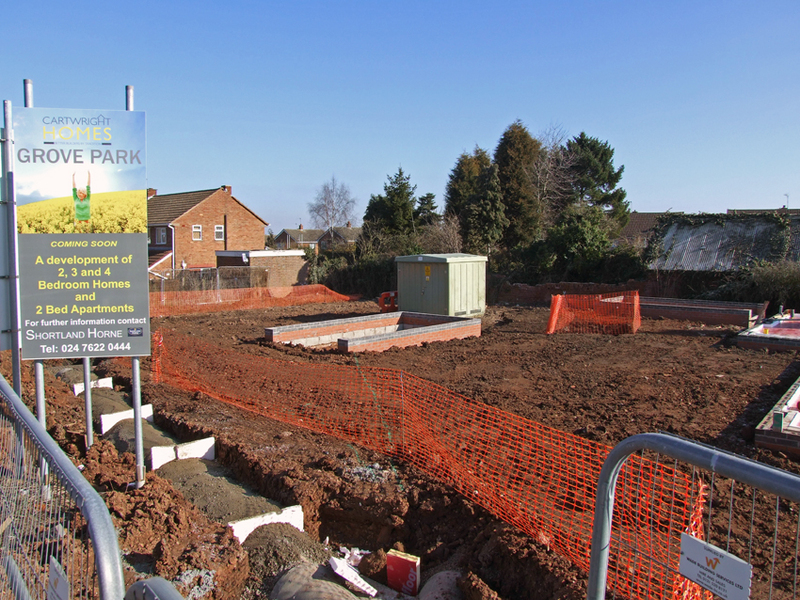 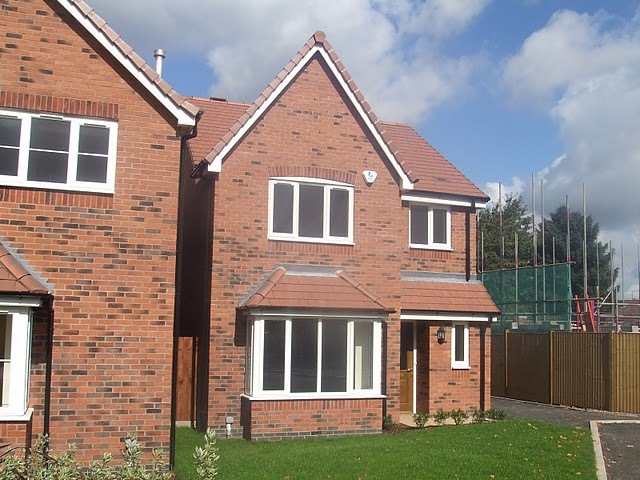 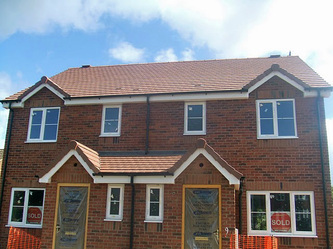 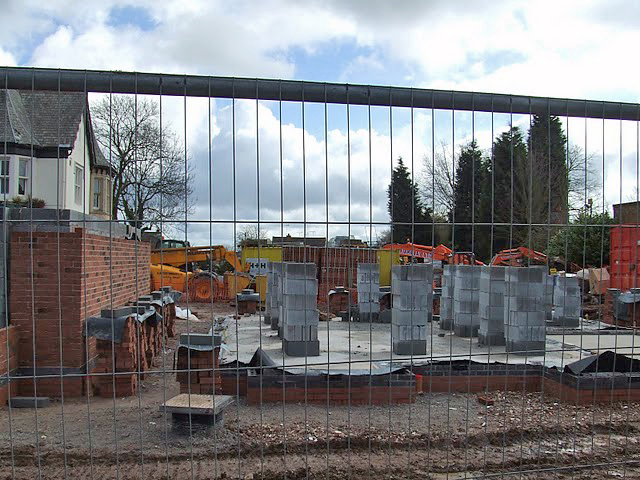 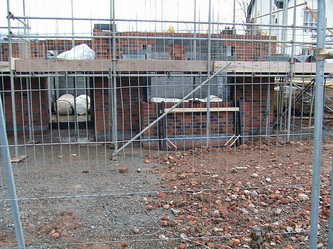 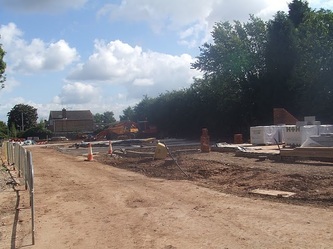 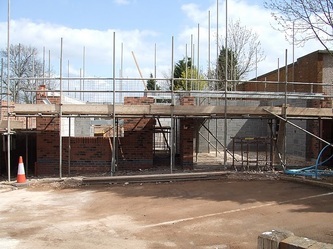 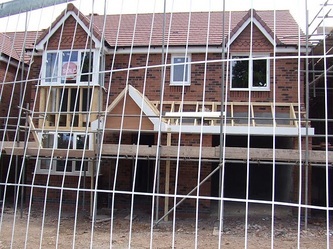 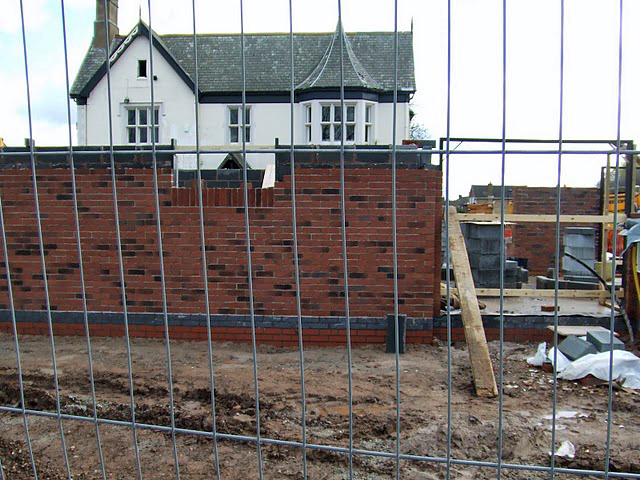 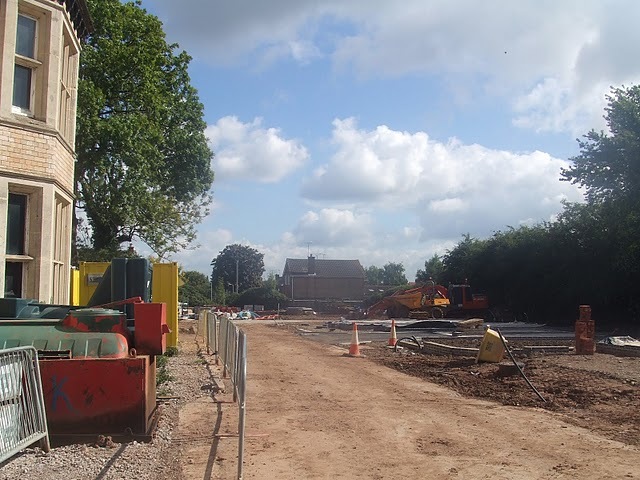 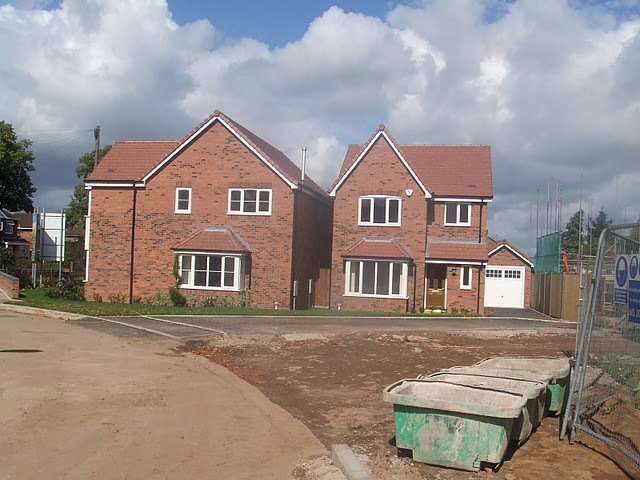 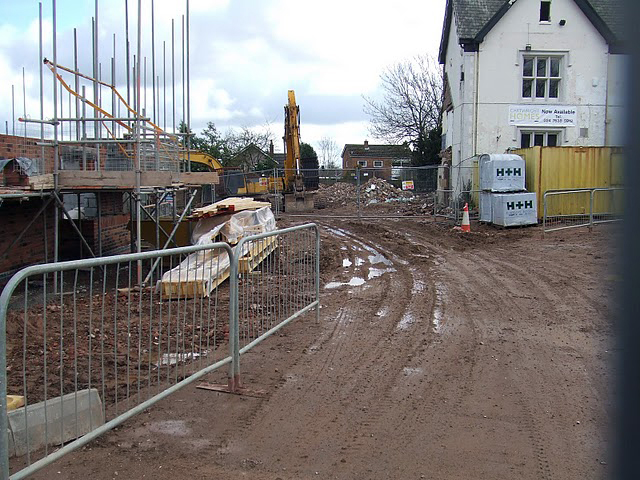 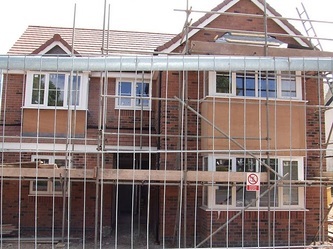 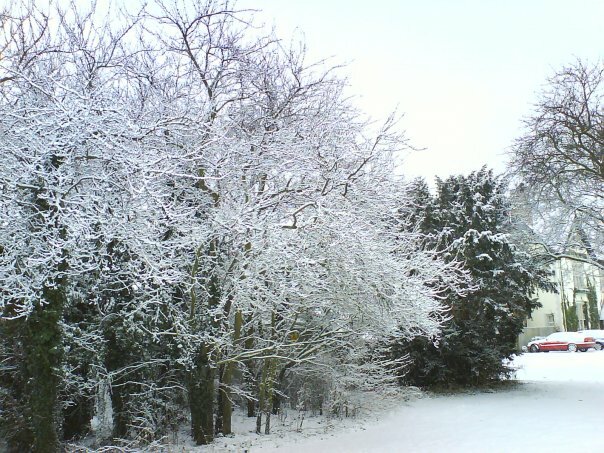 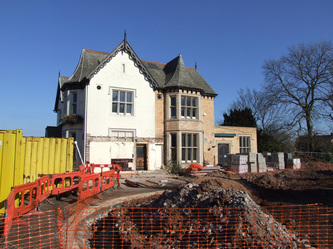 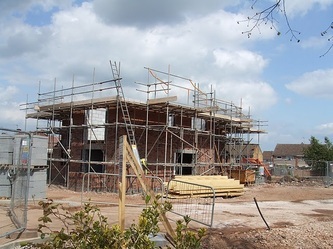 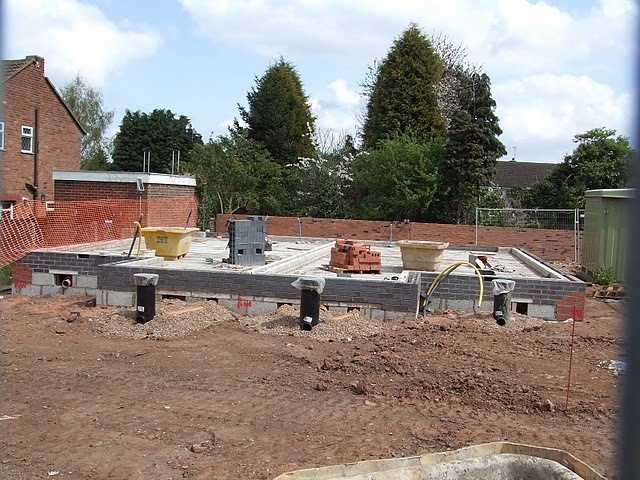 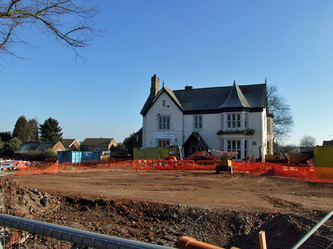 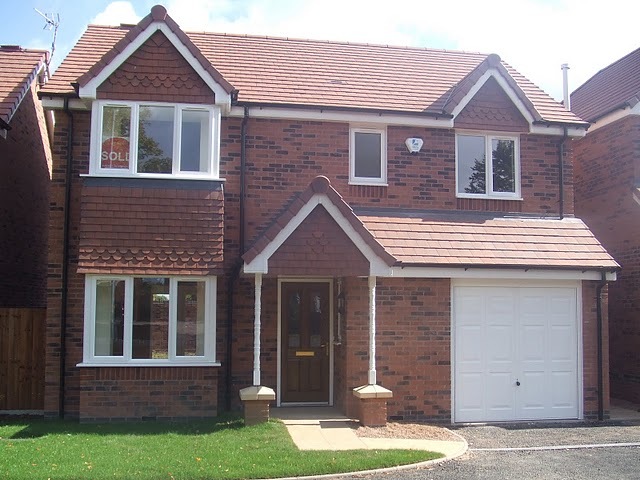 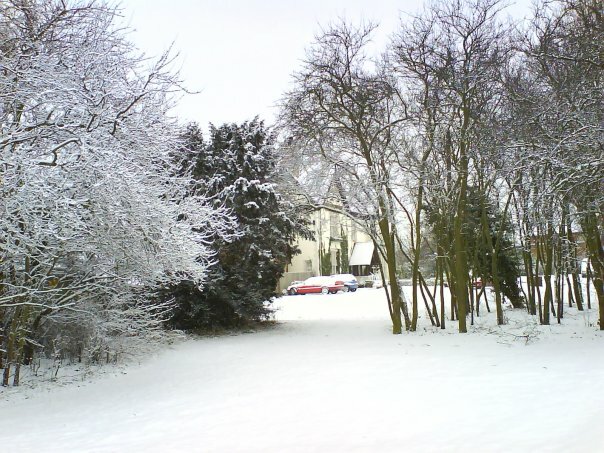 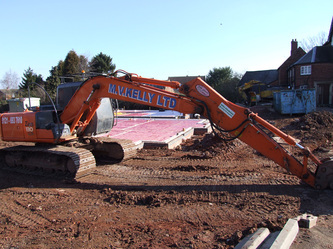 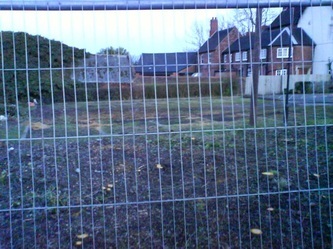 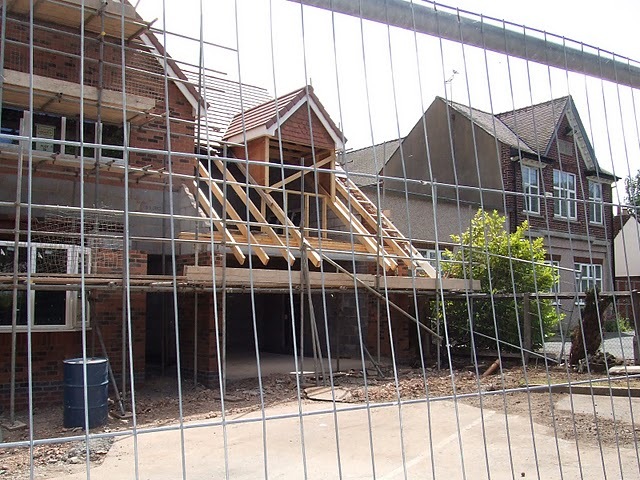 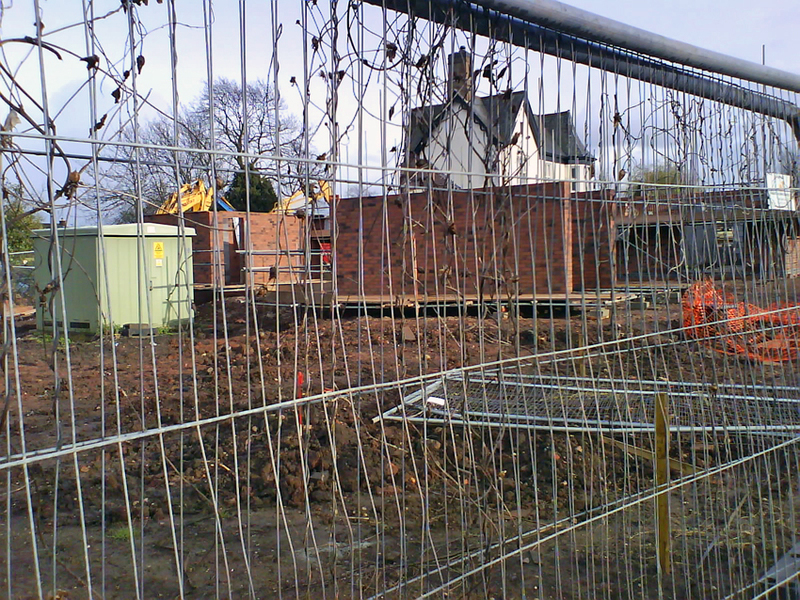 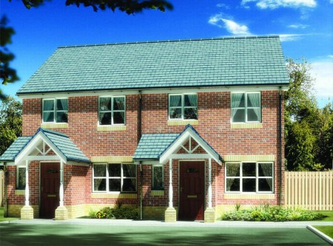 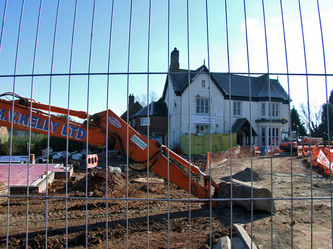 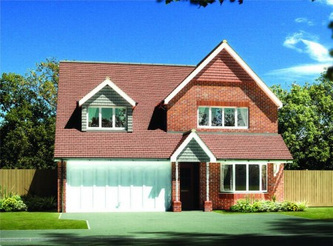 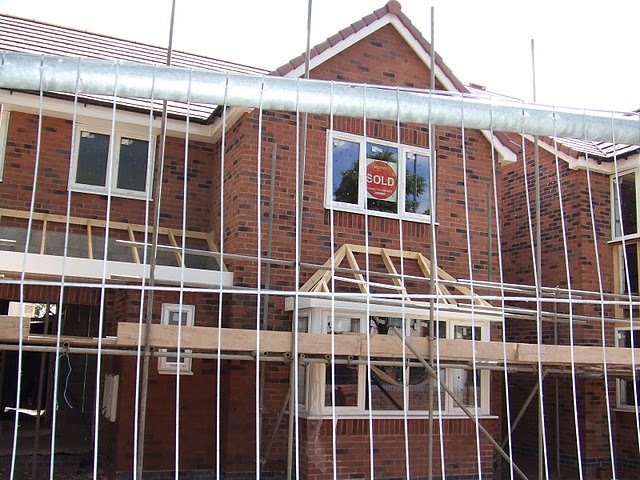 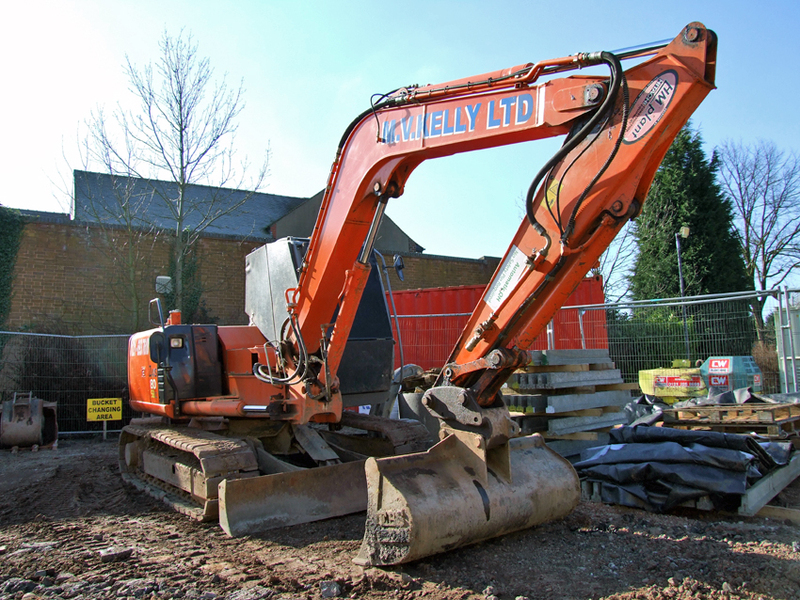 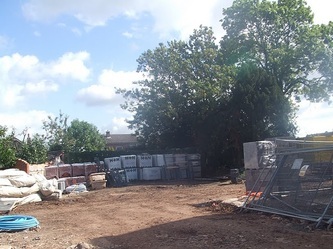 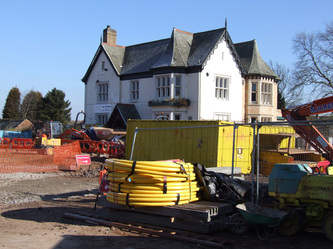 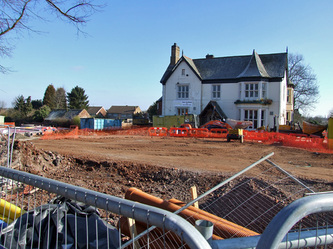 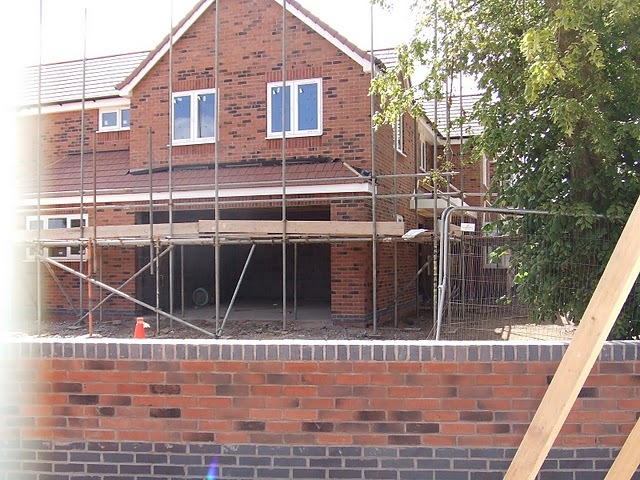 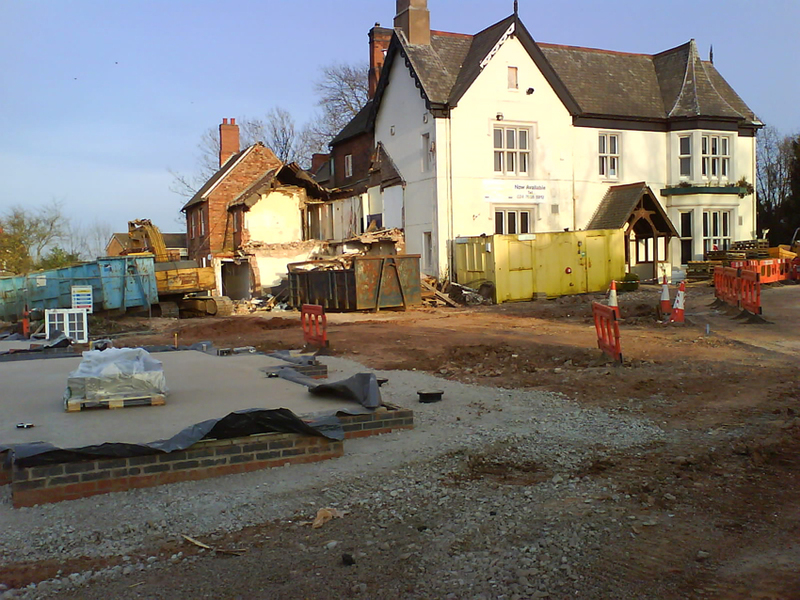 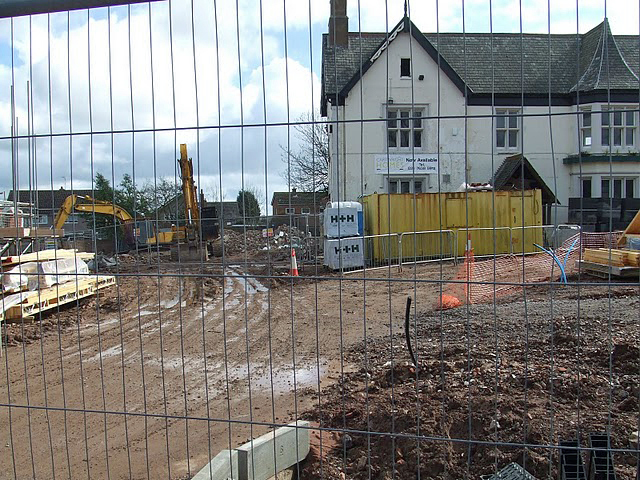 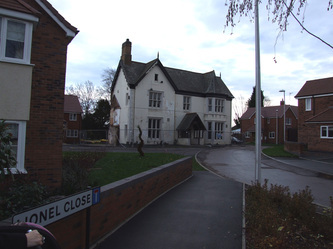 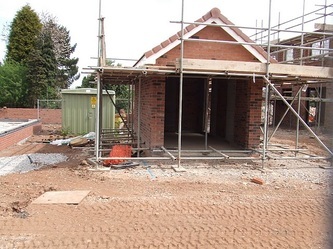 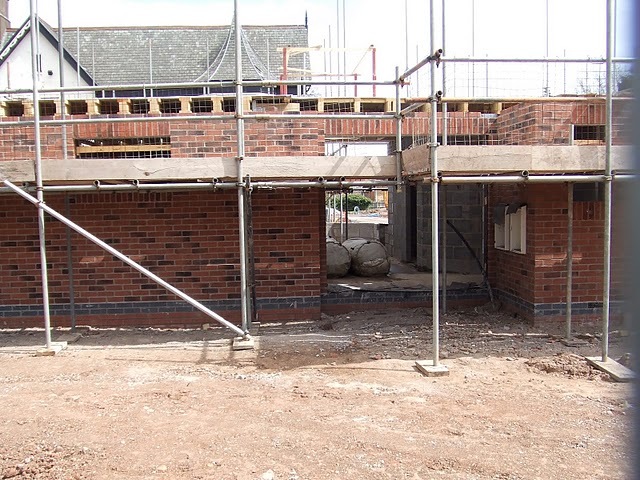 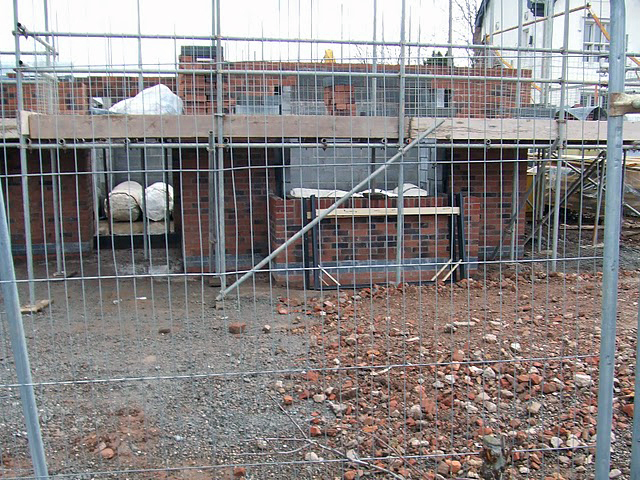 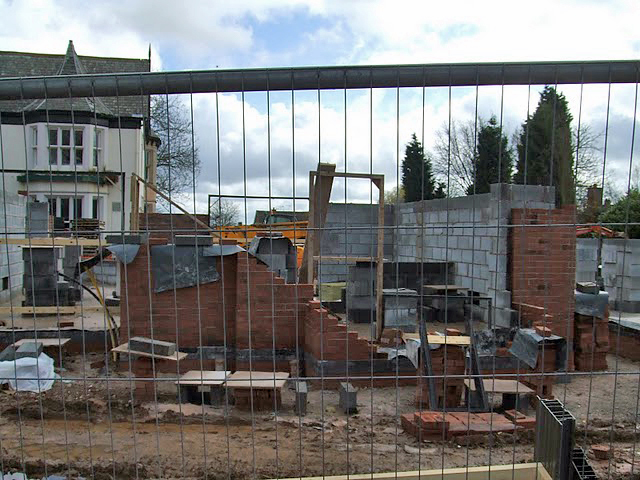 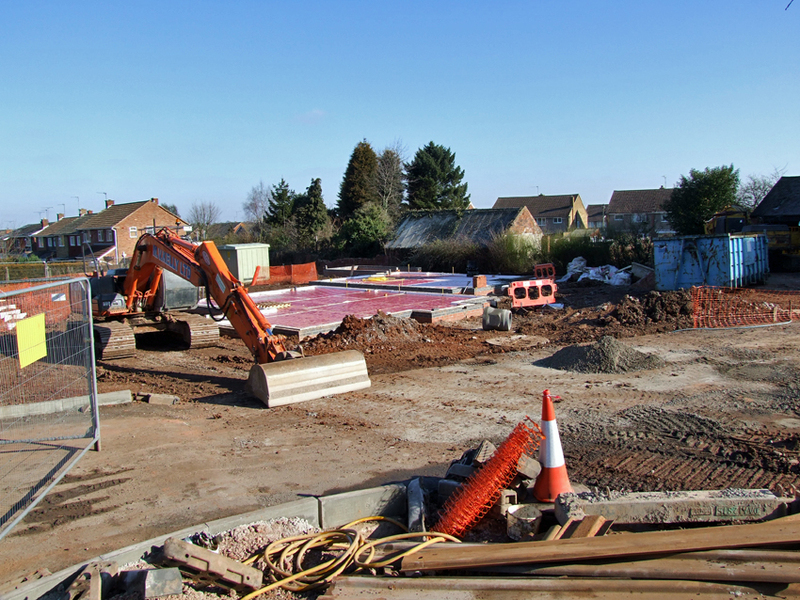 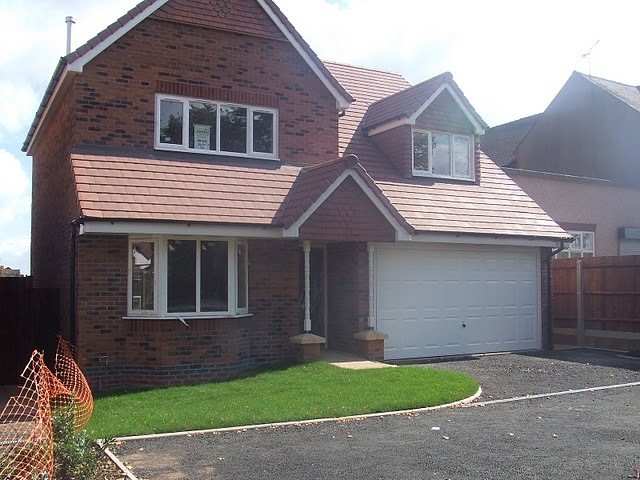 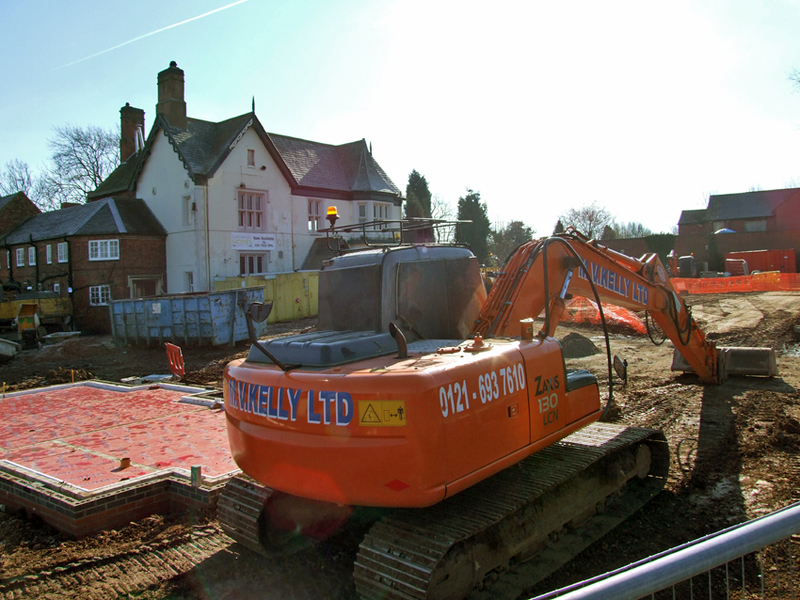 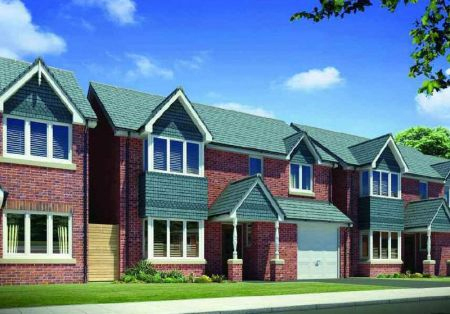 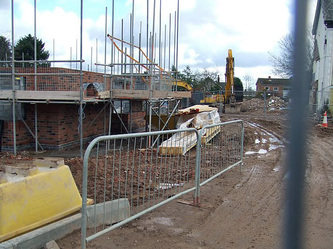 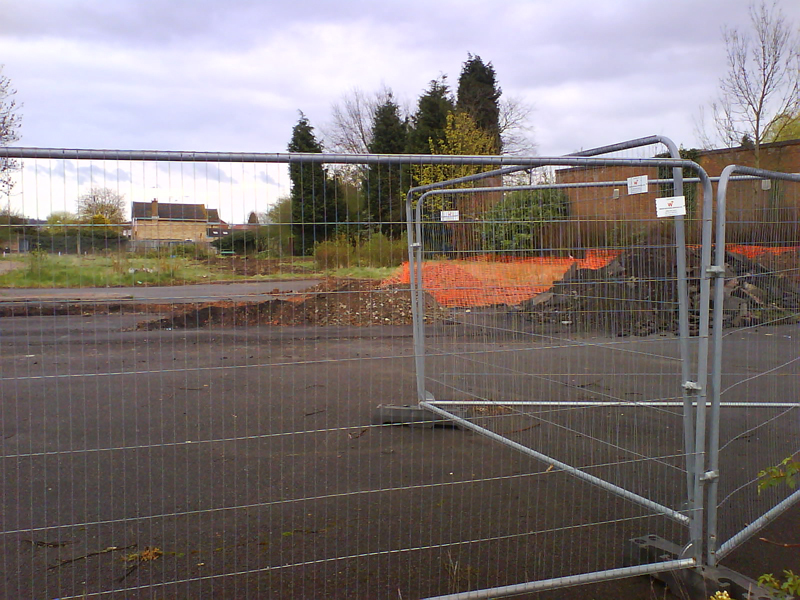 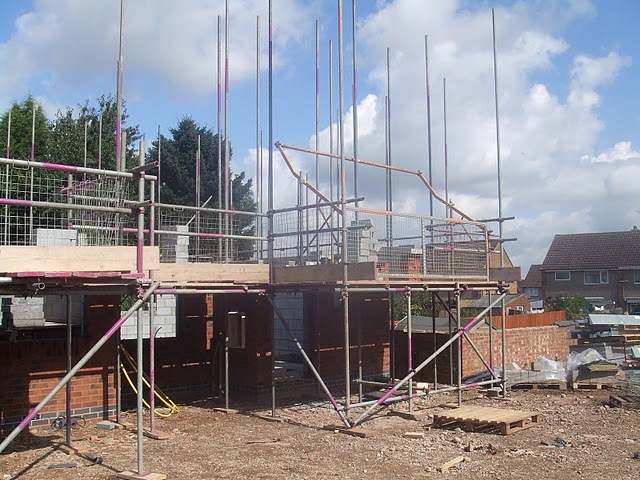 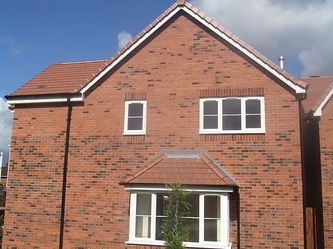 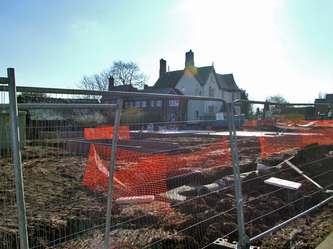 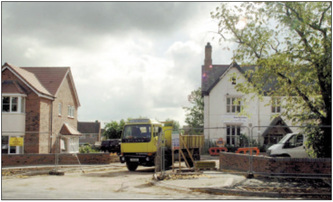 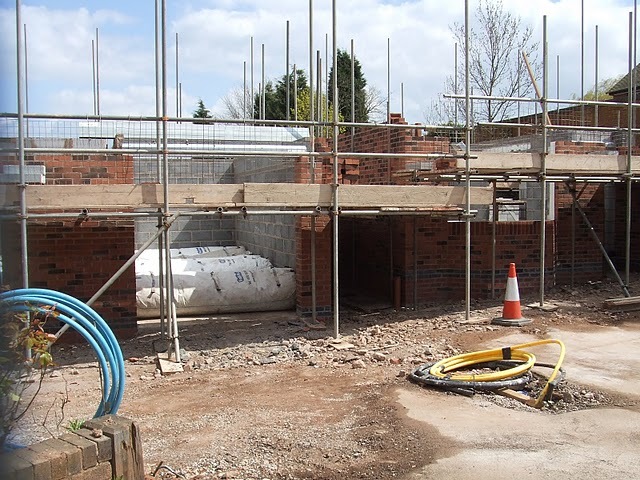 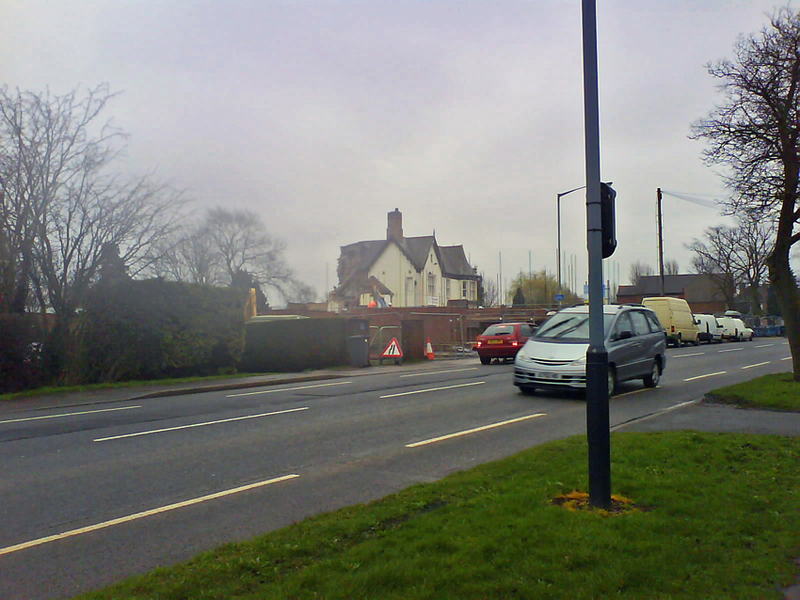 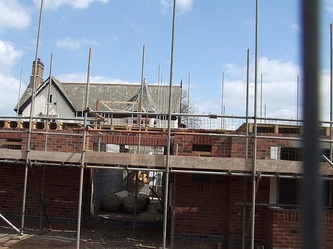 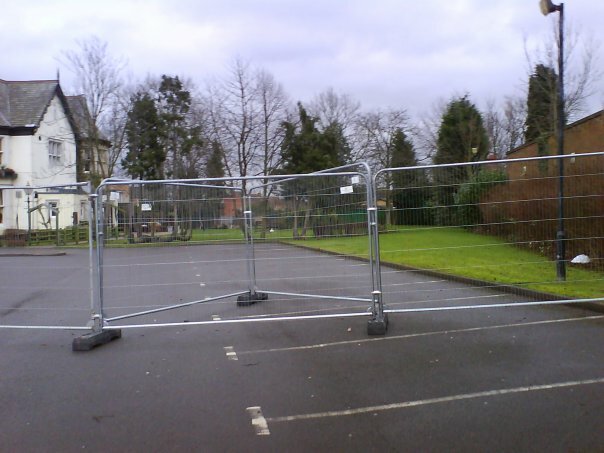 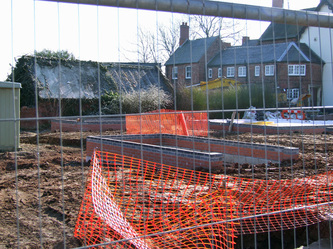 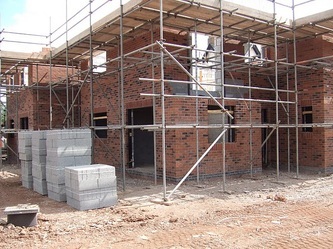 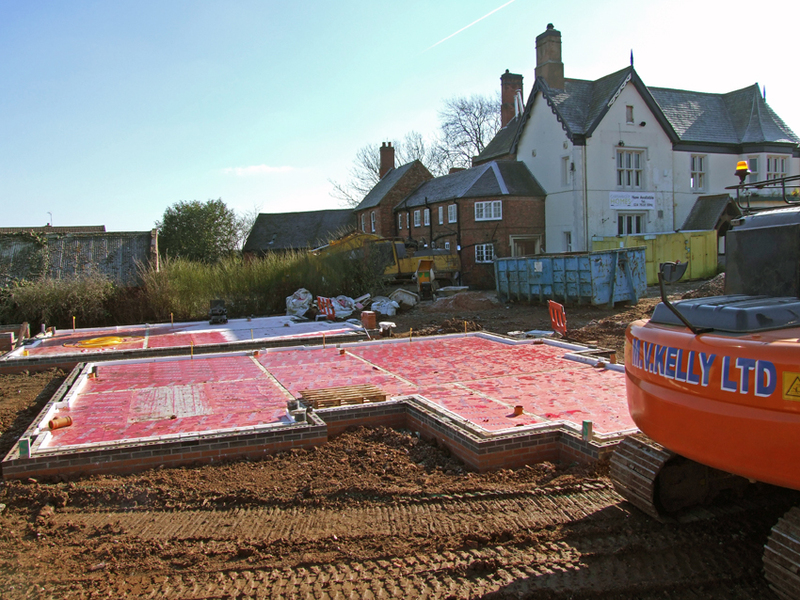 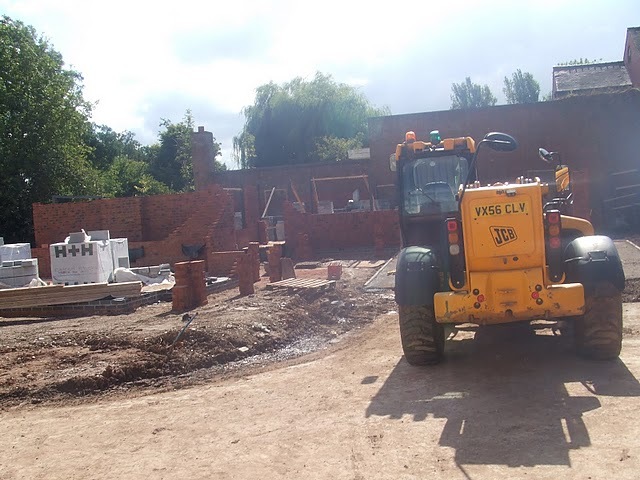 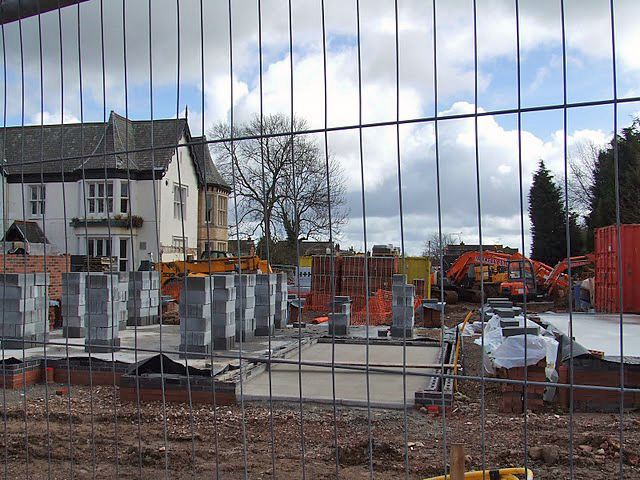 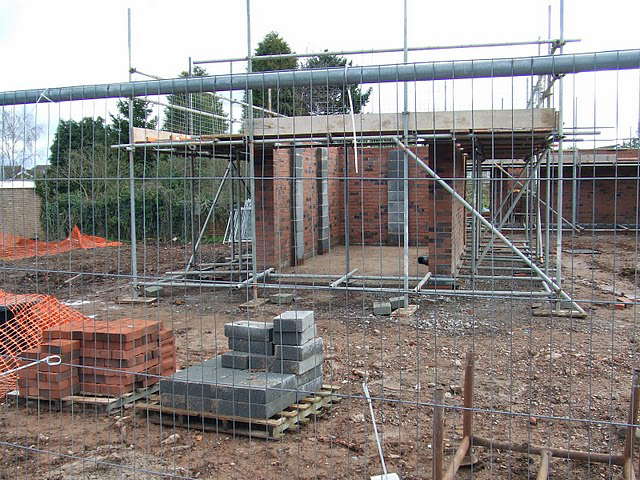 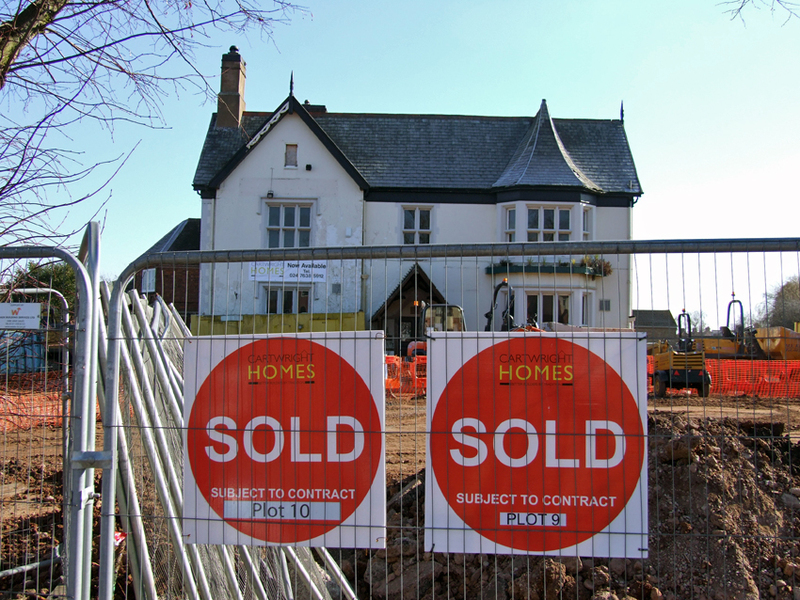 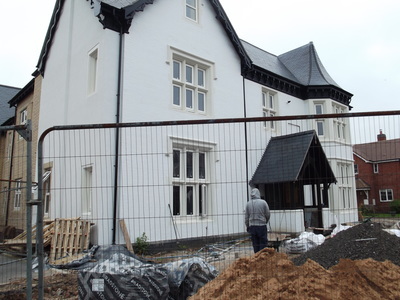 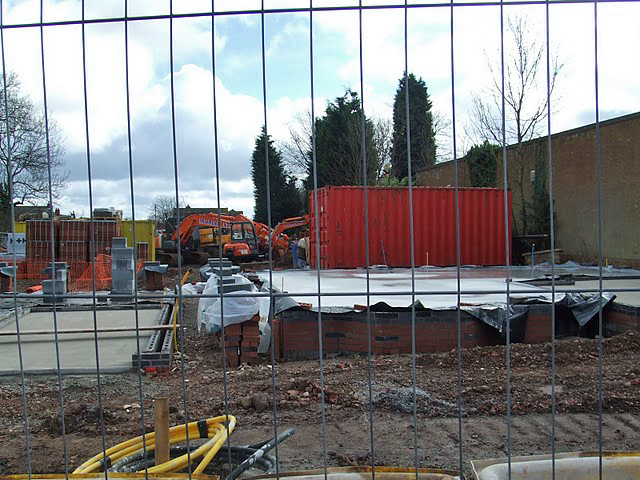 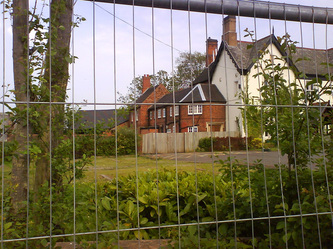 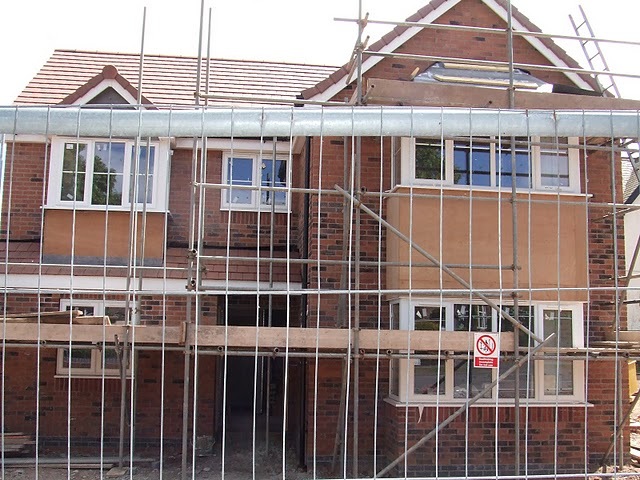 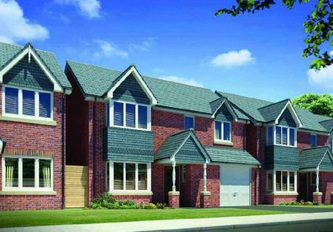 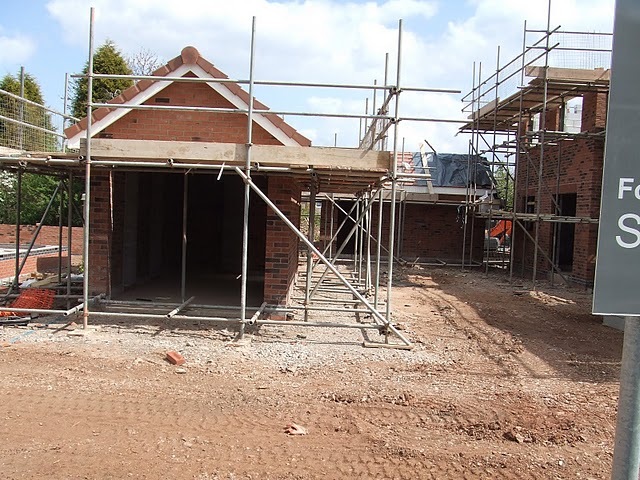 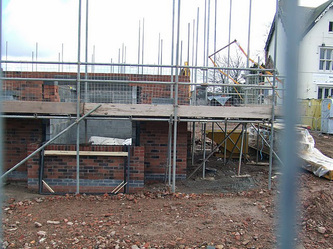 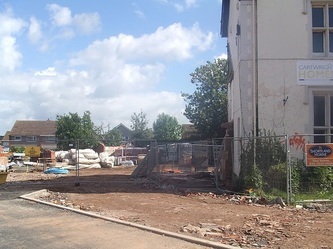 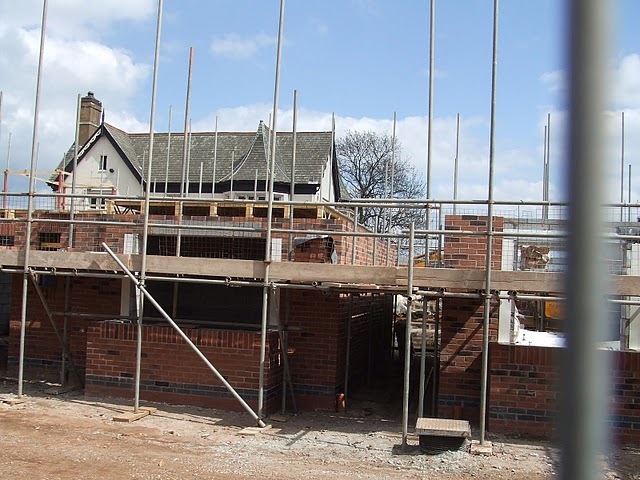 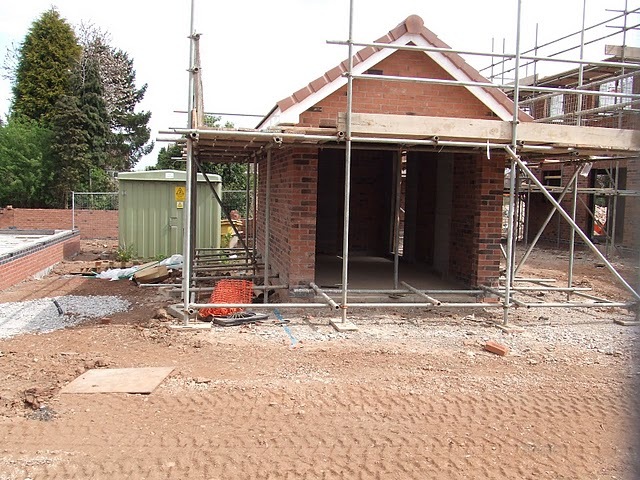 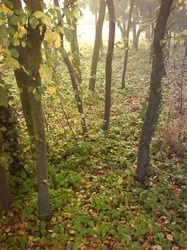 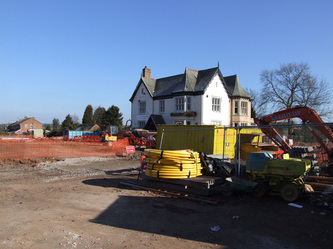 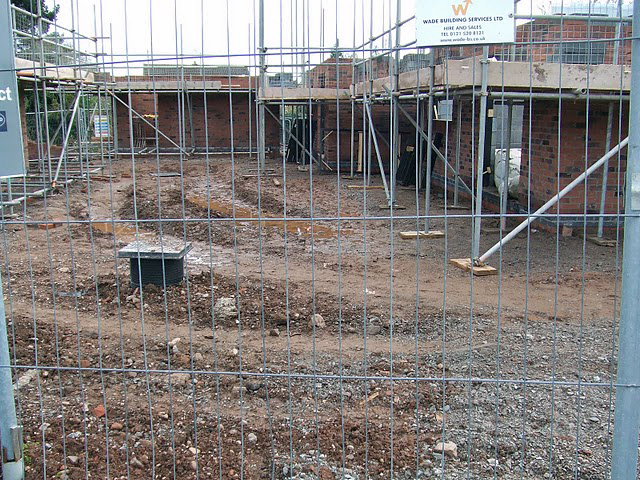 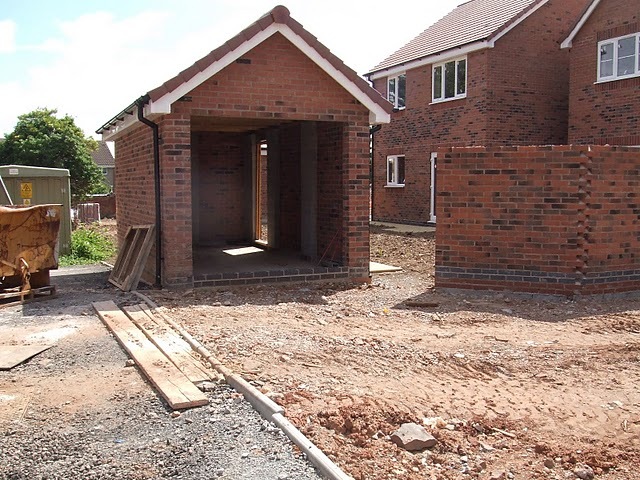 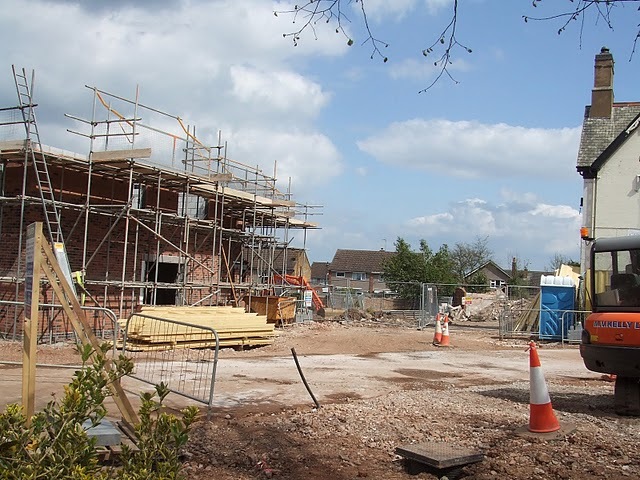 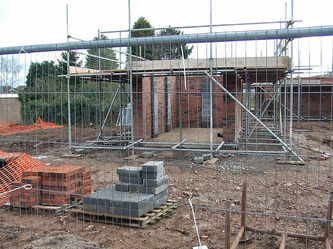 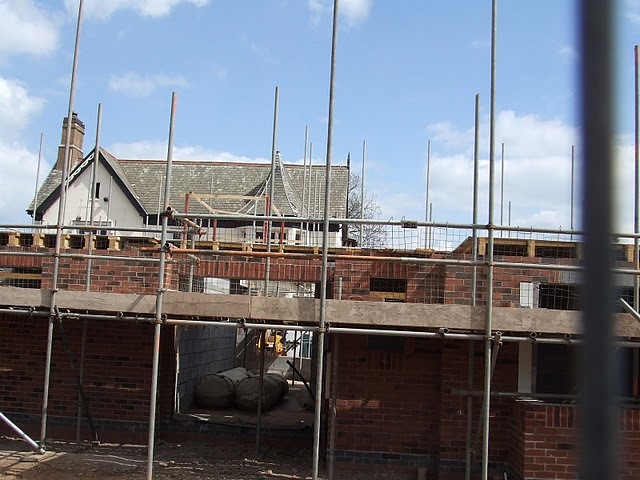 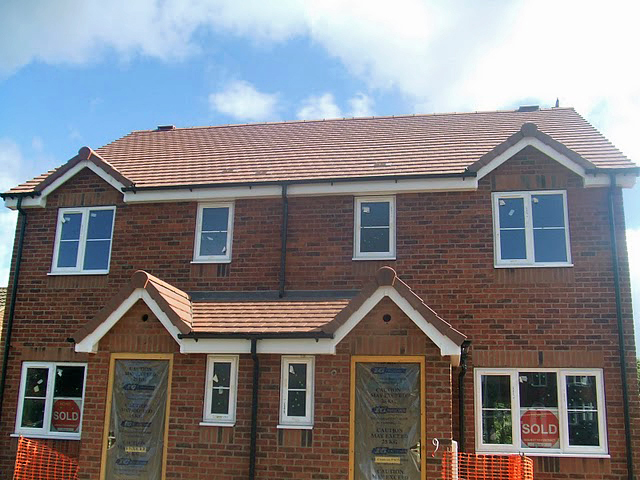 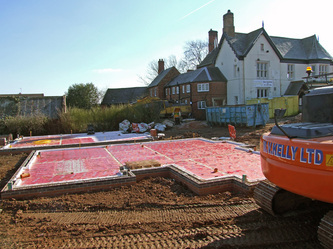 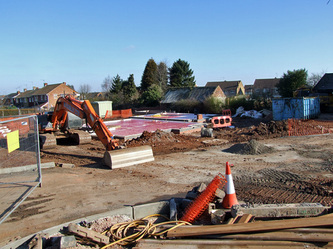 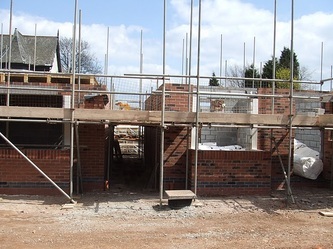 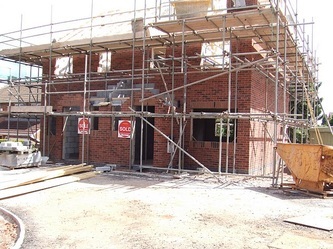 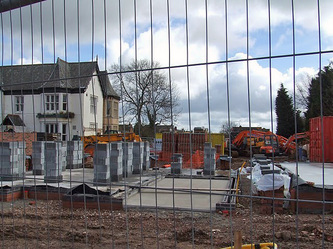 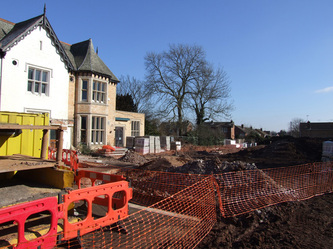 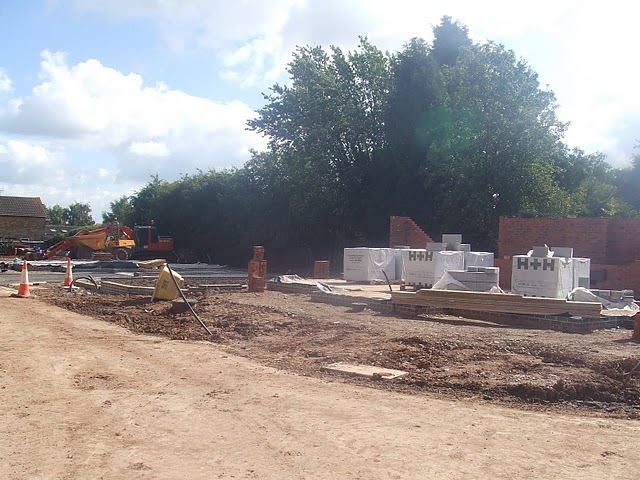 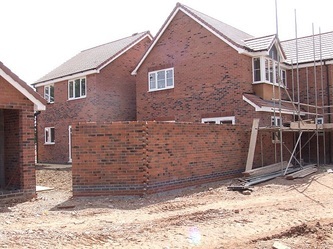 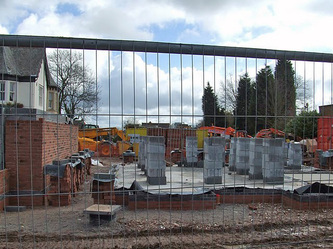 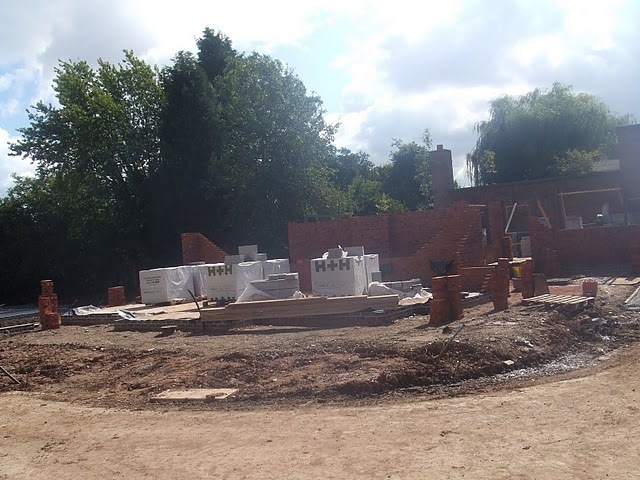 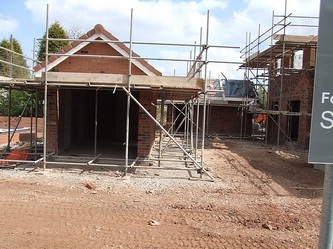 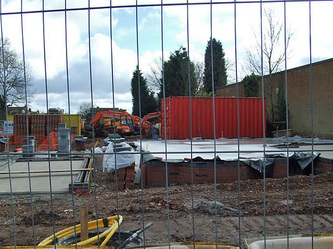 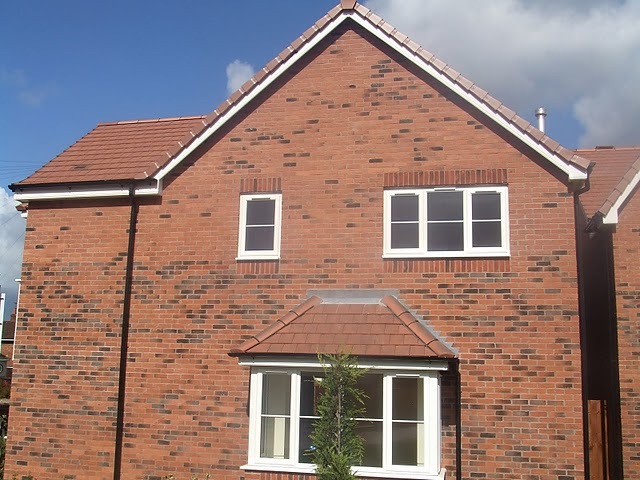 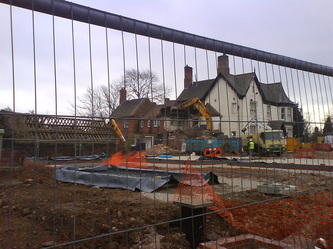 As of 2010, the transformation of the Grove and its grounds into a housing development ('Grove Park') was fully underway. 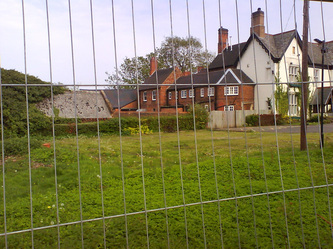 The houses went up quickly, although the only work on Grove itself was the demolition of its outbuildings and it remained fenced off and marked with graffiti. 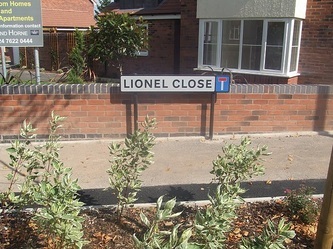 One positive is that the road sign "Lionel Close", was in place. 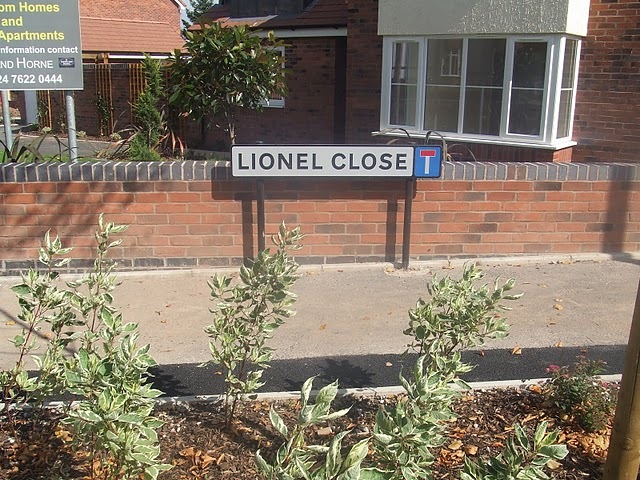 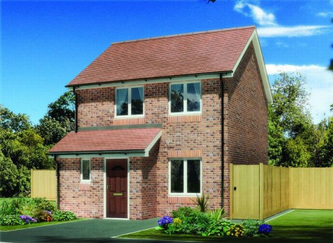 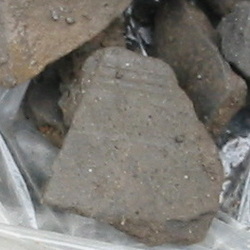 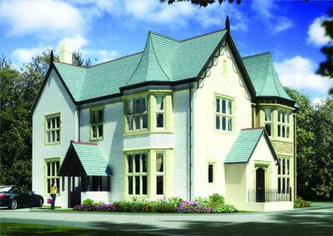 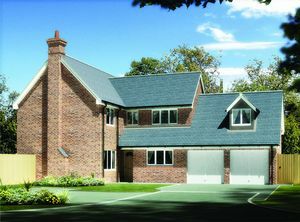 This is named after the former owner of Weddington Castle: Lionel Place. 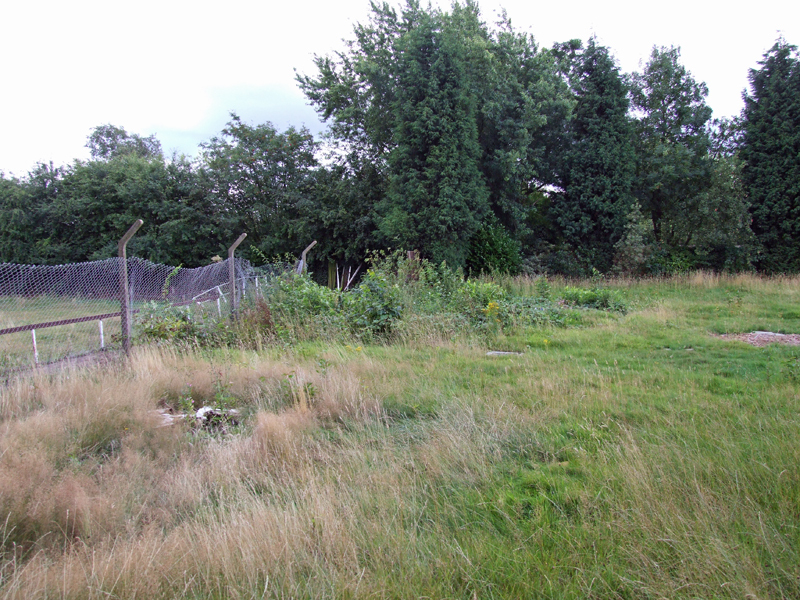 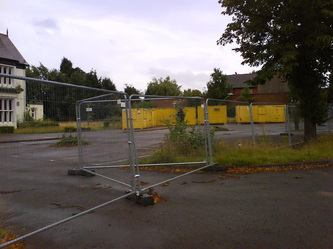 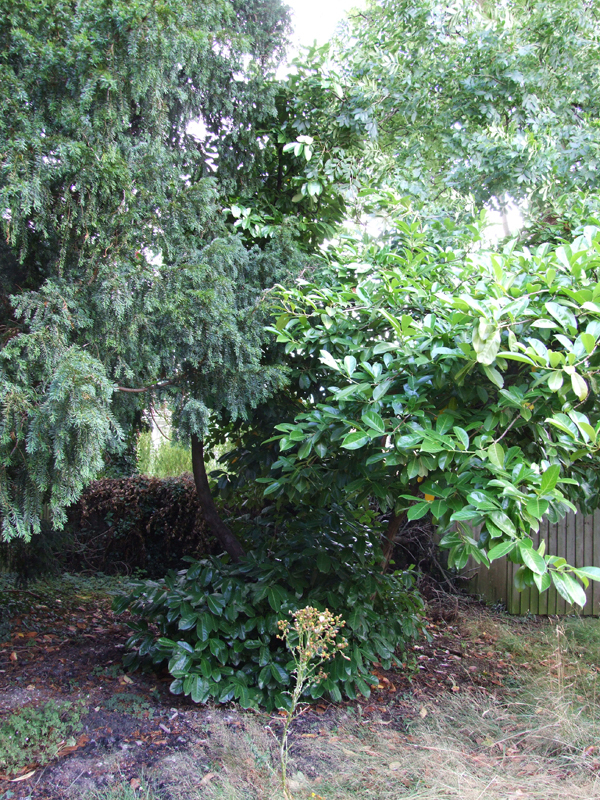 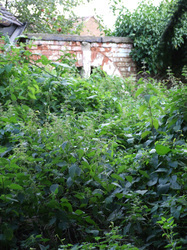 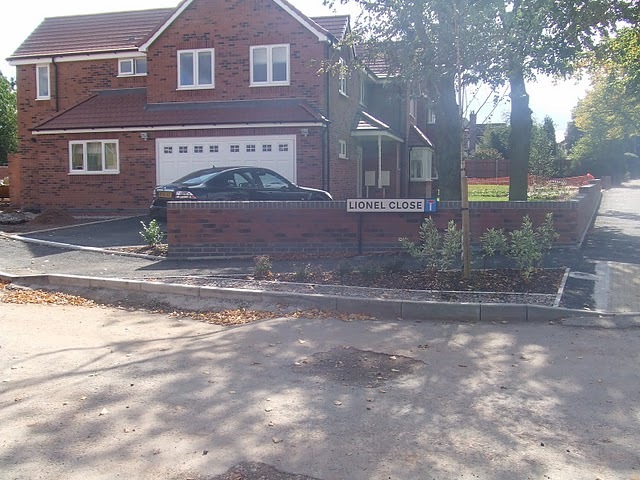 August 2010: A small comfort is that the developers listened to suggestions and named the main access road "Lionel Close", after the former owner of Weddington Castle: Lionel Place (August 2010 pictures © Shortland Horne). 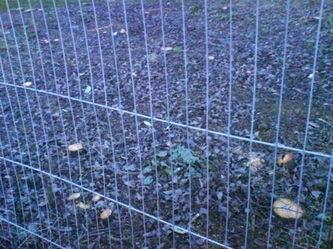 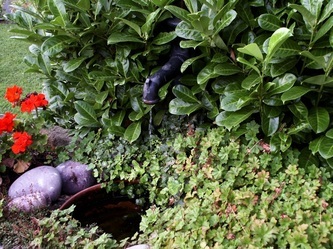 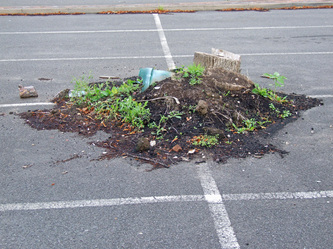 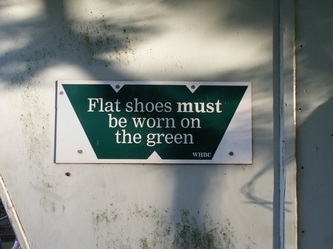 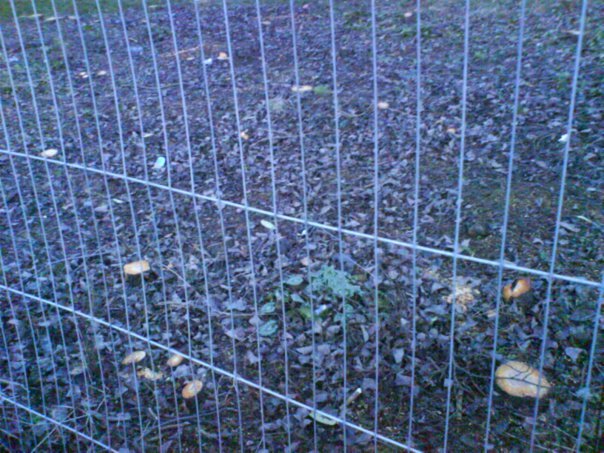 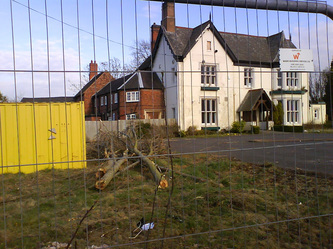 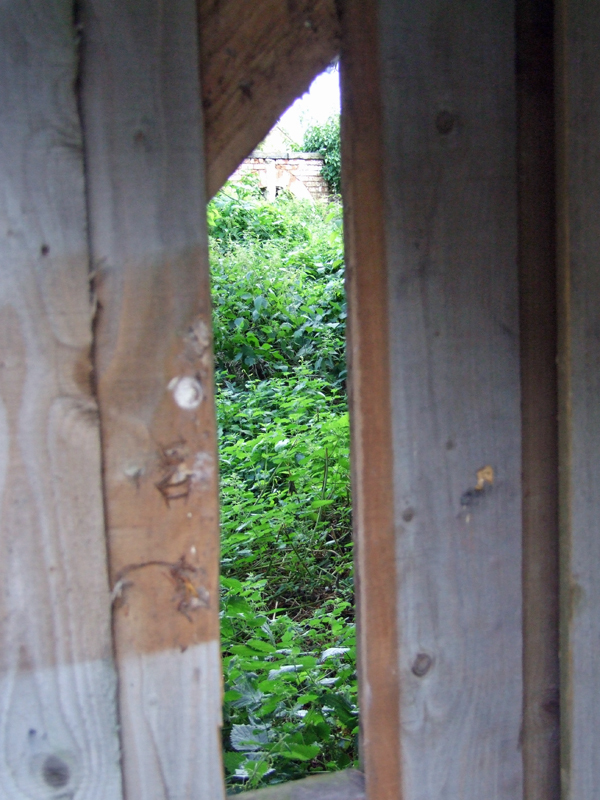 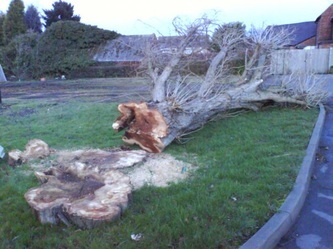 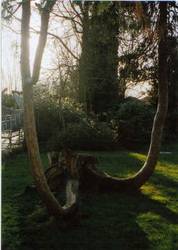 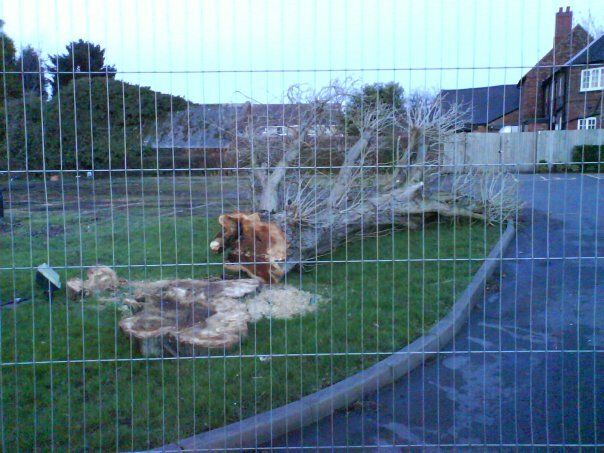 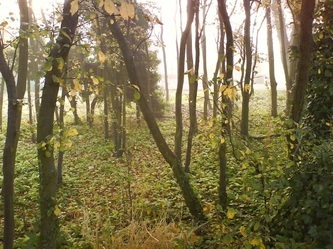 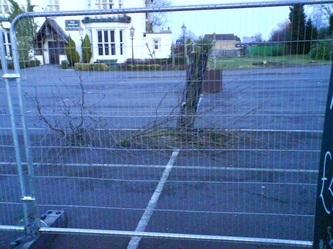 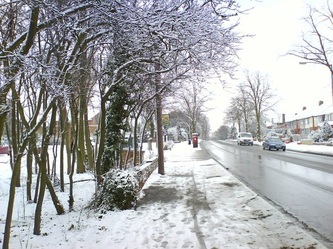 January 2011: throughout 2011, the so-called "transformation" of the Grove failed to happen. 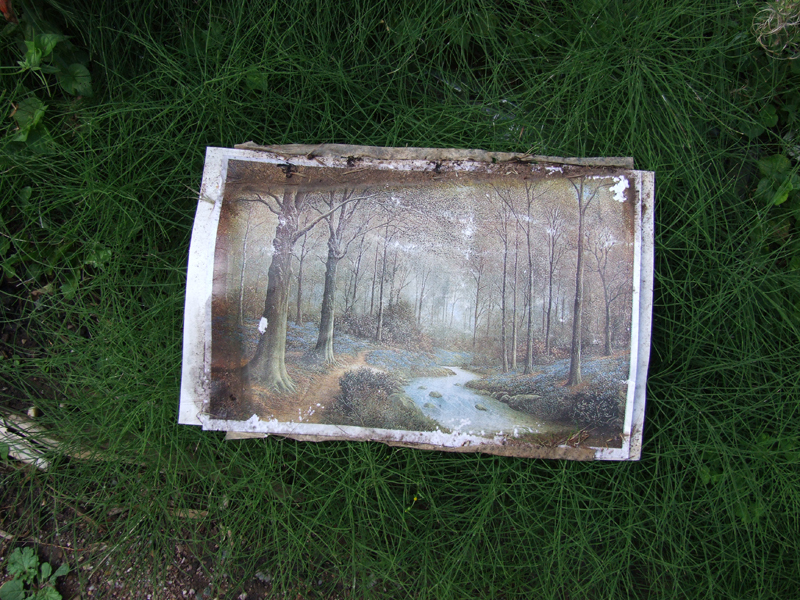 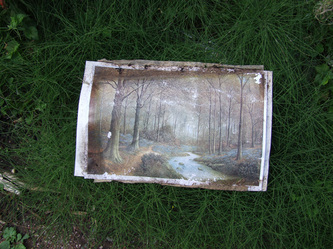 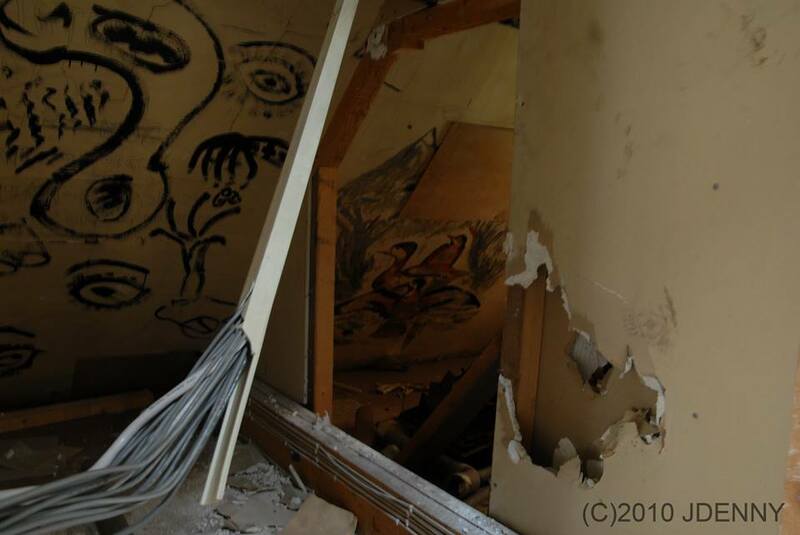 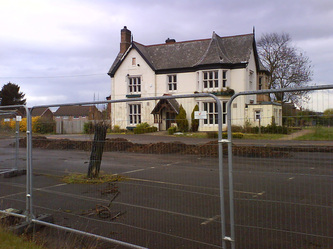 It remained a sad shell: exposed to the elements, daubed with graffiti and with no obvious work going on with it, surrounded by largely empty new houses which had failed to sell. 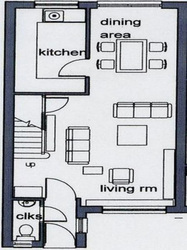 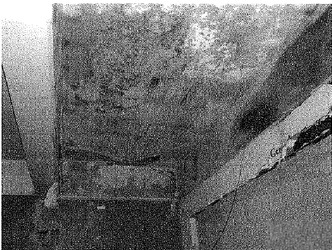 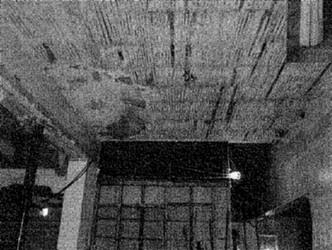 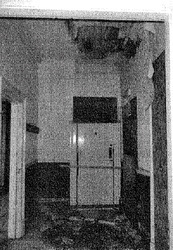 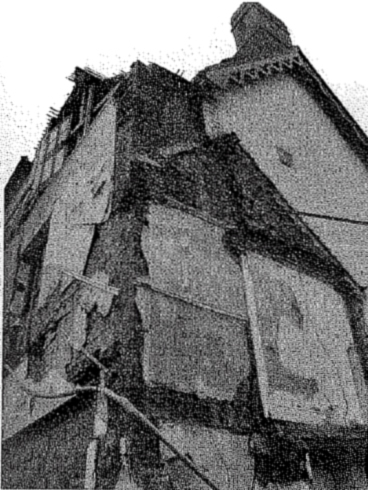 November 2011: the 6 grainy black and white photos below are particularly depressing given that they not only show the first interior shots of the Grove since it closed in 2008, but they also show the degree to which Cartwright's allowed the building to fall into disrepair. Compare these to the earlier pictures in this gallery. 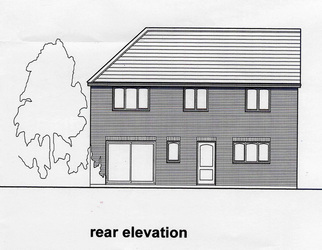 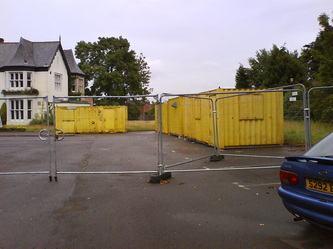 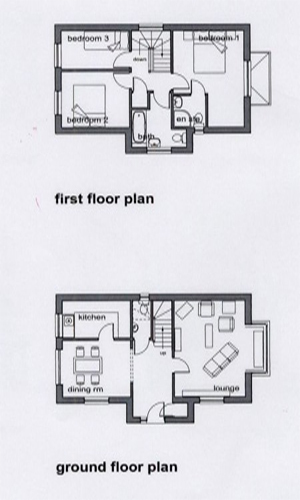 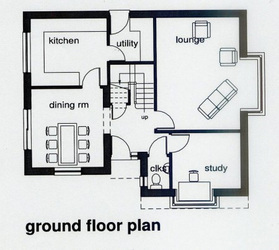 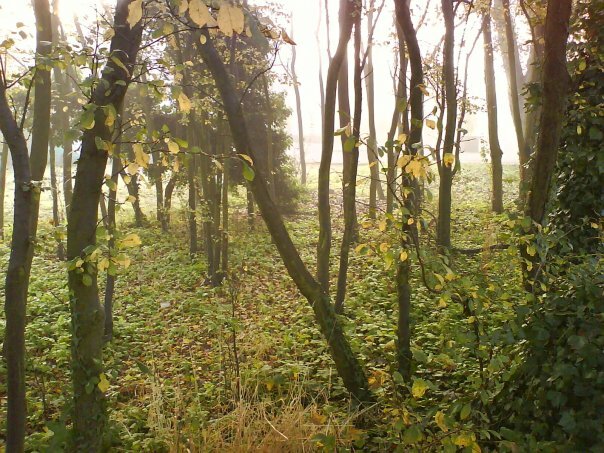 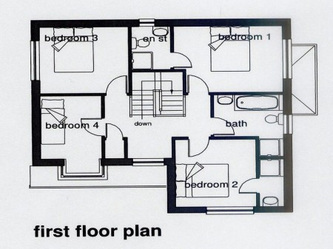 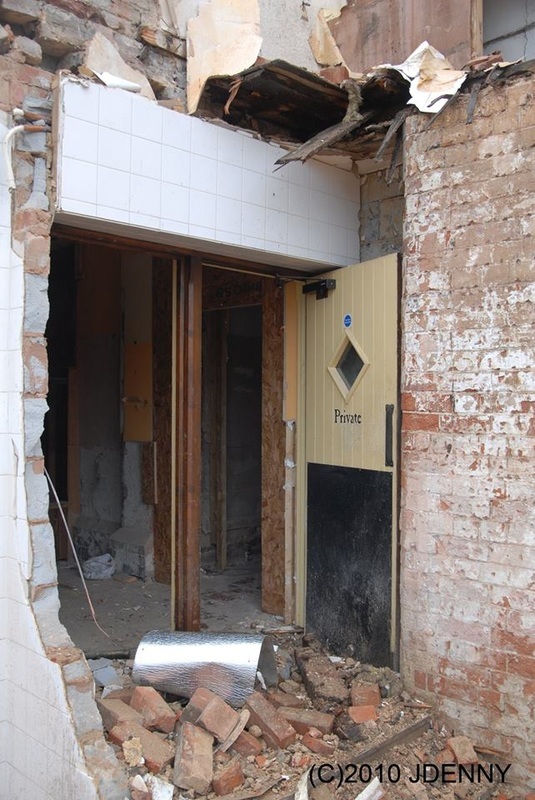 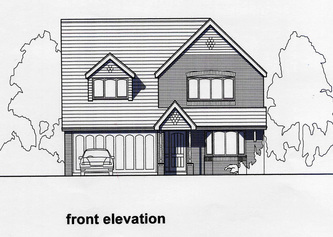 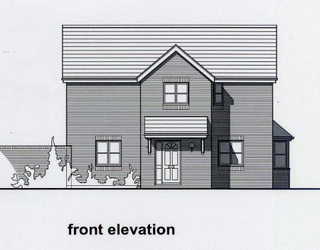 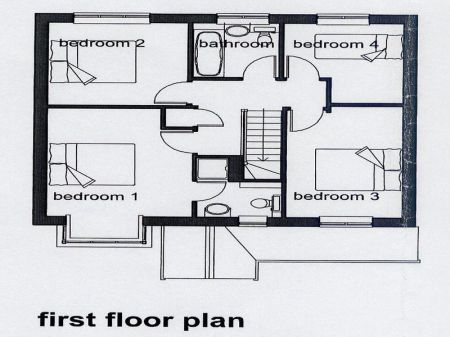 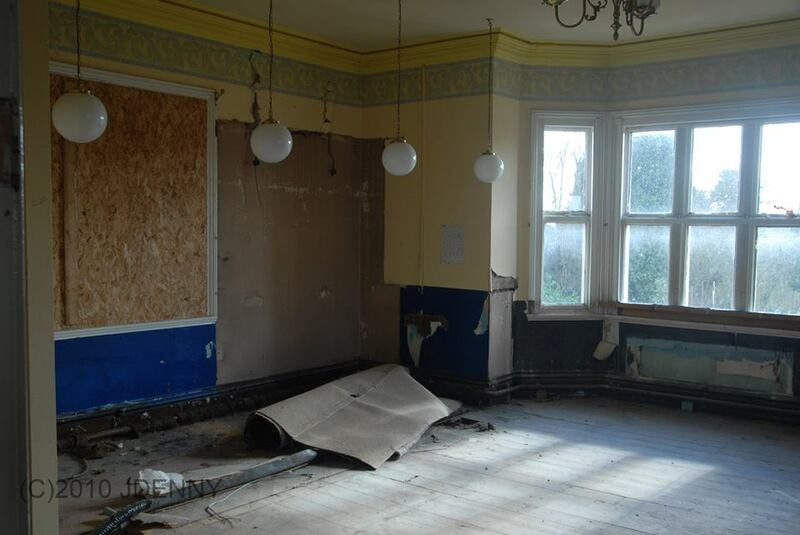 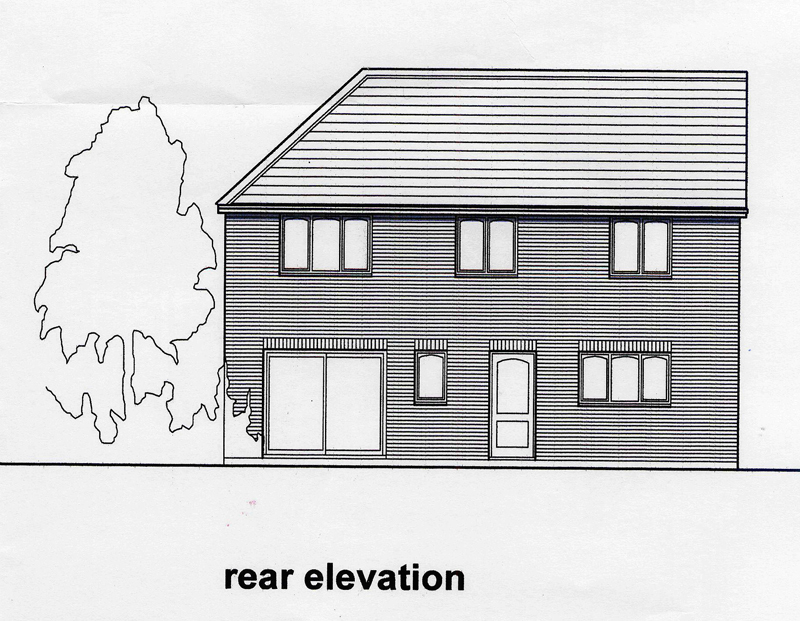 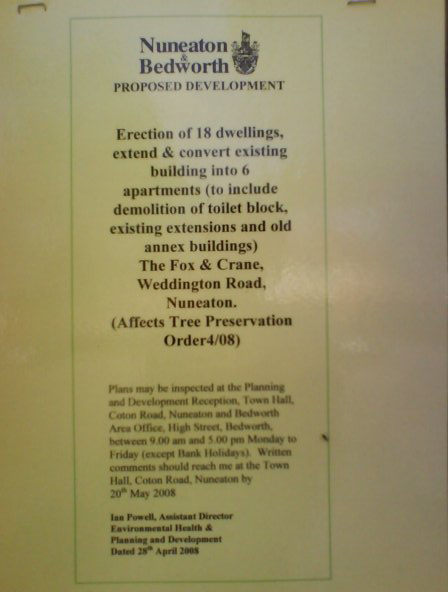 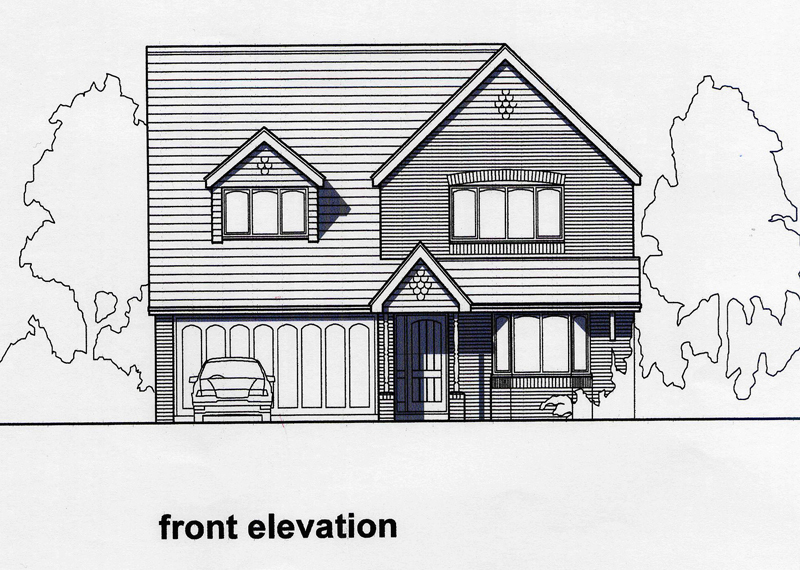 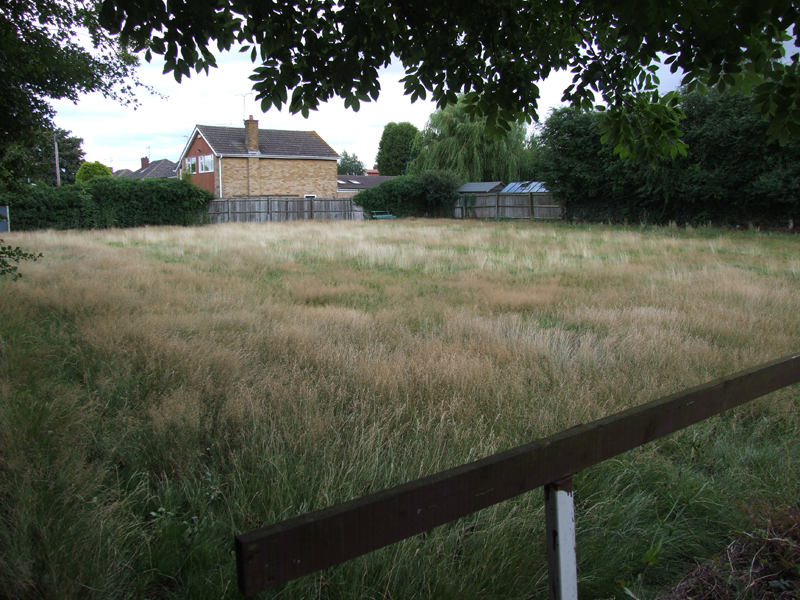 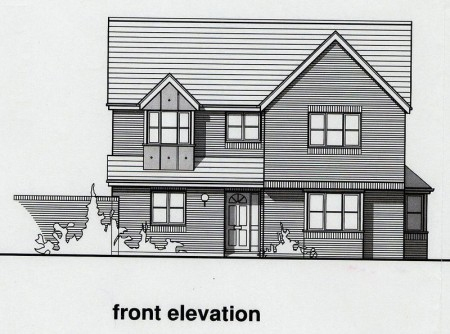 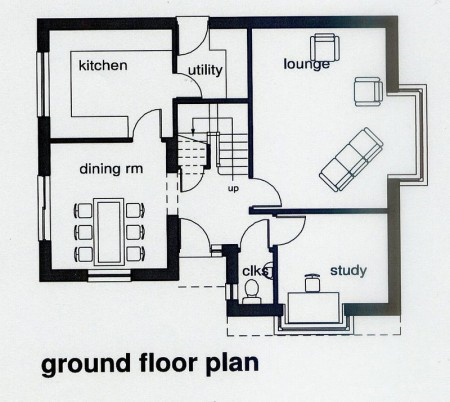 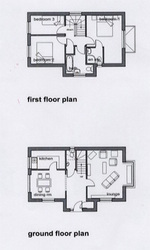 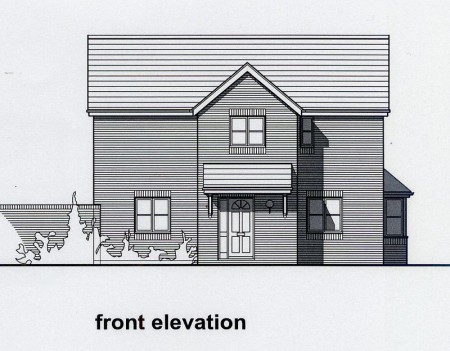 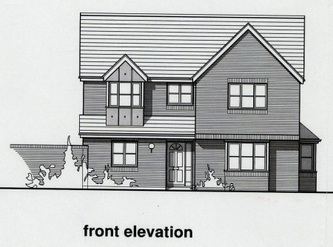 These pictures are from a Cartwright's planning application document where they argued to demolish the Grove as renovating it would cost them more money (they lost the case). 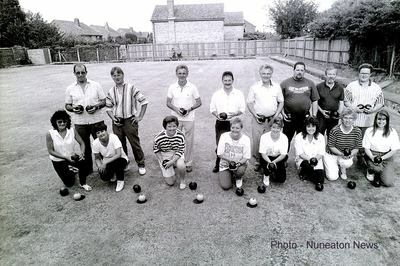 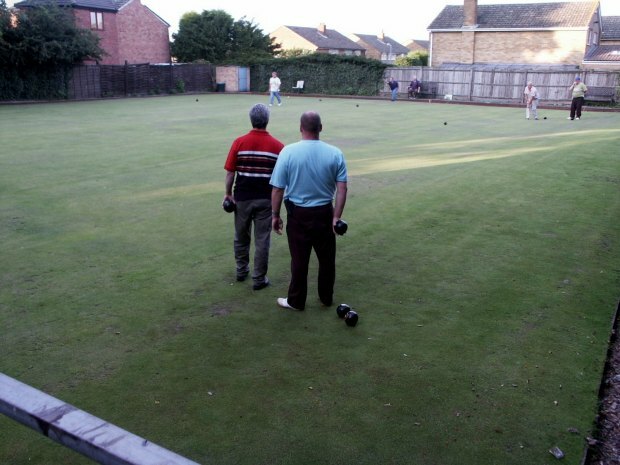 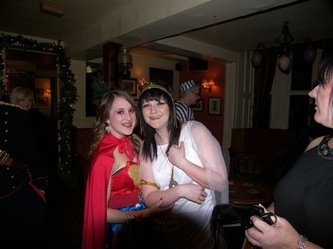 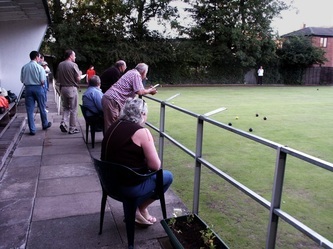 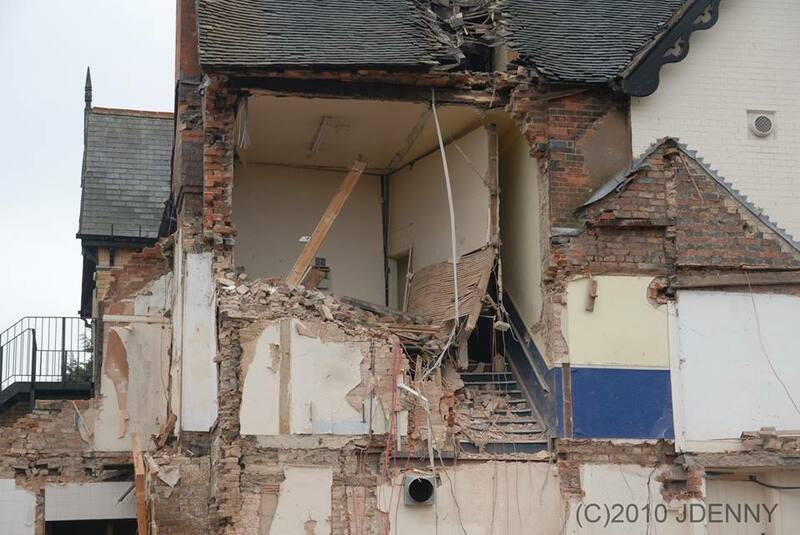 The colour picture is (c) Nuneaton News. 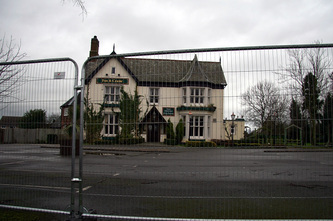 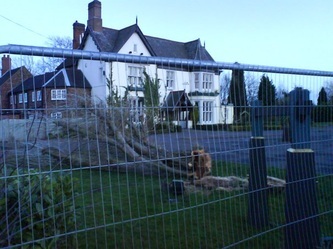 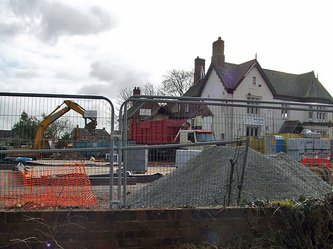 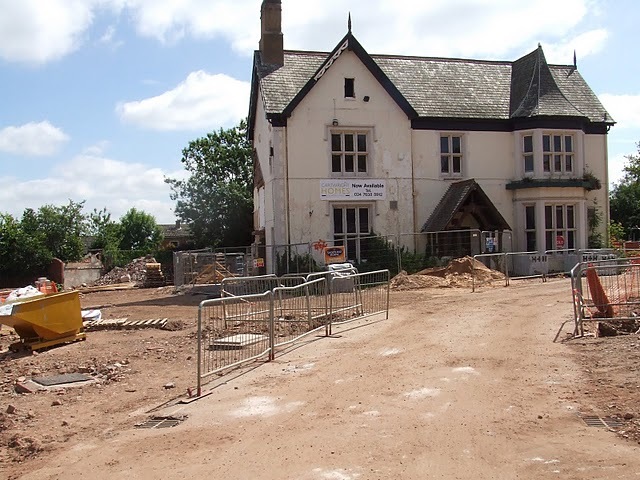 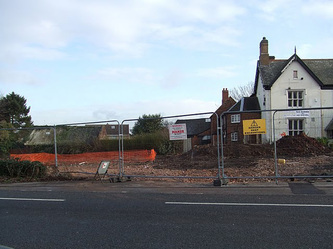 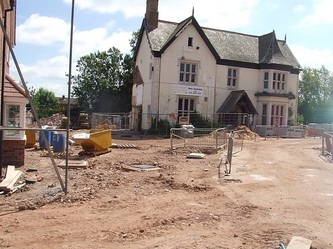 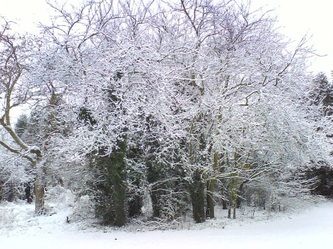 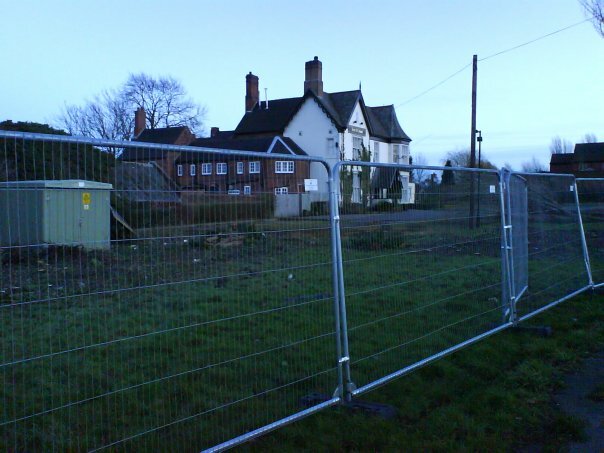 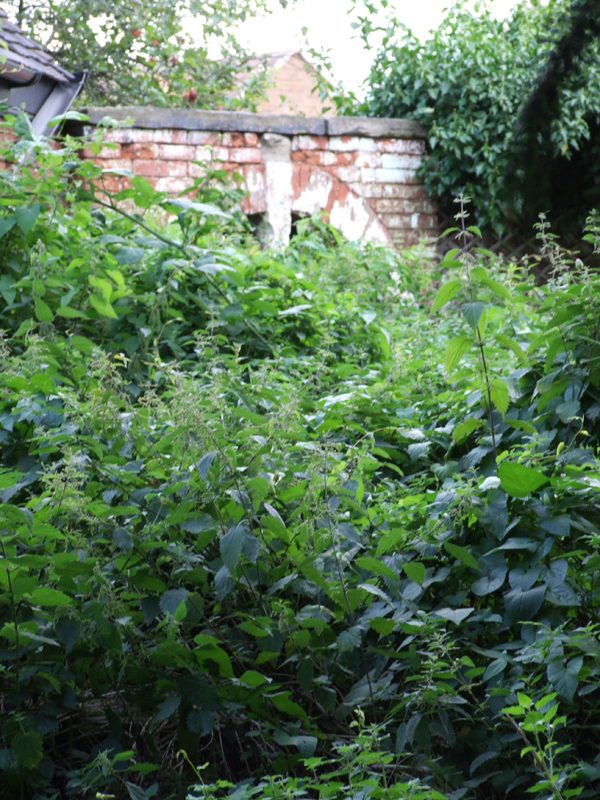 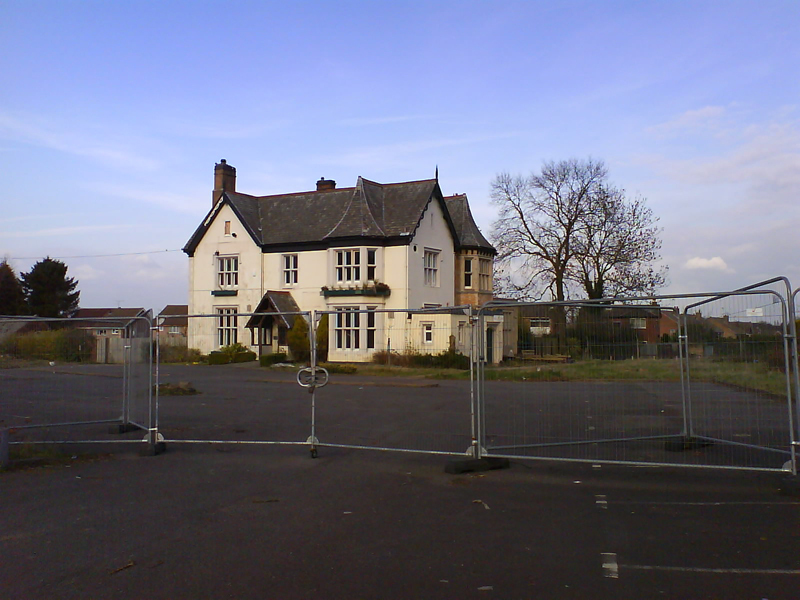 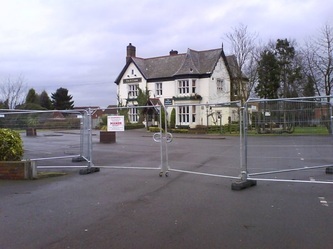 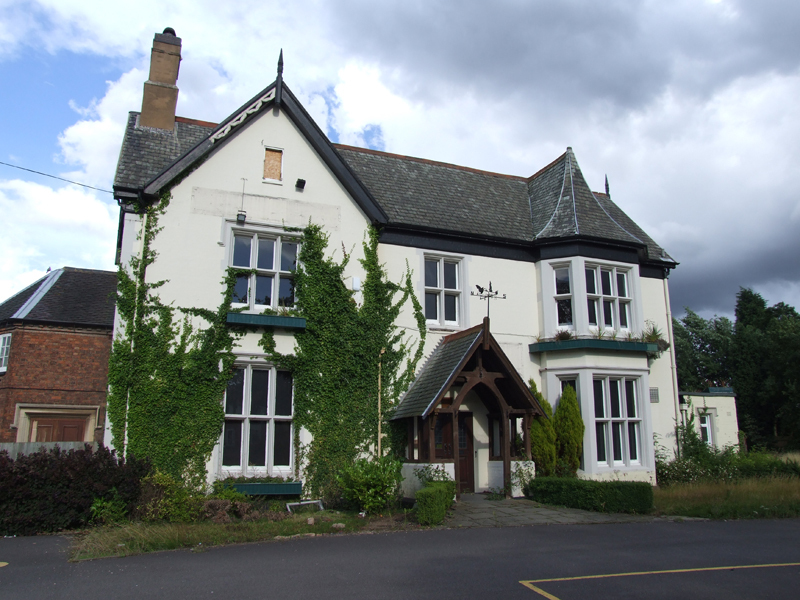 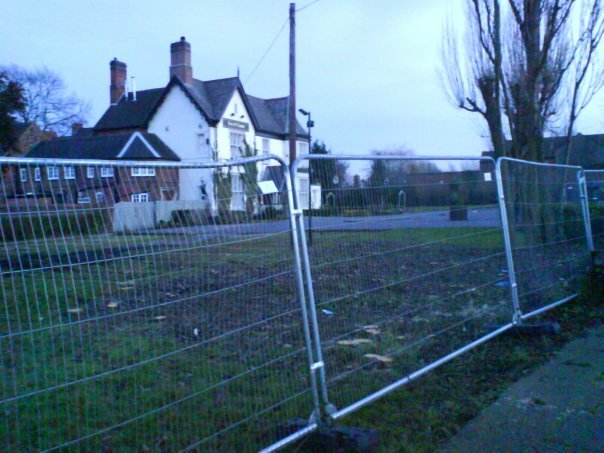 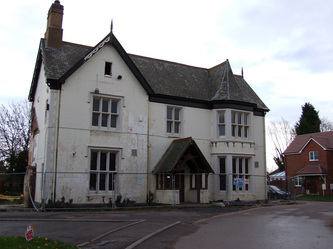 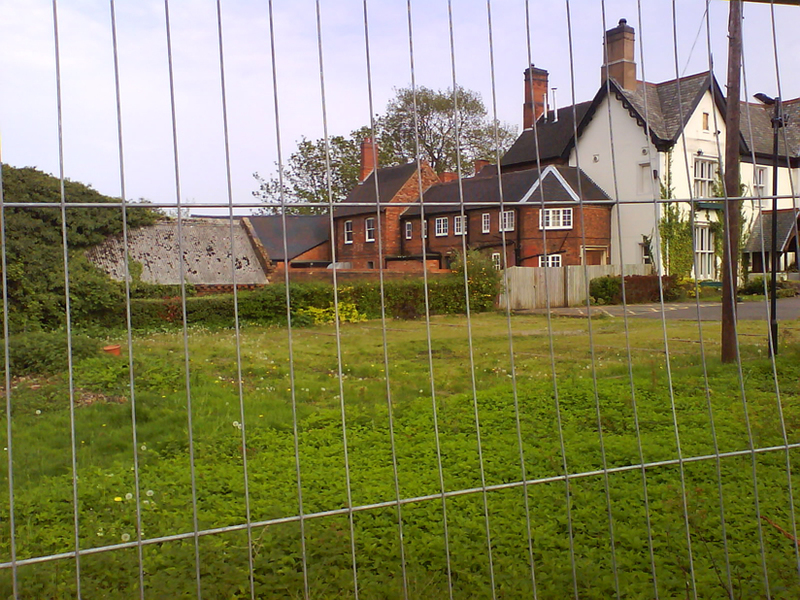 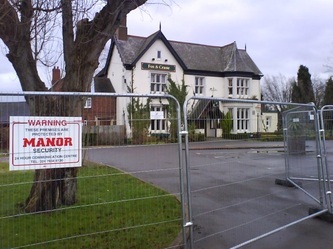 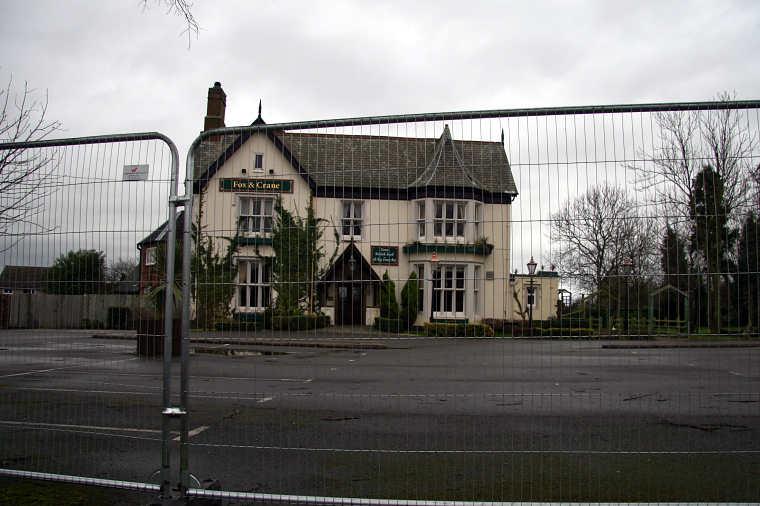 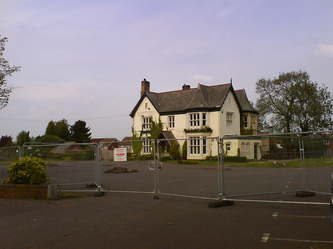 January - May 2012: although, at the end of 2011, The Grove survived a bid by its owners to demolish it - largely due to public support and Council acknowledgement of its historic value - it still remained at threat. 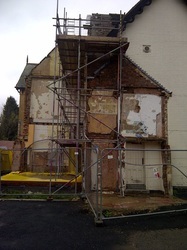 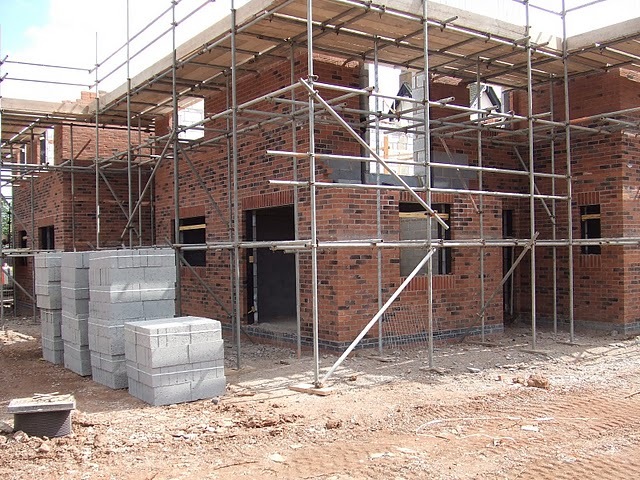 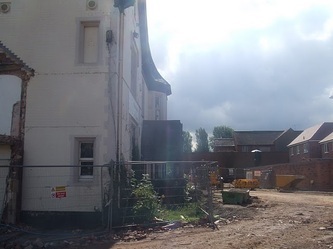 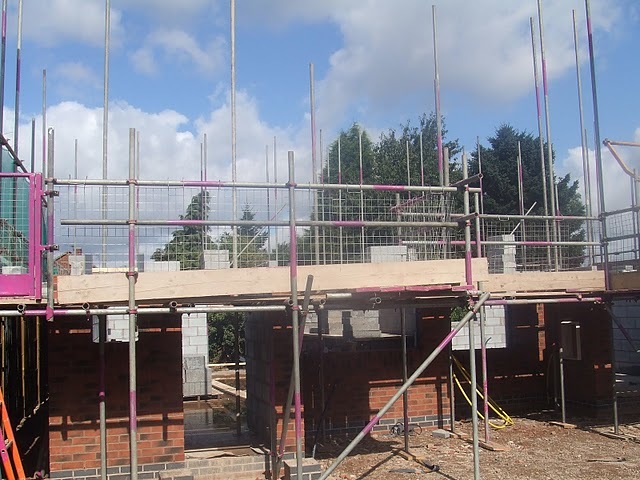 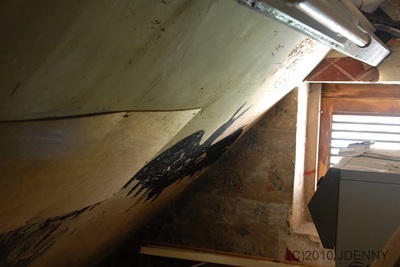 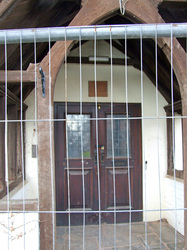 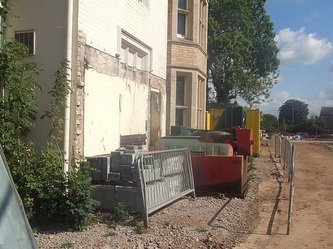 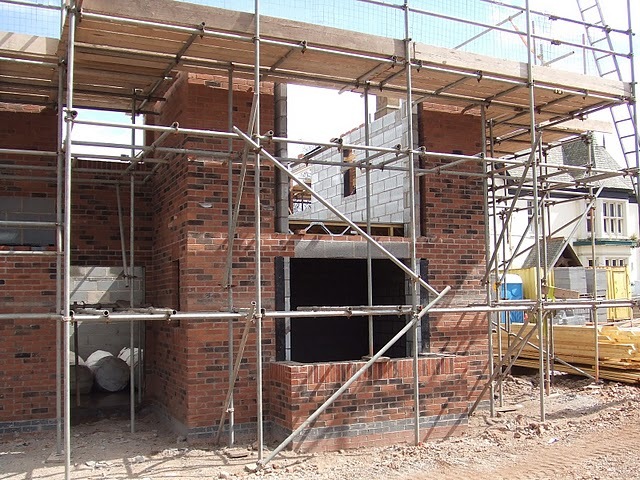 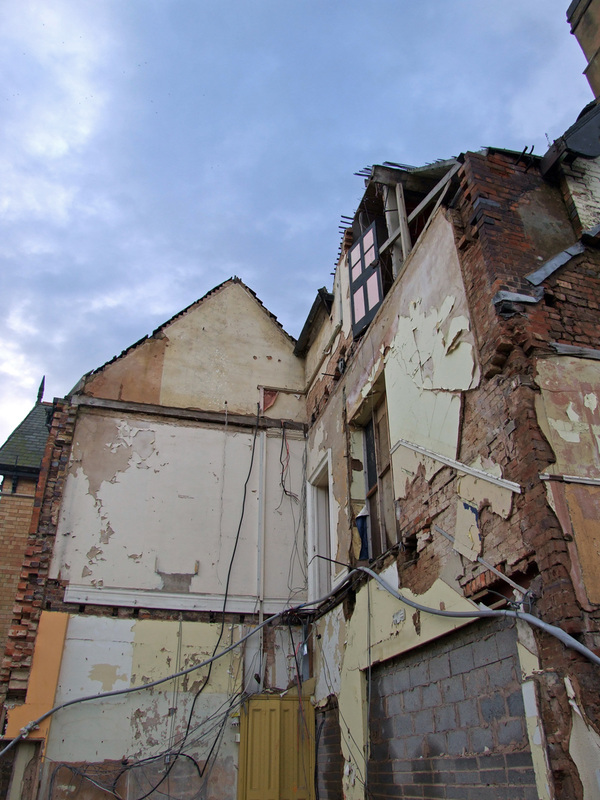 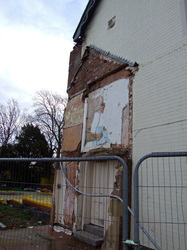 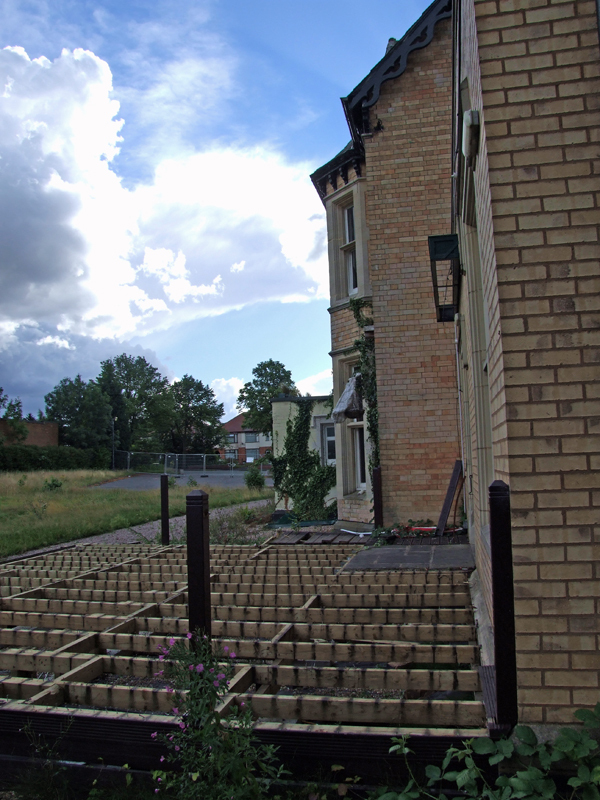 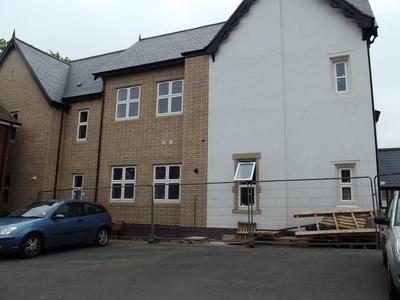 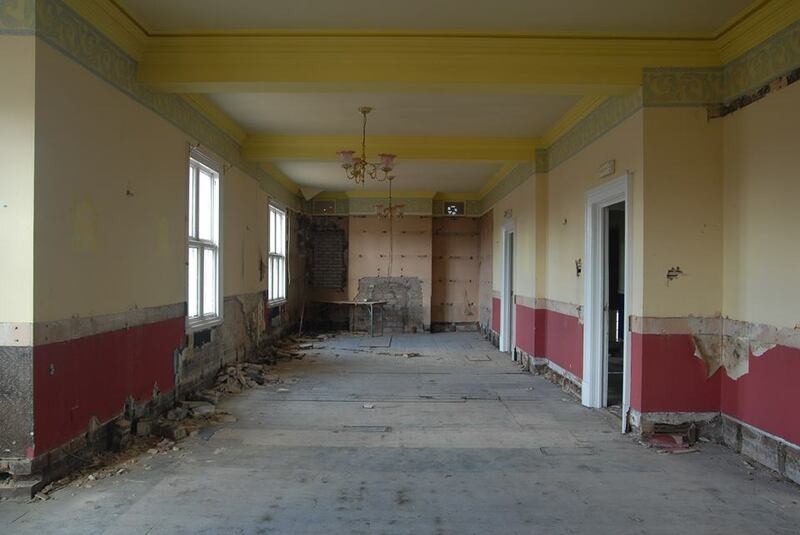 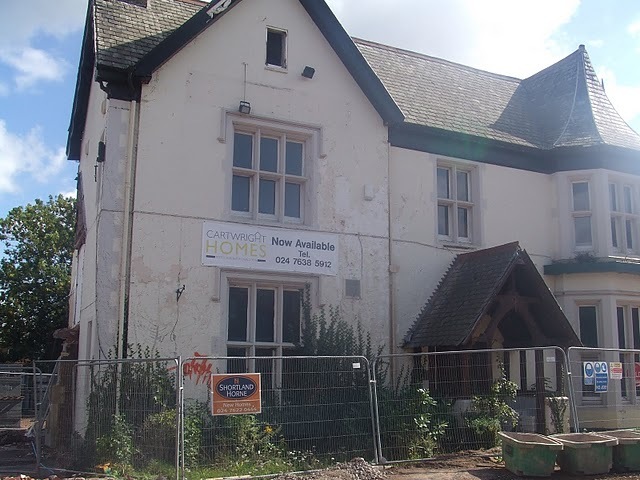 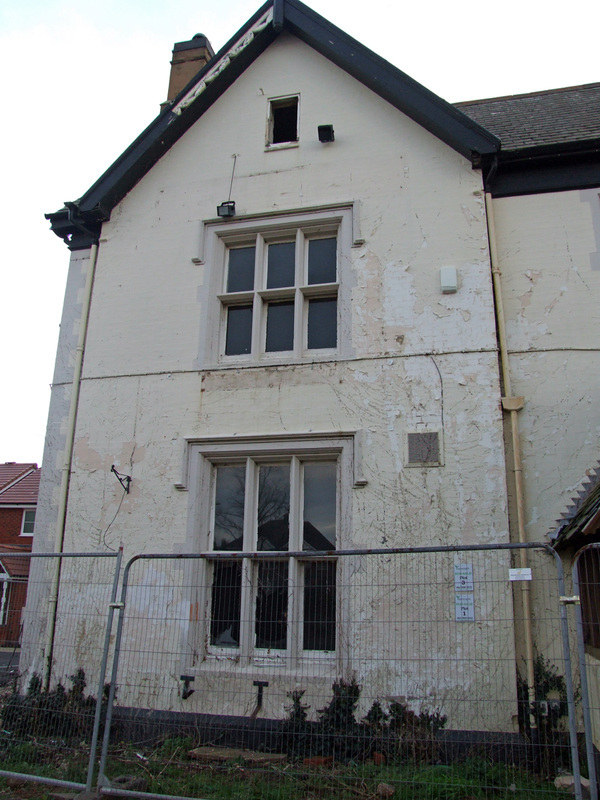 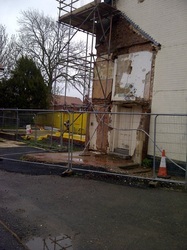 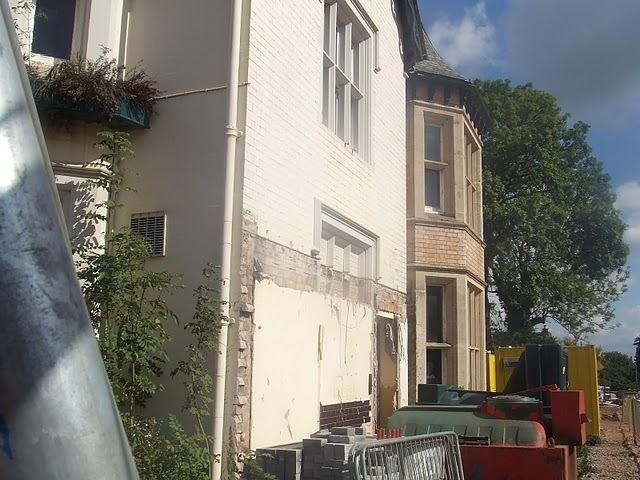 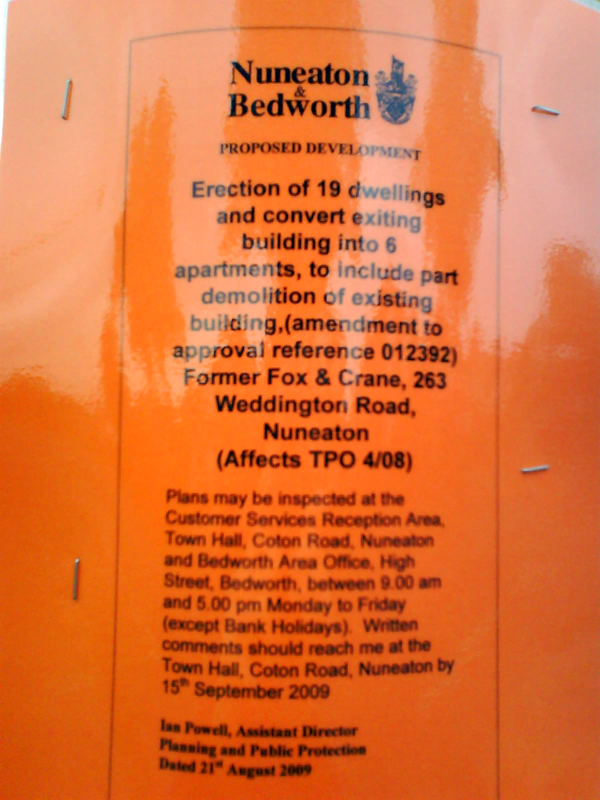 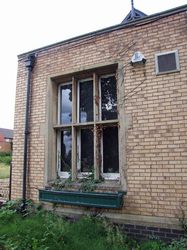 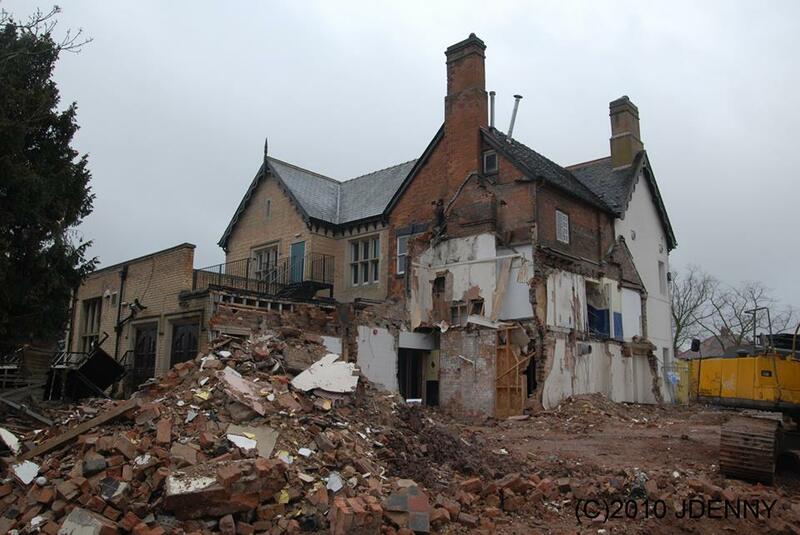 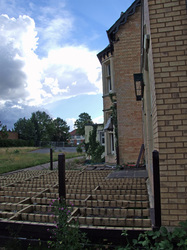 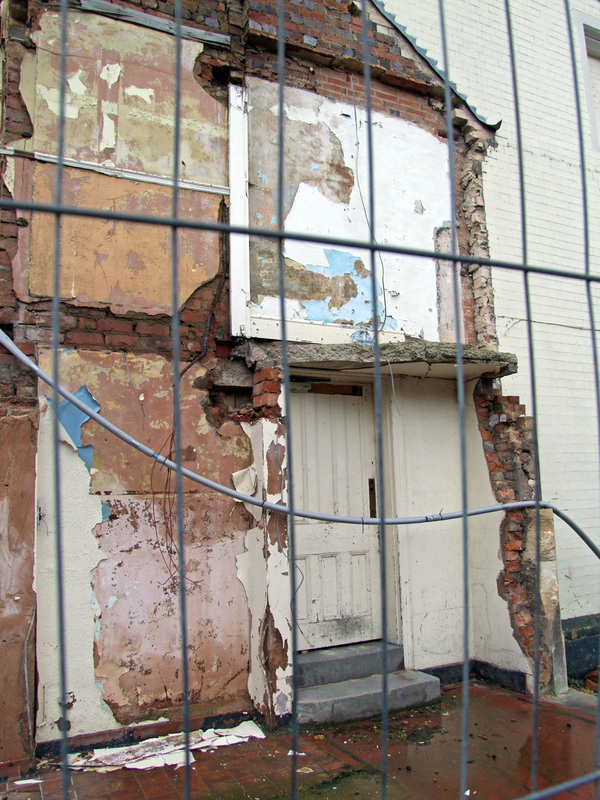 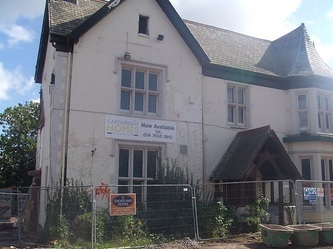 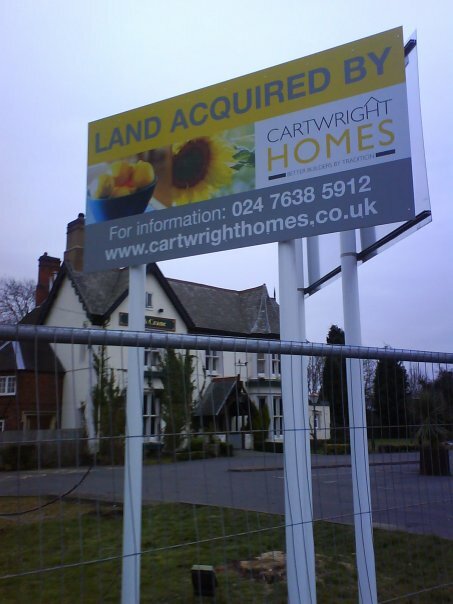 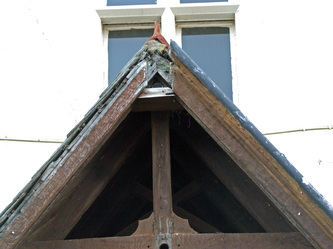 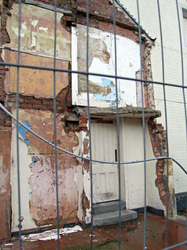 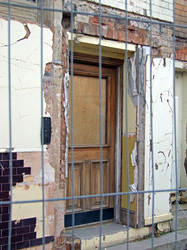 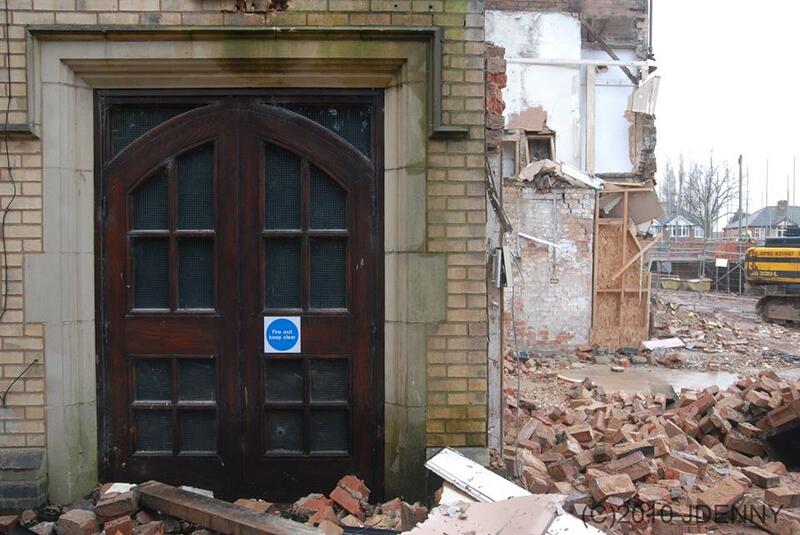 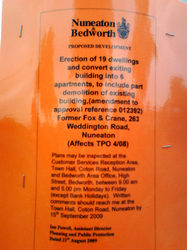 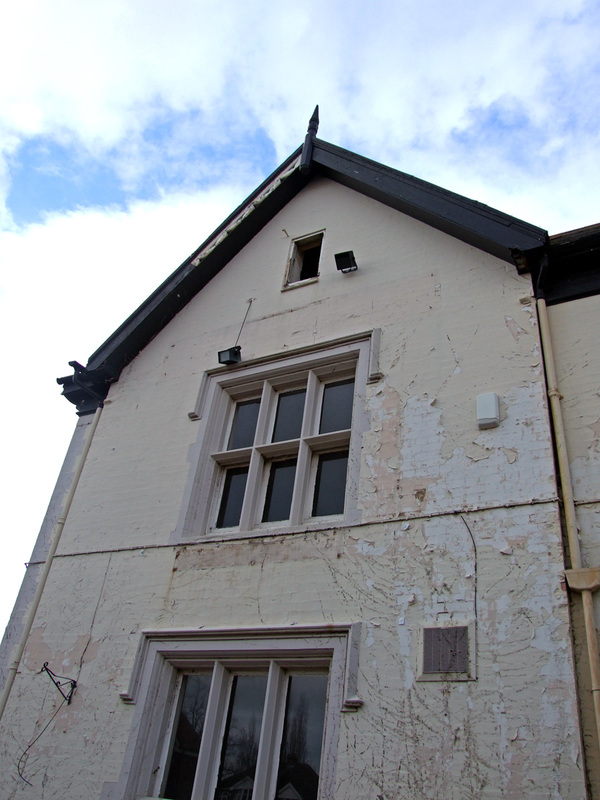 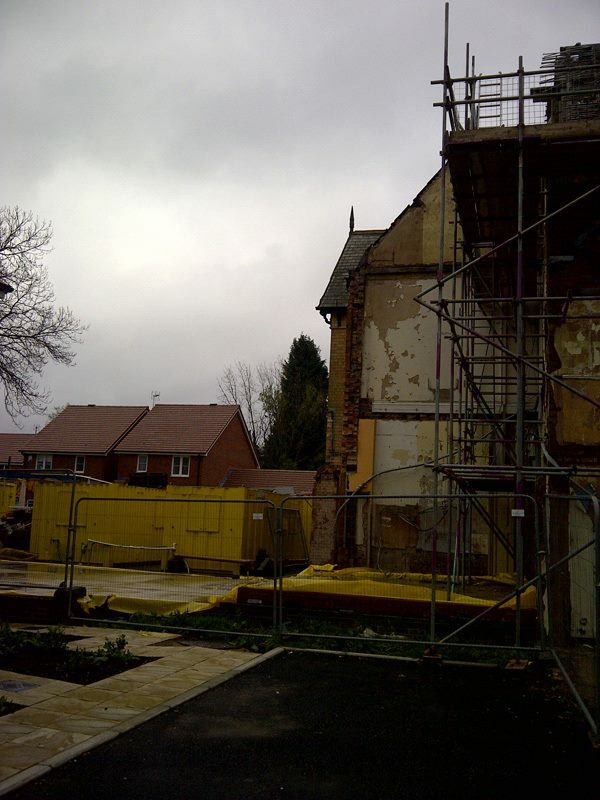 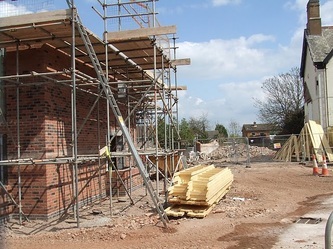 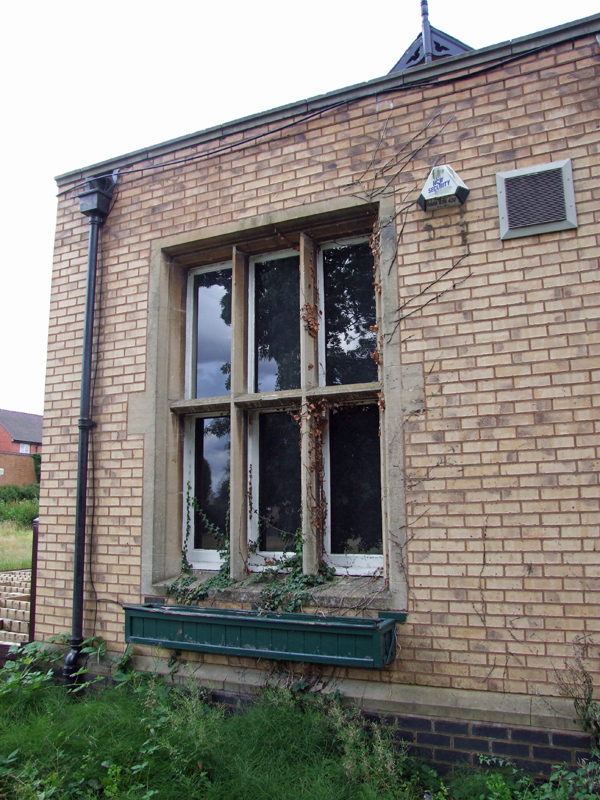 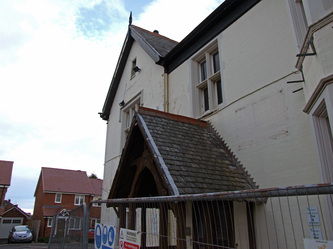 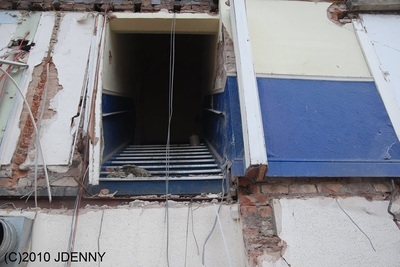 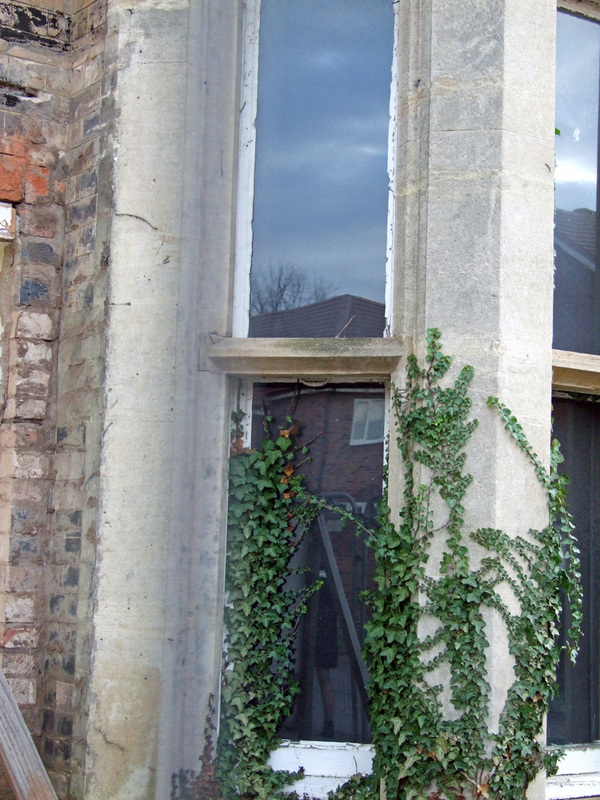 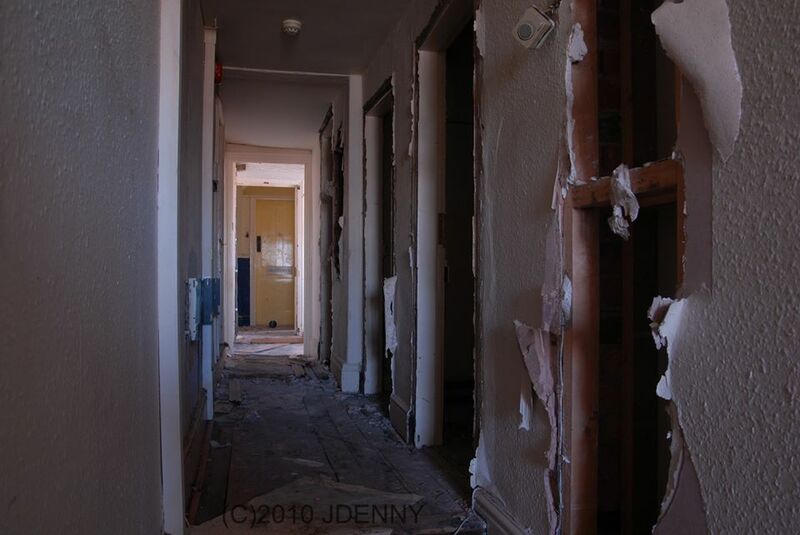 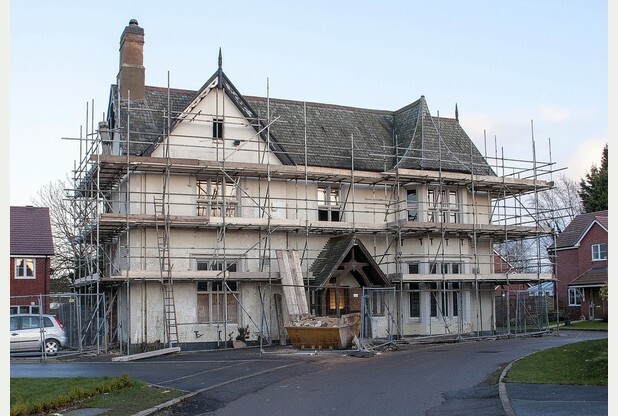 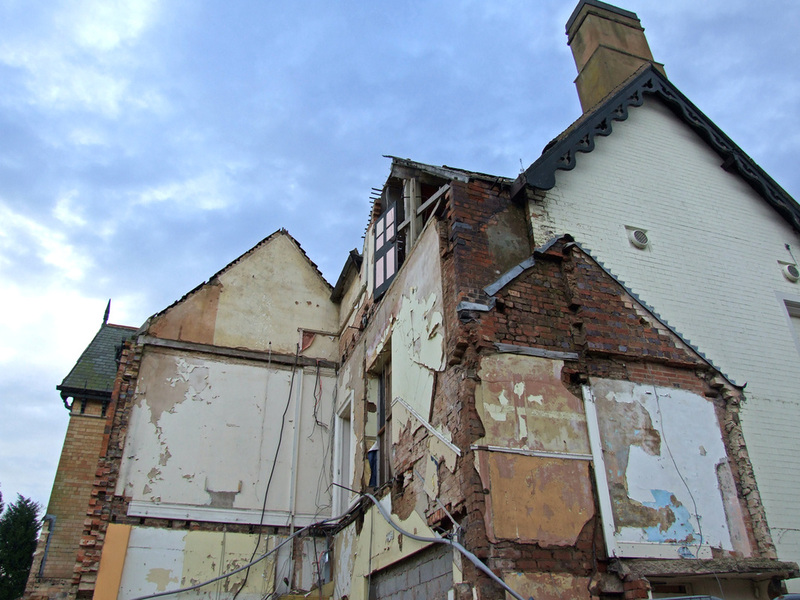 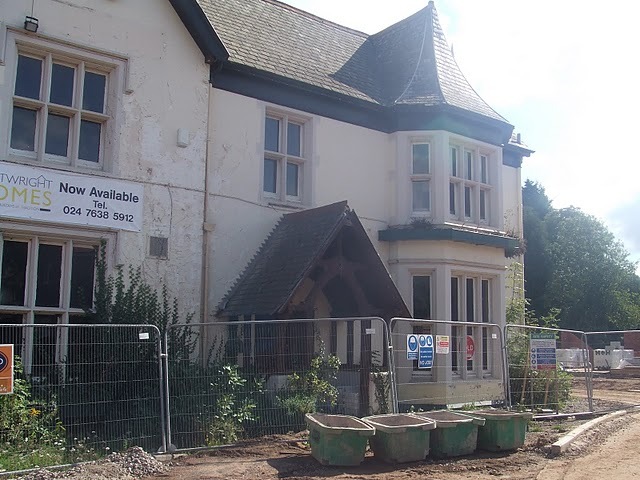 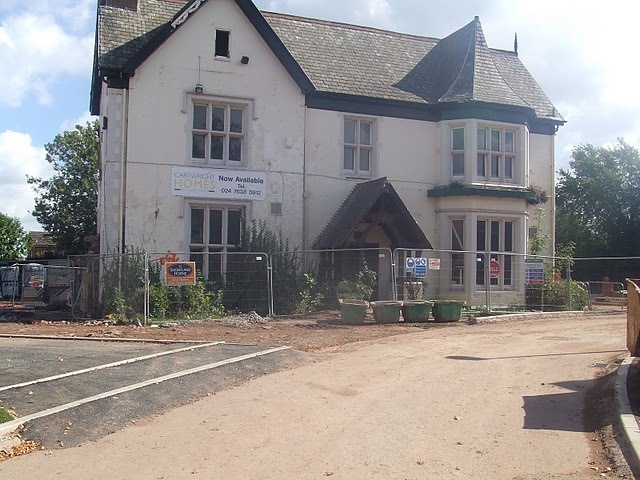 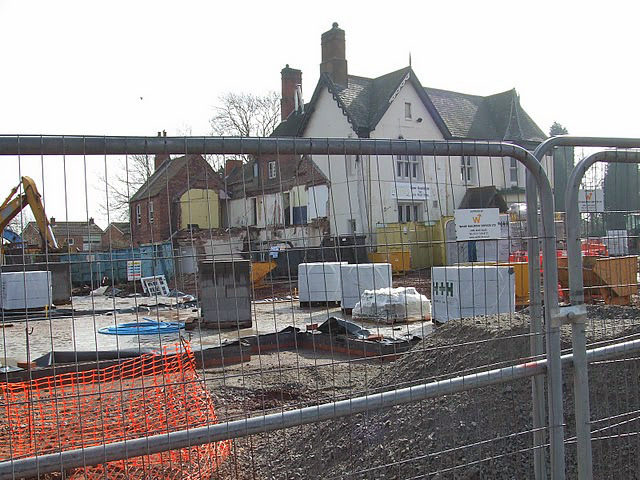 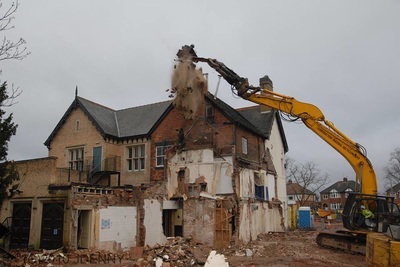 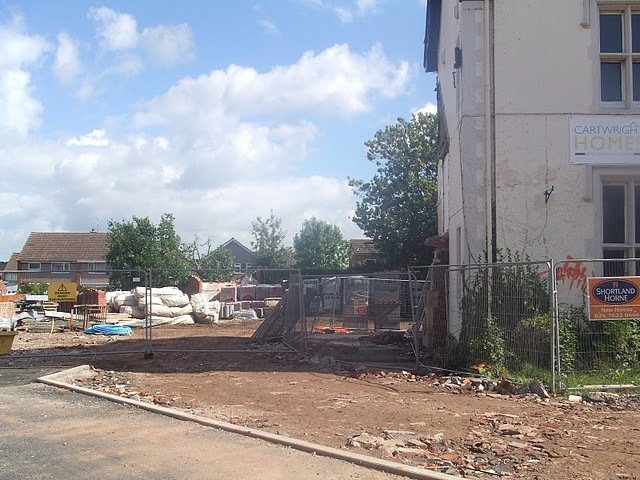 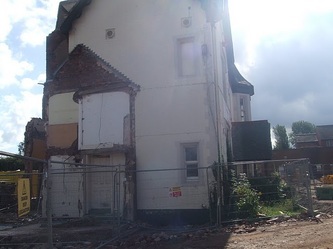 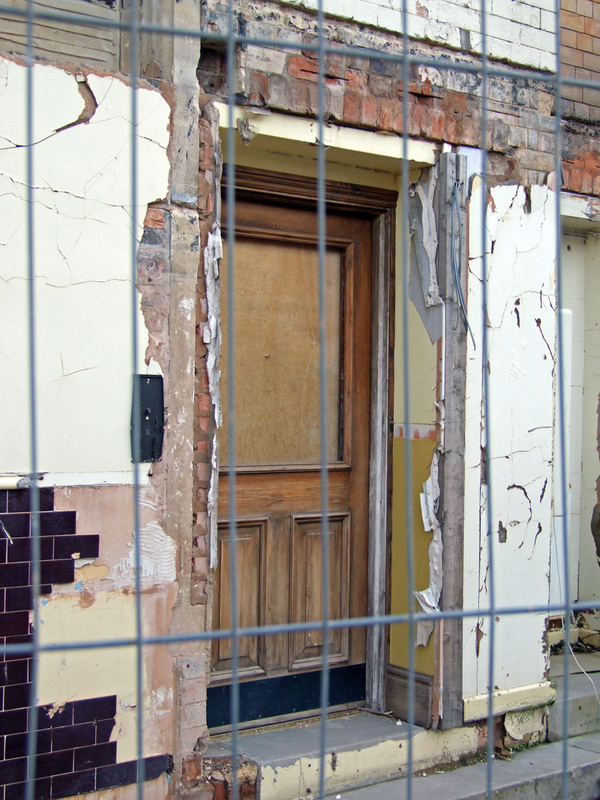 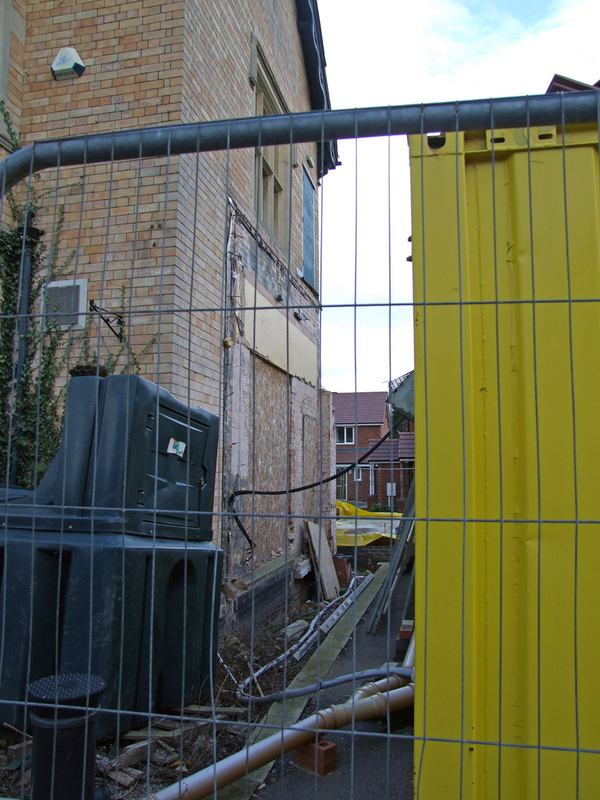 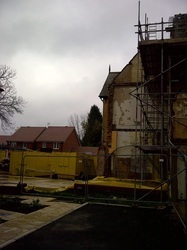 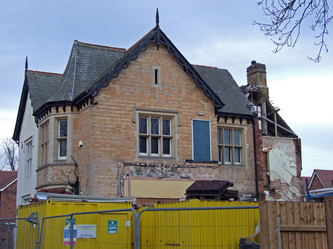 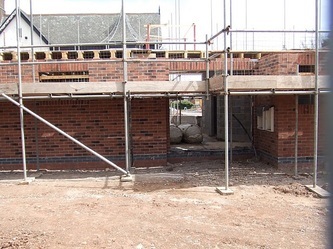 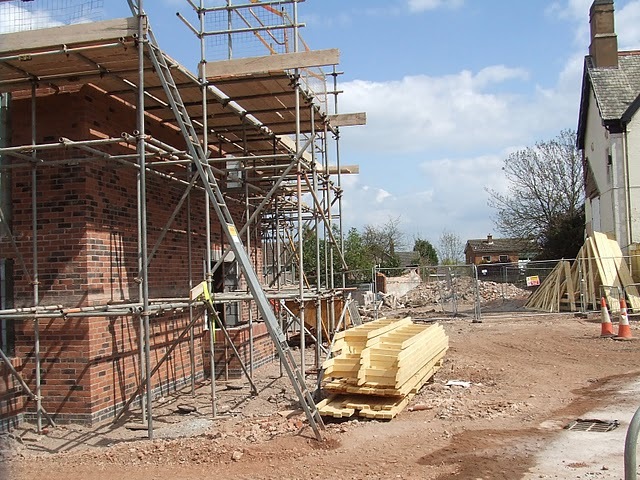 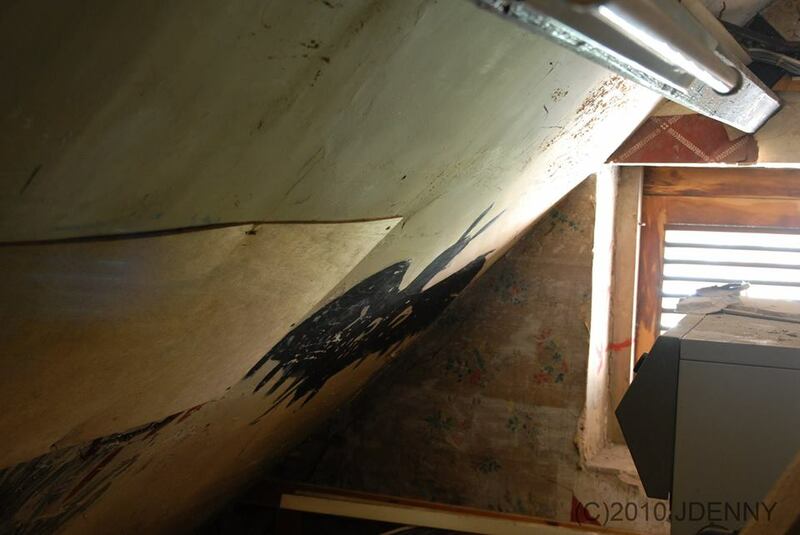 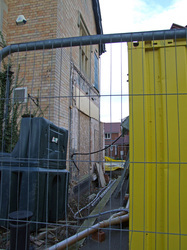 As the pictures below show, the building was still at serious risk as the developers, AR Cartwights, were letting it fall into disrepair - with certain sections to the rear being left open to the elements... although in May 2012 scaffolding appeared at the side of the building following an Enforcement Order by NBBC to compel Cartwrights to prevent further deterioration of the building. 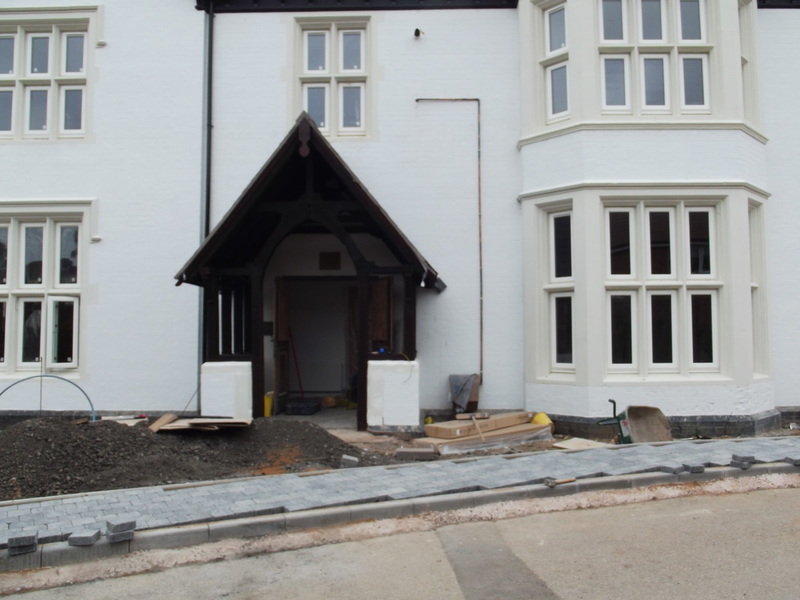 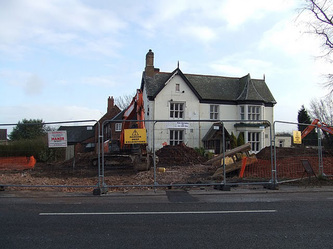 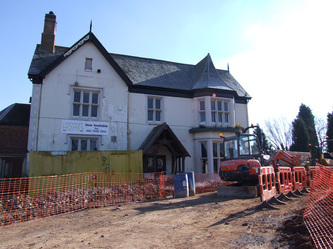 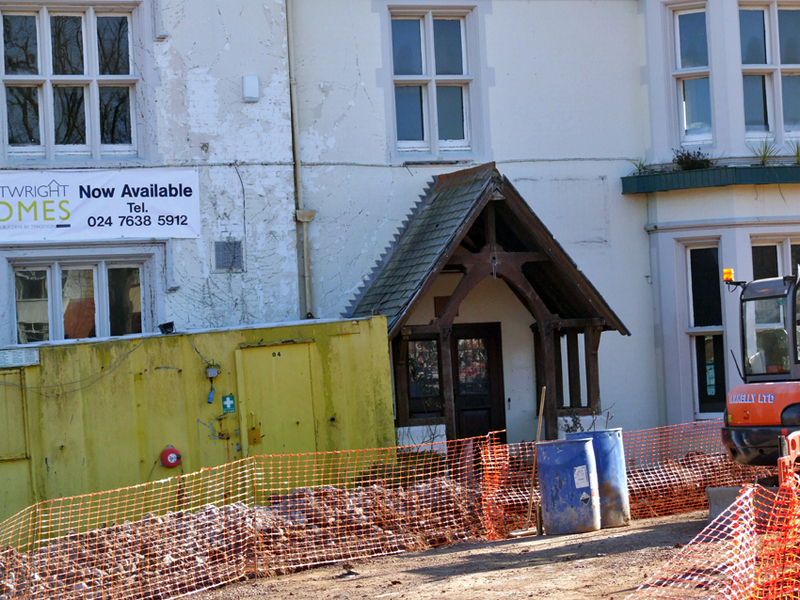 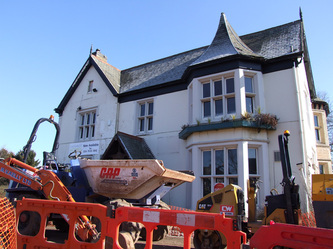 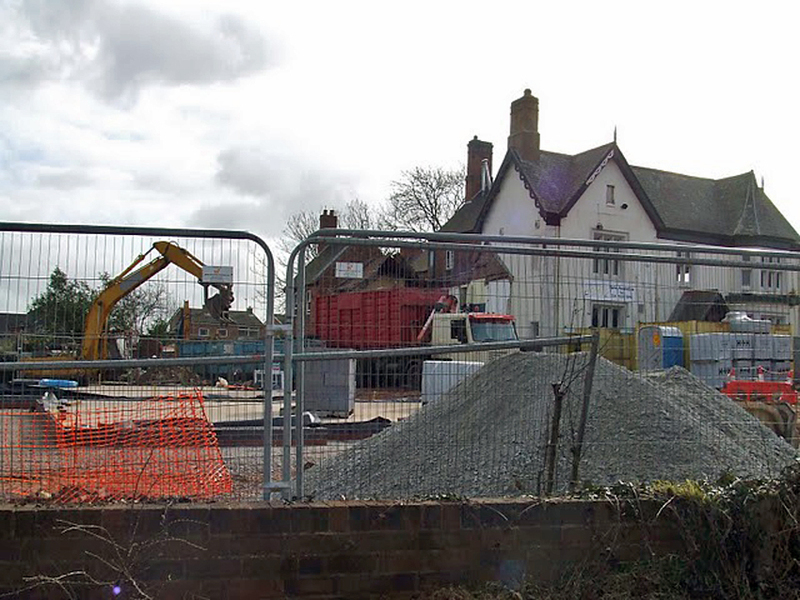 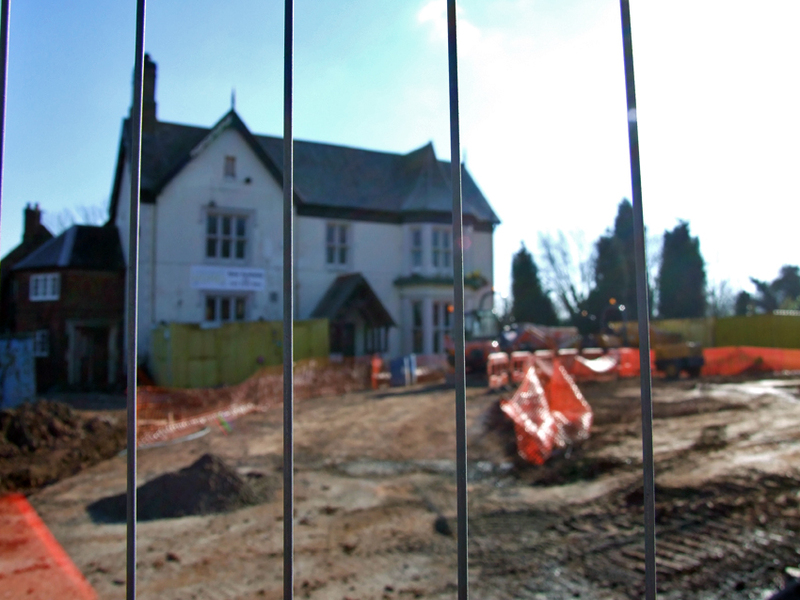 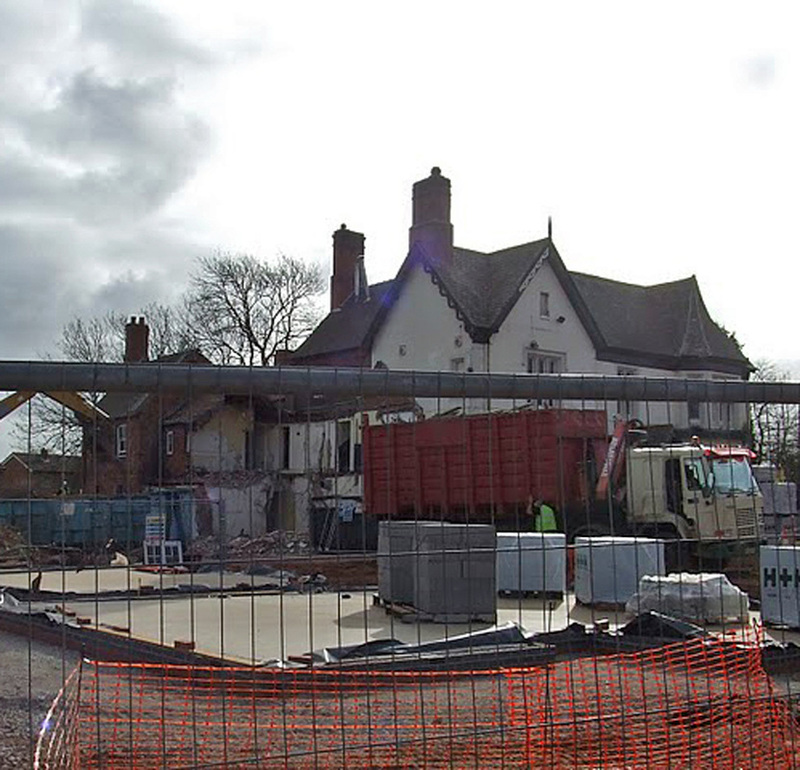 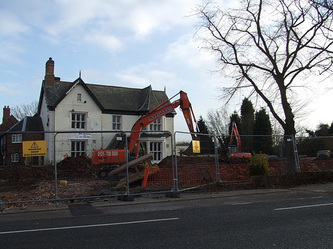 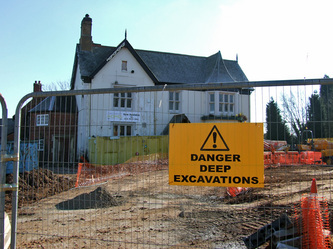 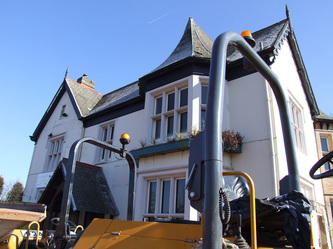 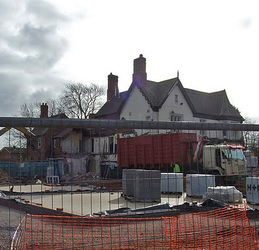 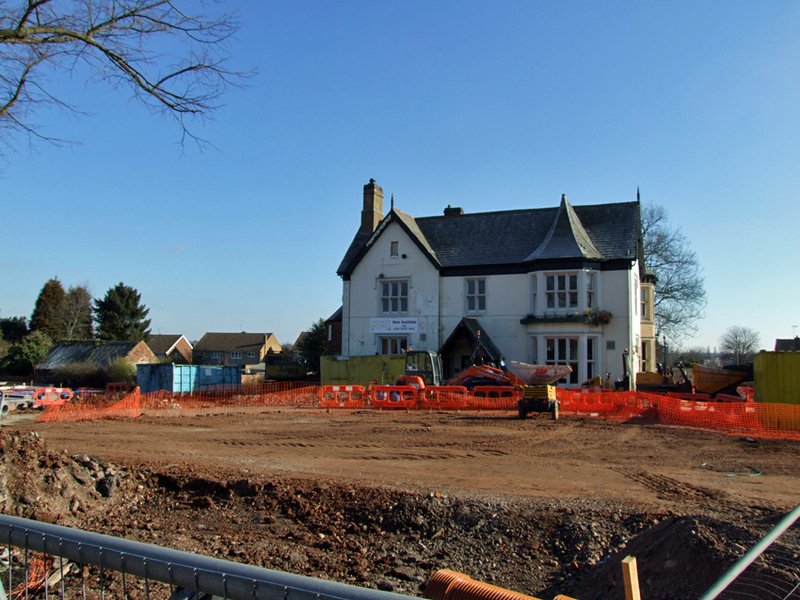 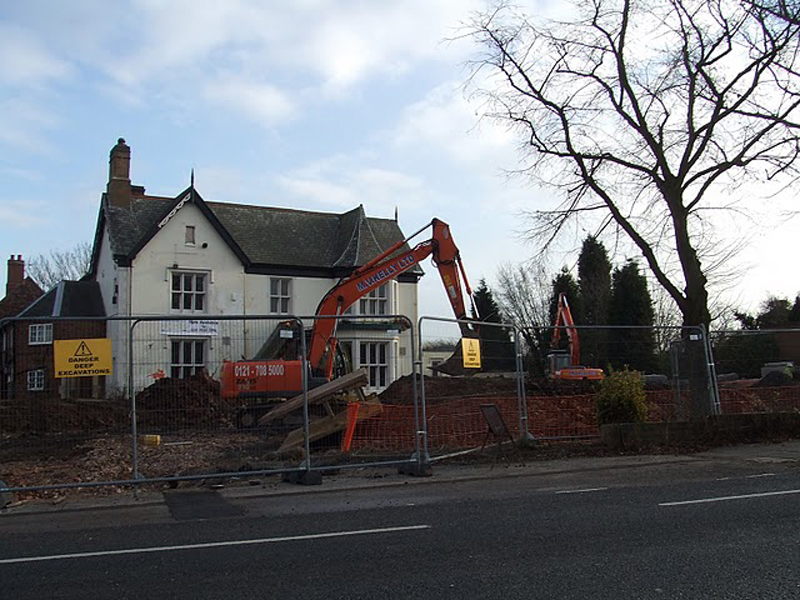 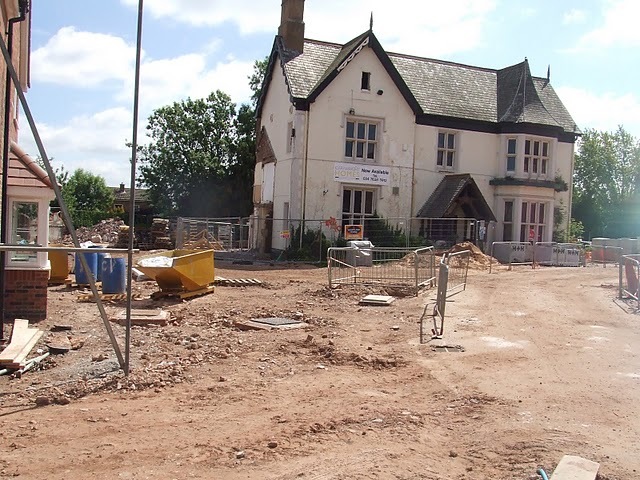 January 2015: work finally starts on the renovation of the Fox and Crane. 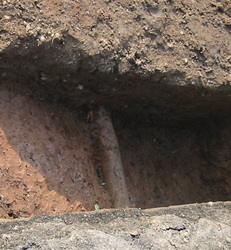 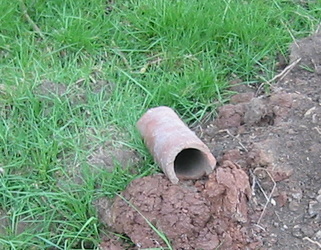 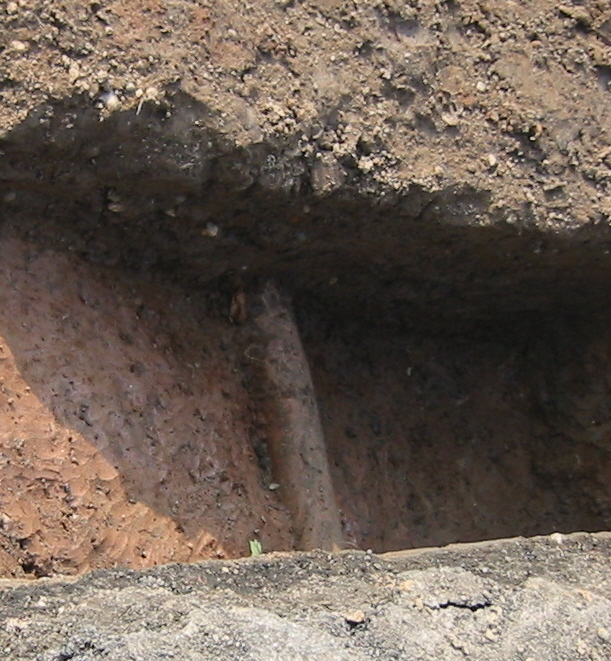 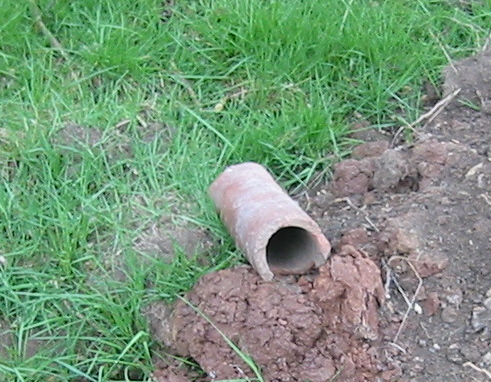 The work is due to take around 18 months. 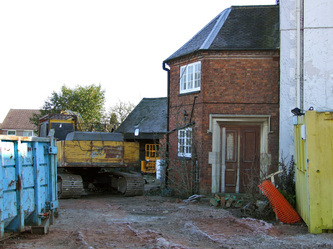 You can read an article on the work starting here. 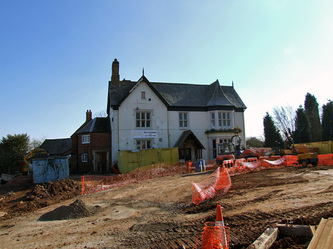 June 2016: the renovation of the Grove is underway. 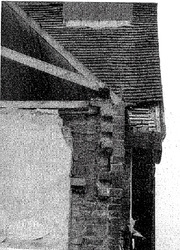 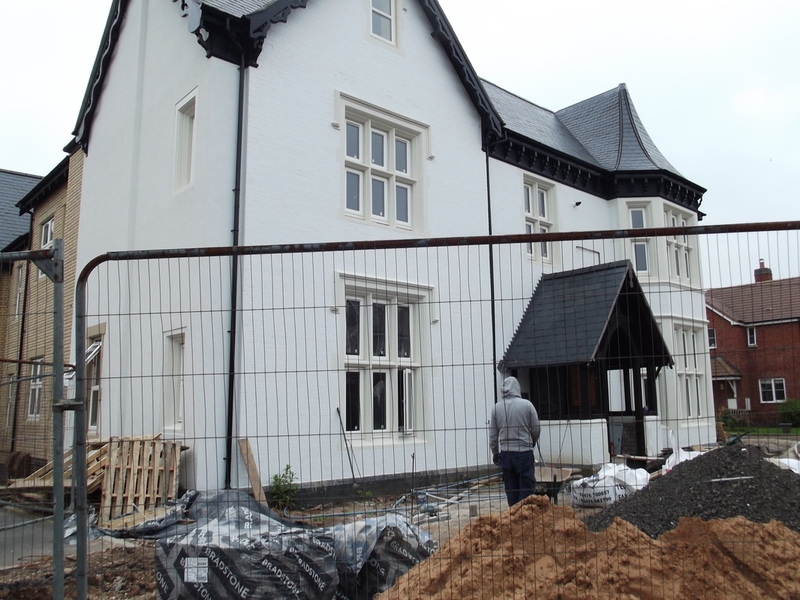 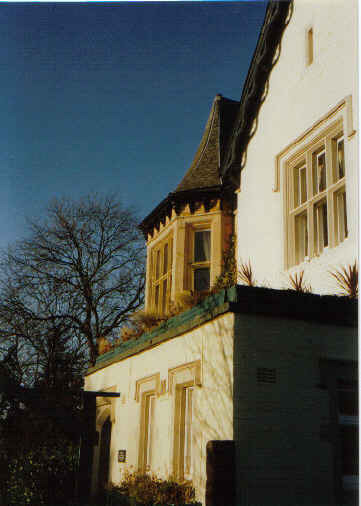 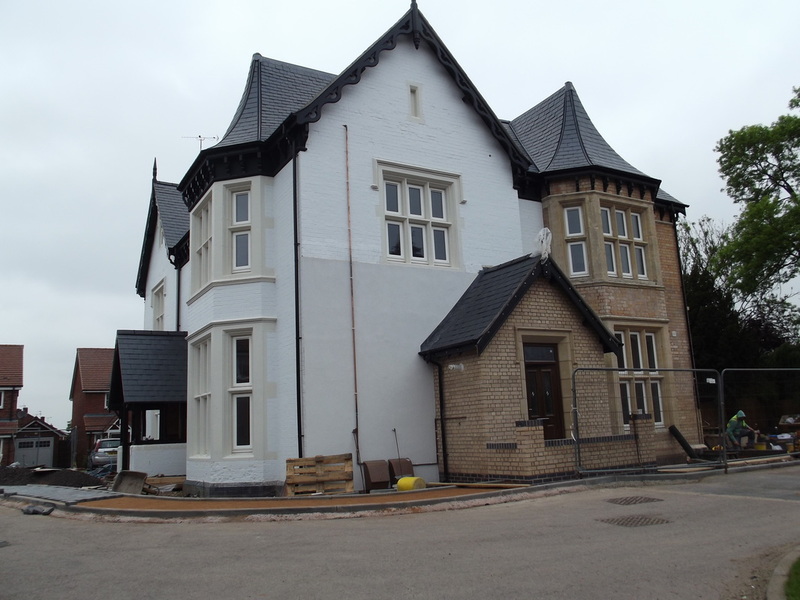 Here you can see the main structure, roofing, porch and original wooden windows frames have all been retained. 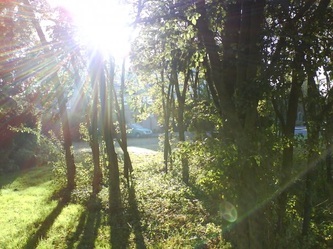 Grateful thanks to all who contributed photographs to this gallery - a full list of acknowledgements can downloaded here.